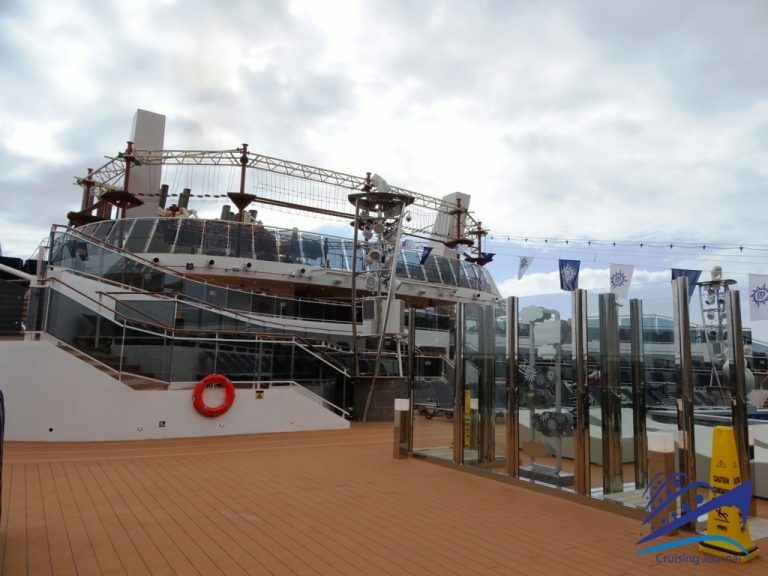 It is not so much the sheer size of the Msc Bellissima that amazes us, because we are already used to these big ships, but how this enormity has been made to feel harmonious, elegant, and comfortable. 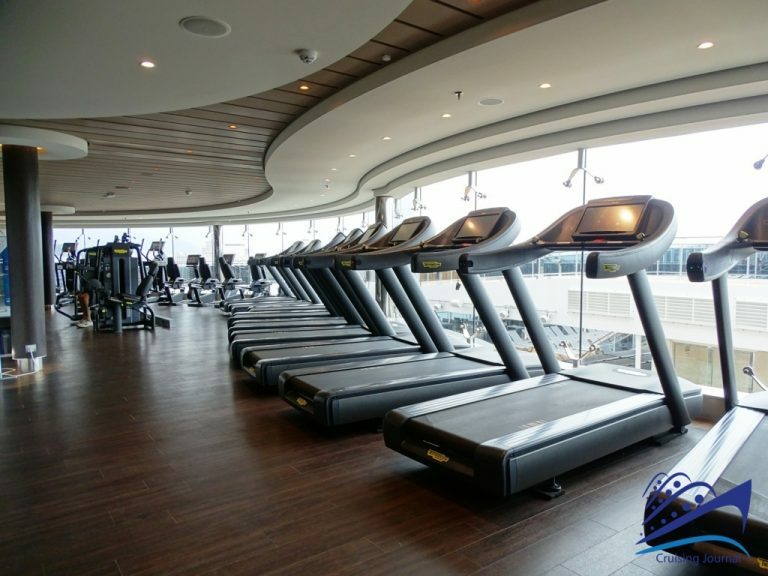 The ship weighs more than 170 thousand tons, and can host more than 7000 people, between passengers and crew. 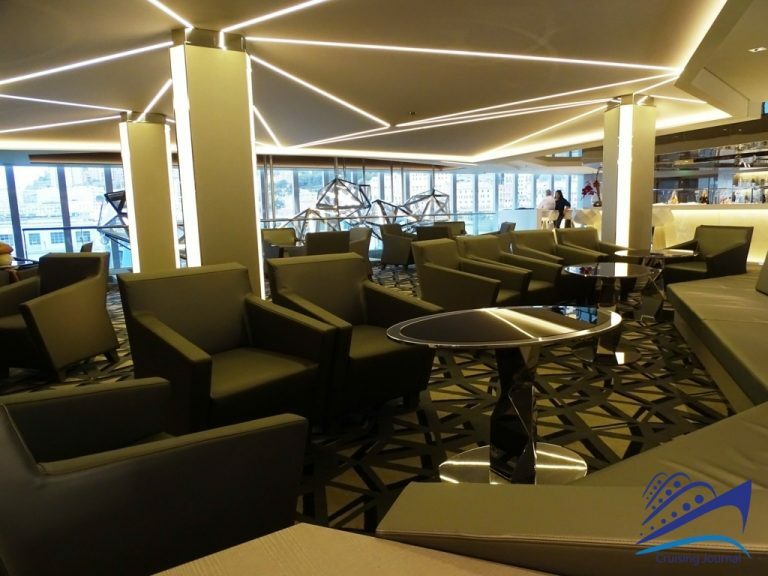 And yet it offers intimate spaces where you can relax and enjoy the journey, the sea, and the state-of-the-art services. 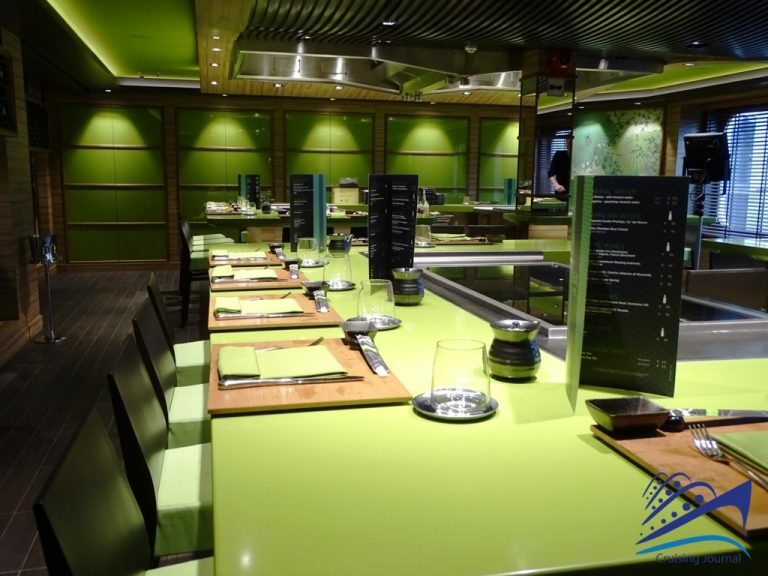 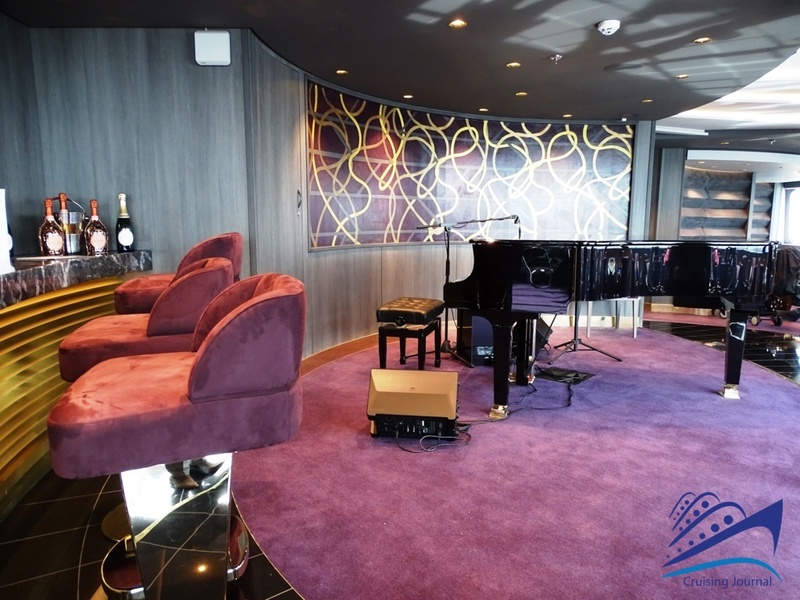 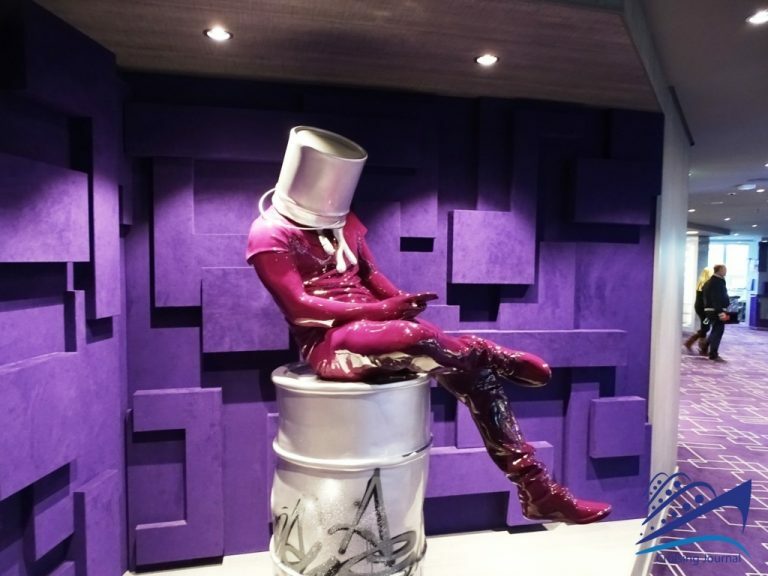 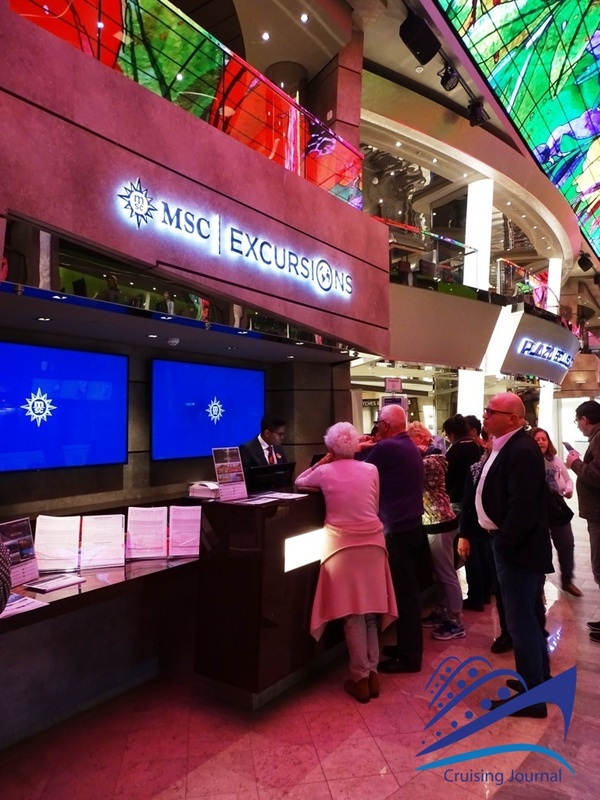 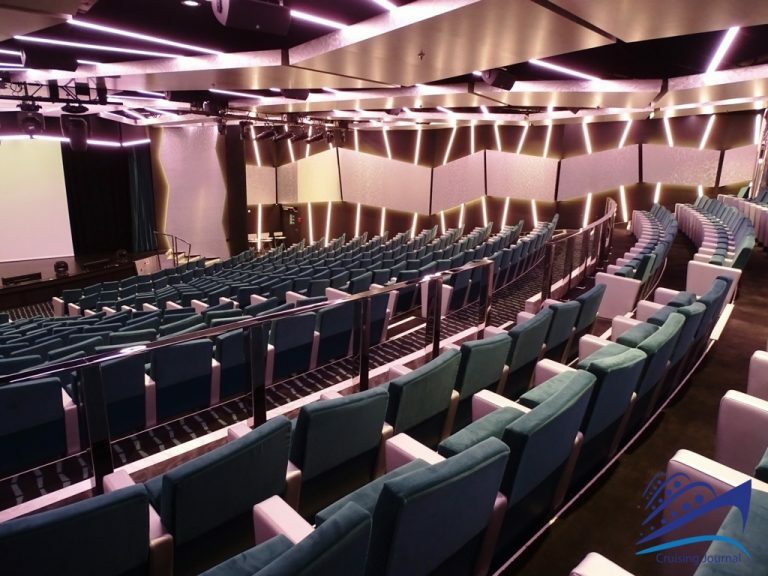 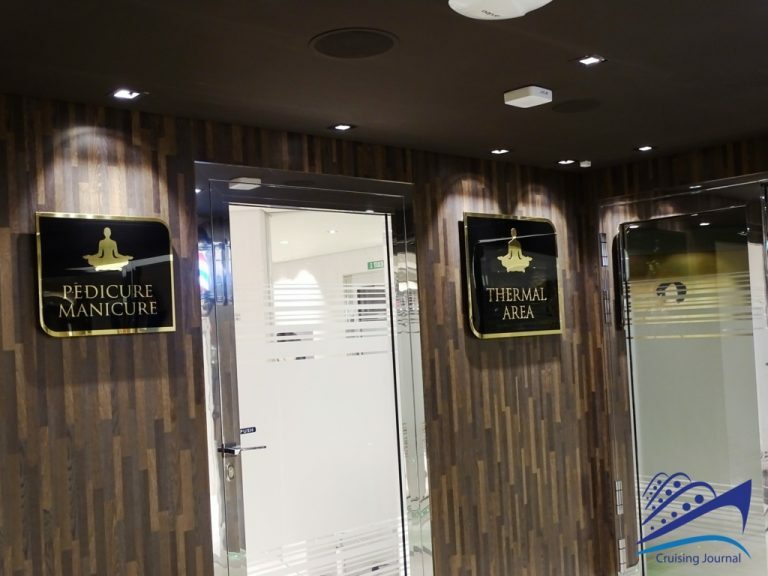 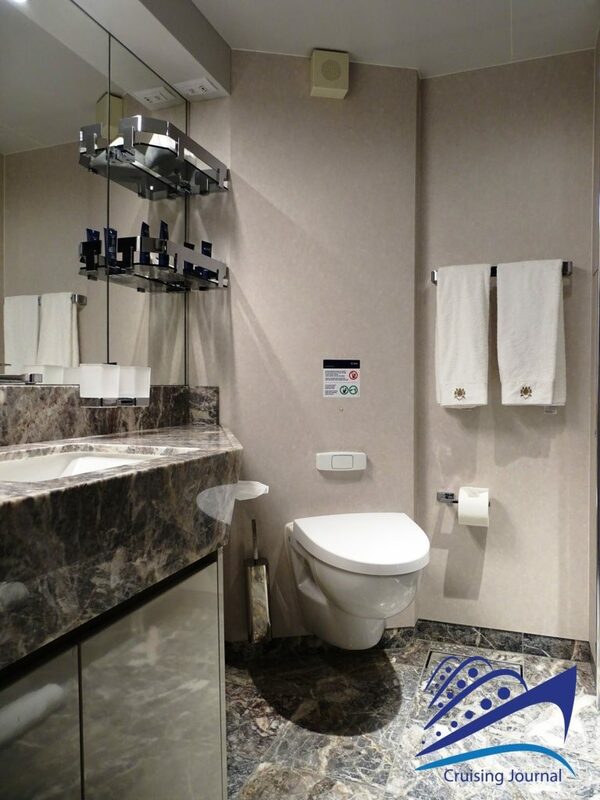 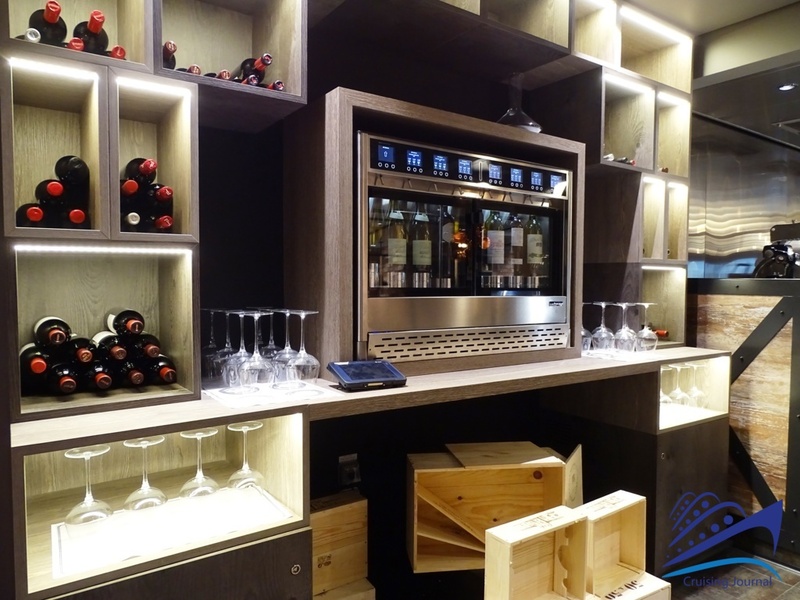 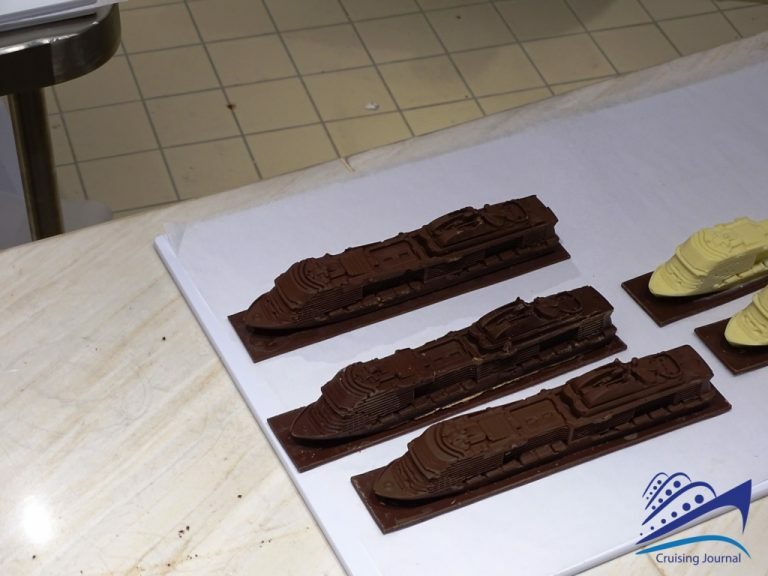 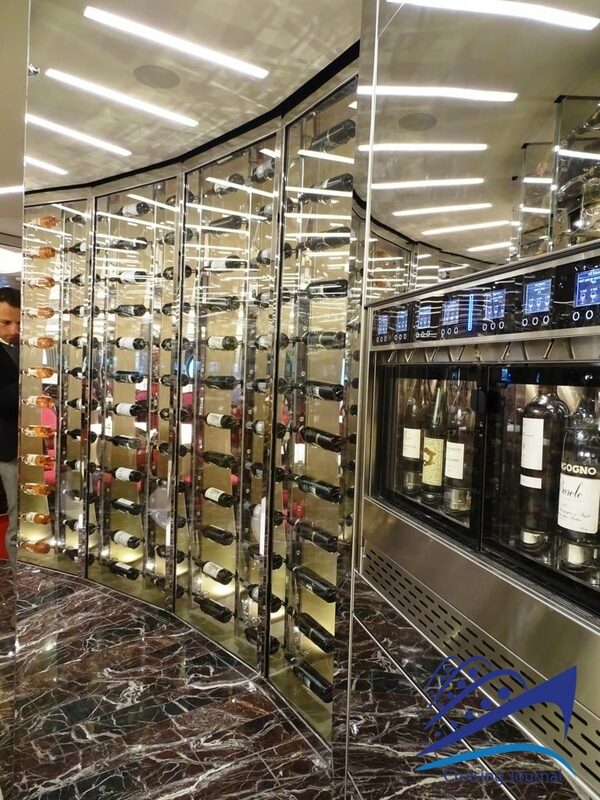 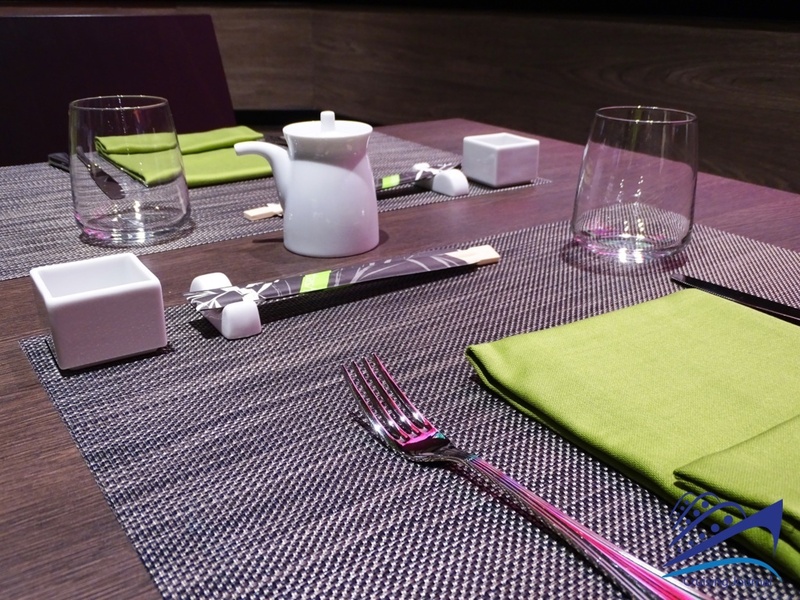 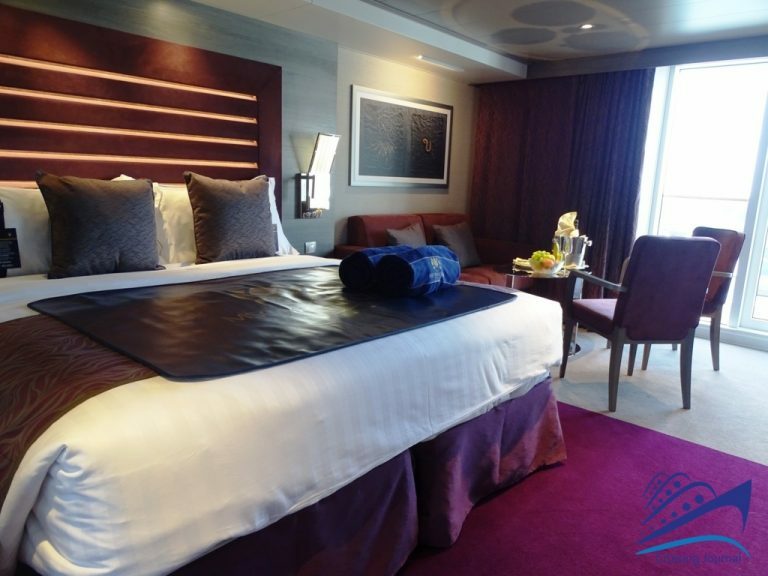 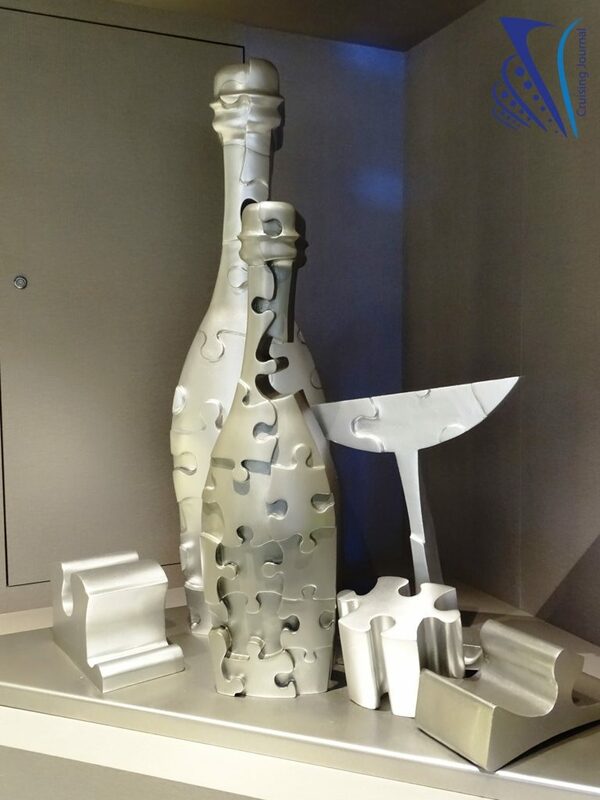 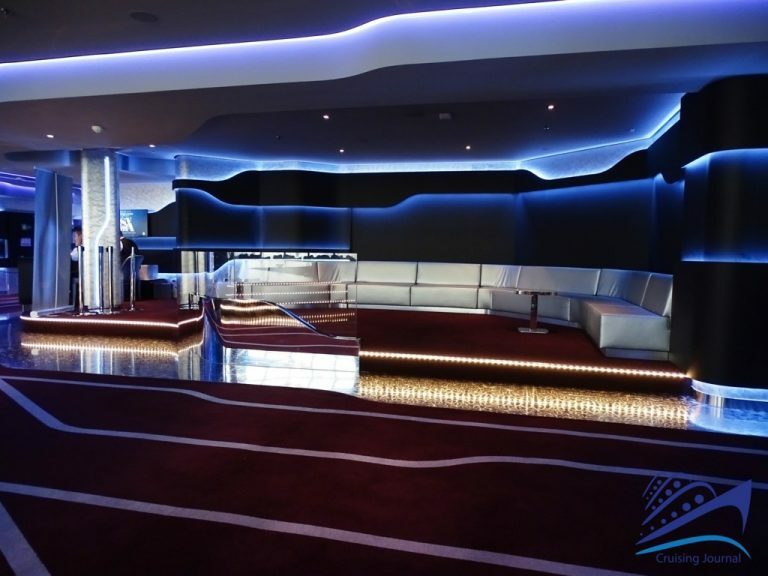 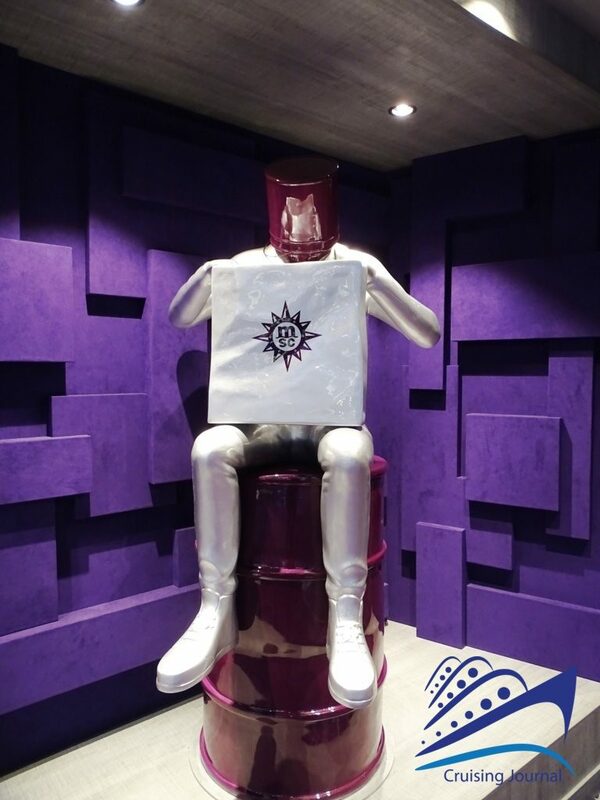 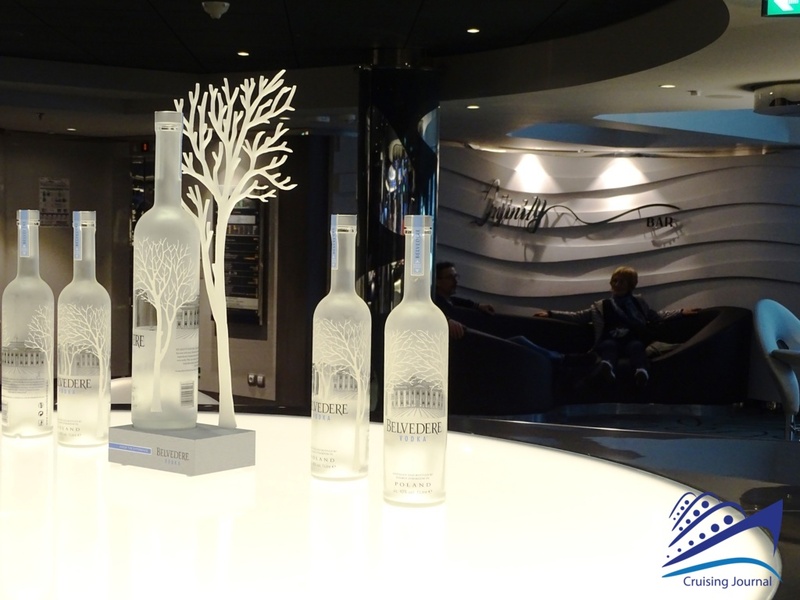 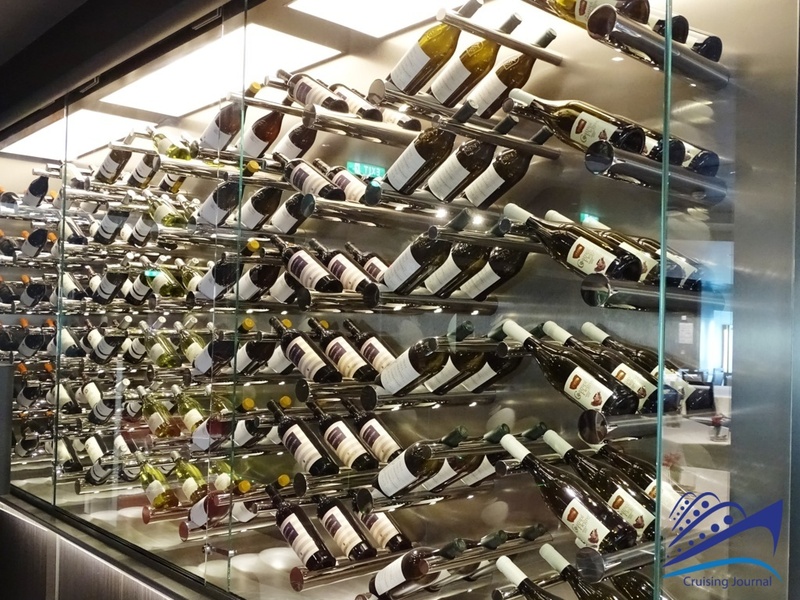 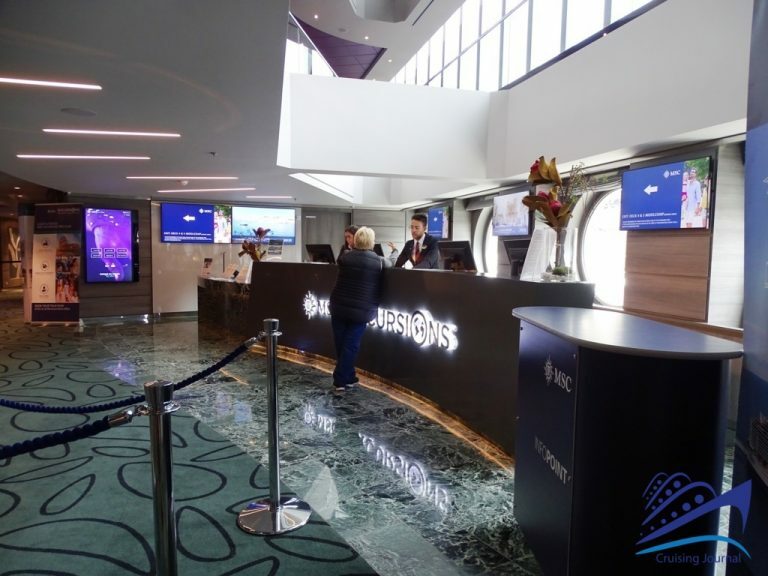 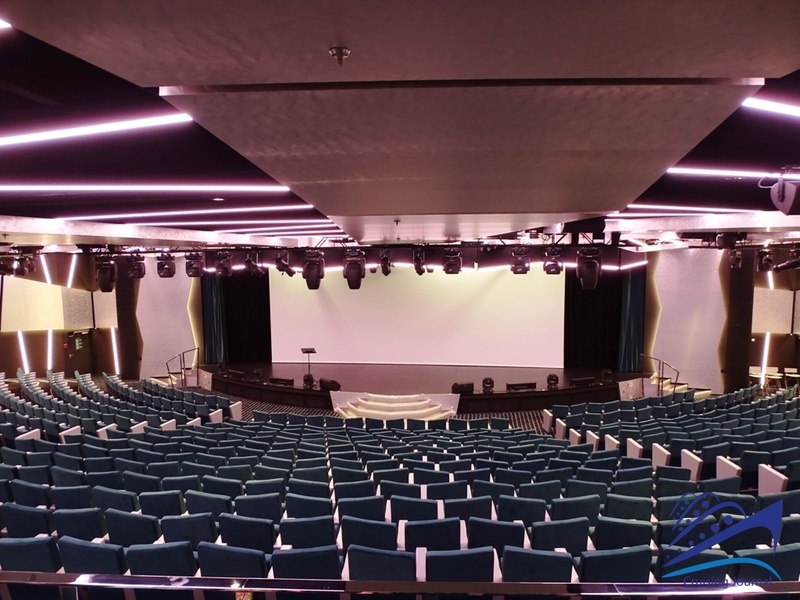 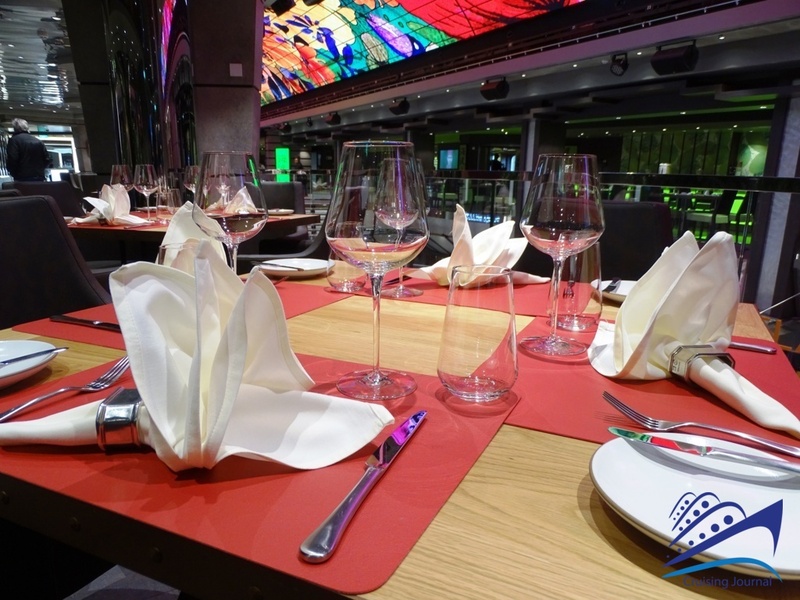 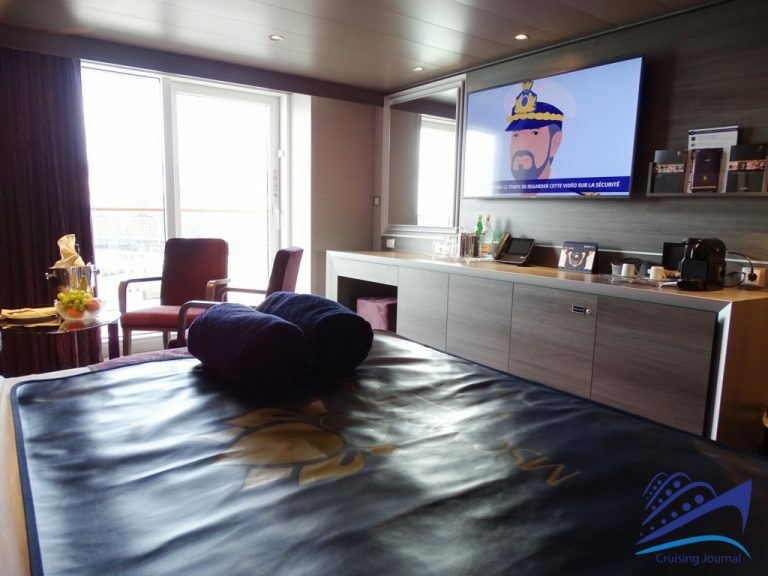 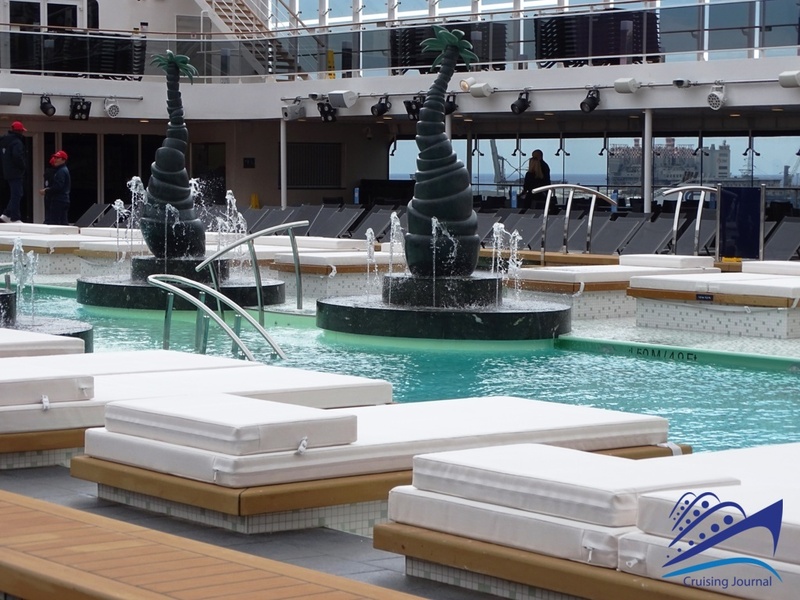 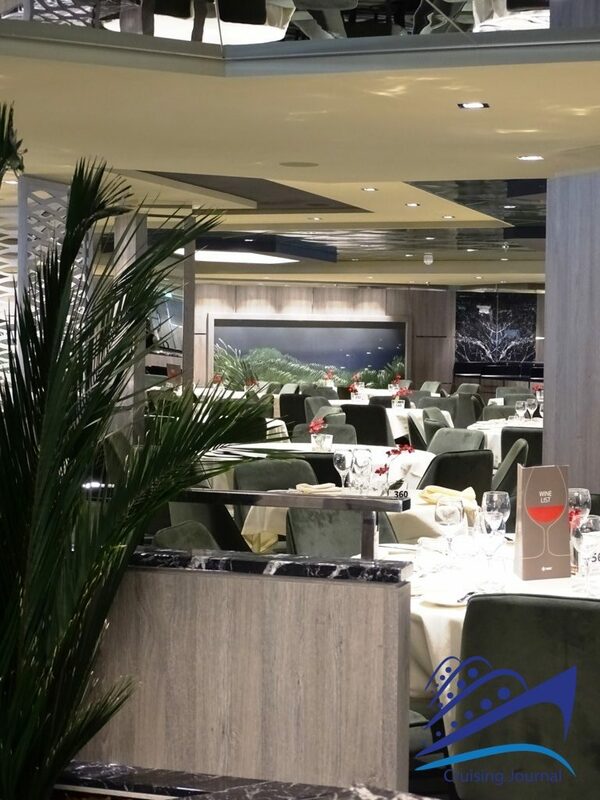 These are the sensations that are offered on board the Msc Bellissima, the second unit produced in the Meraviglia class, which was just recently added to the Msc Cruises fleet. 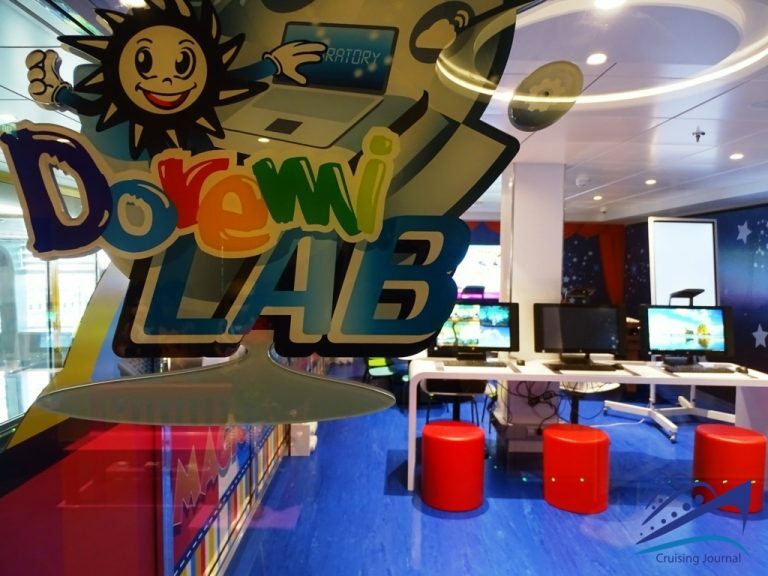 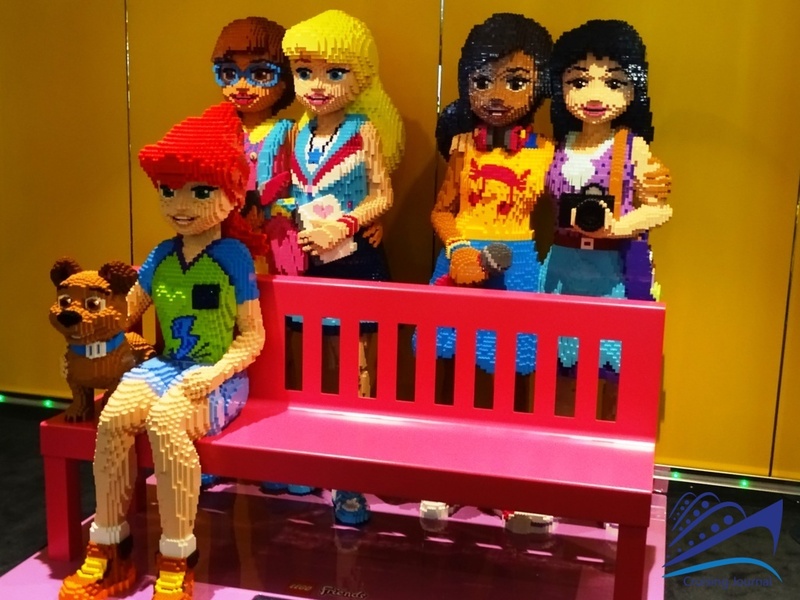 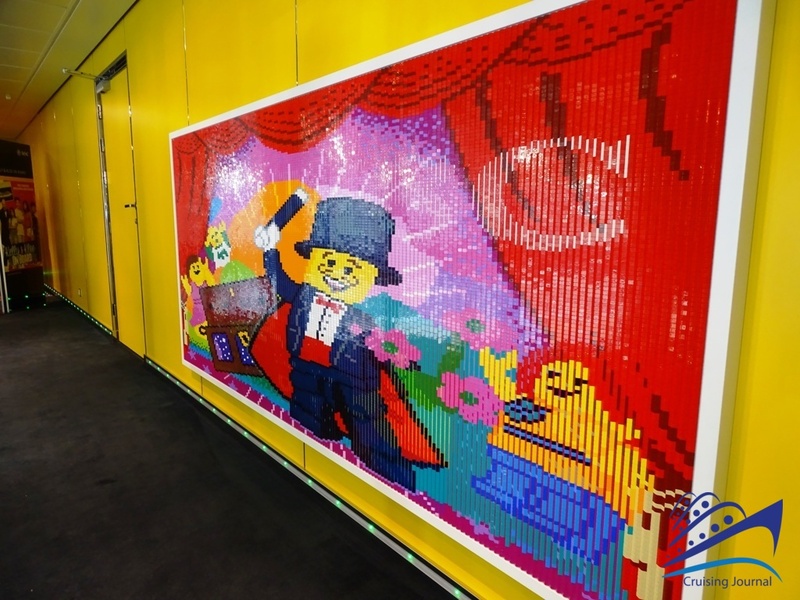 Children and teenagers will not have time to be bored with all the rooms reserved for them, not just in the company of their time-honored friend Doremi, but also with top prestigious brands like Lego and Chicco. The gastronomic choices are also plentiful. Besides the main elegant restaurants there are numerous specialty restaurants, which offer the possibility to dine each evening in a different place, traveling through cuisines not just through the sea. 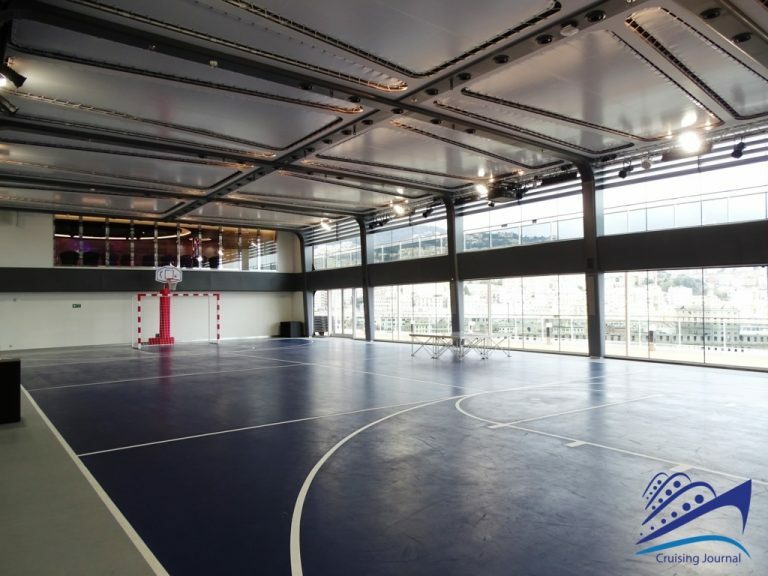 A quick description of the various rooms will help you discover the style and elegance that was obtained in collaboration with architects of incredible experience and ability. 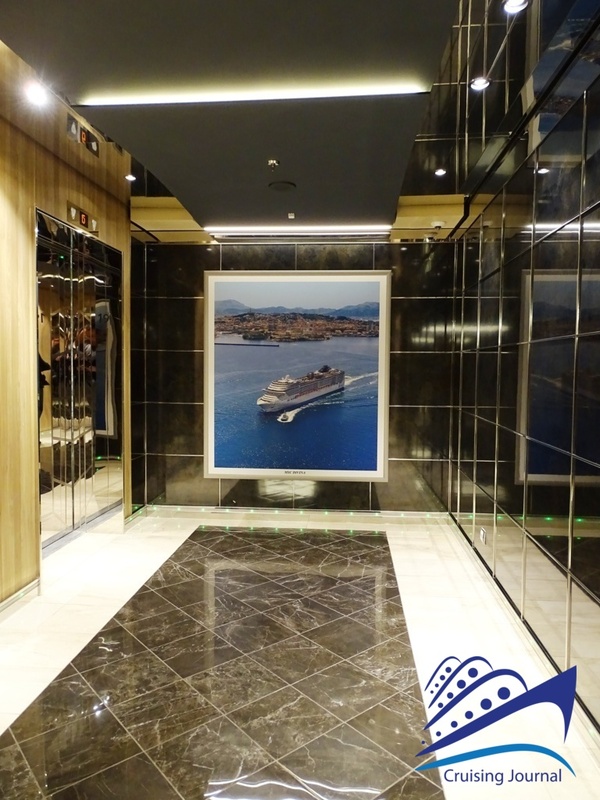 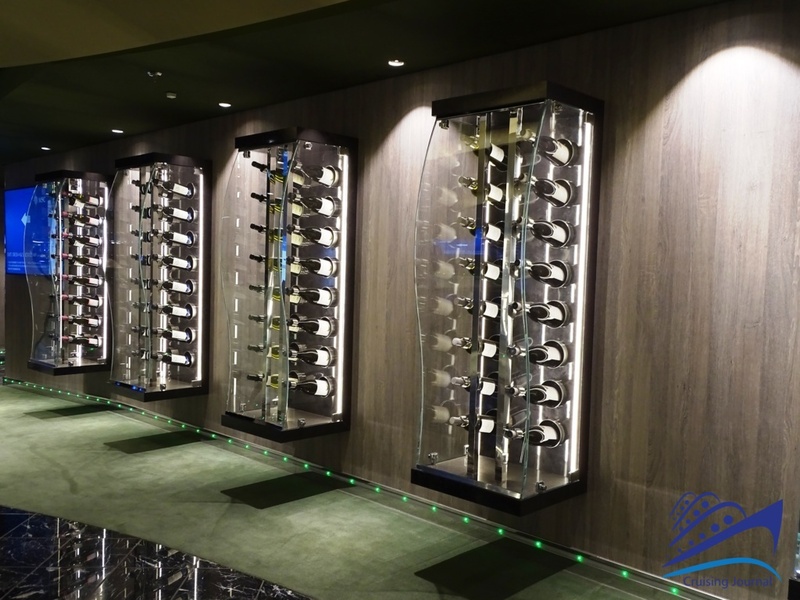 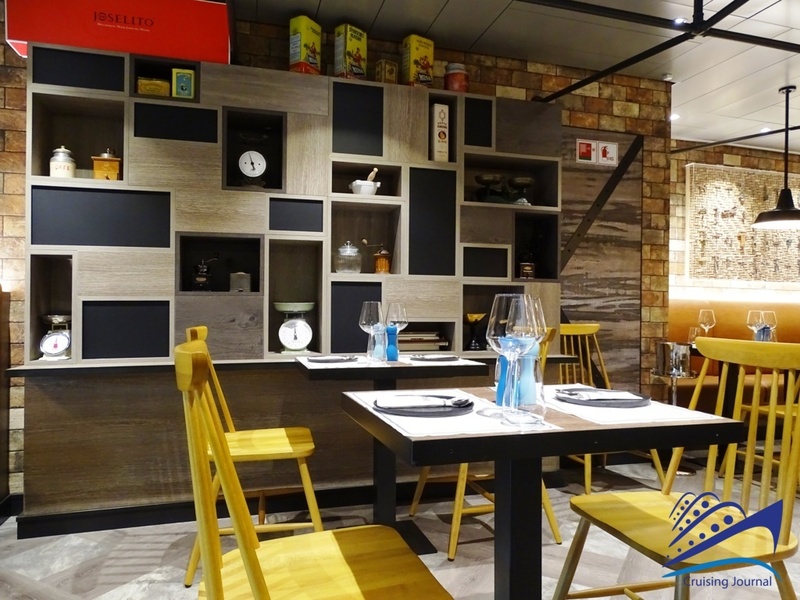 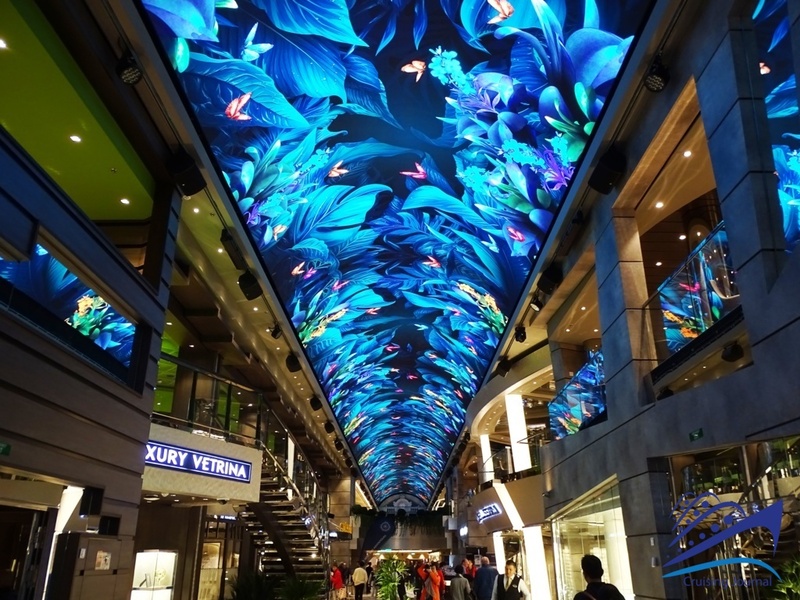 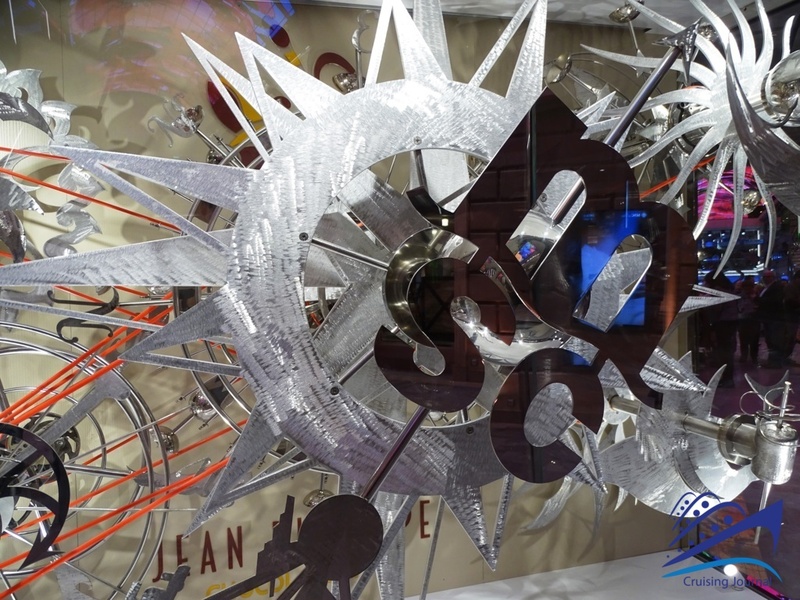 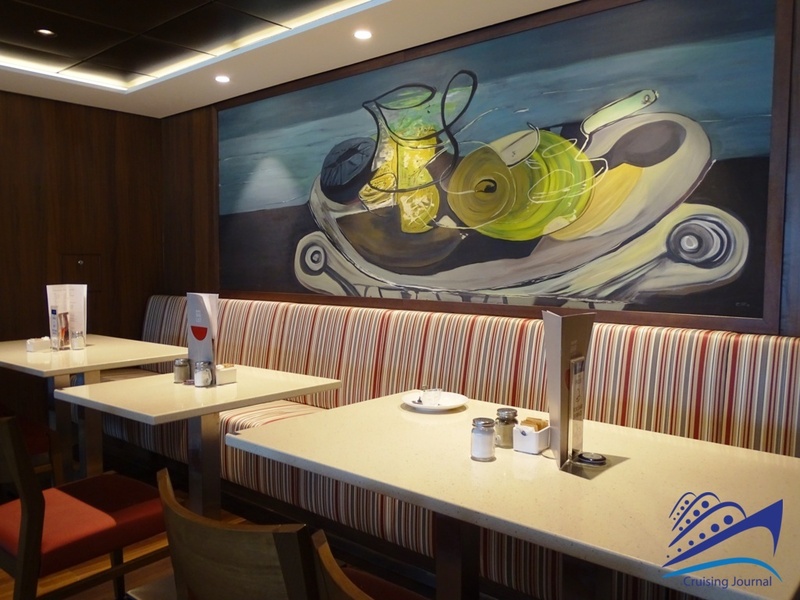 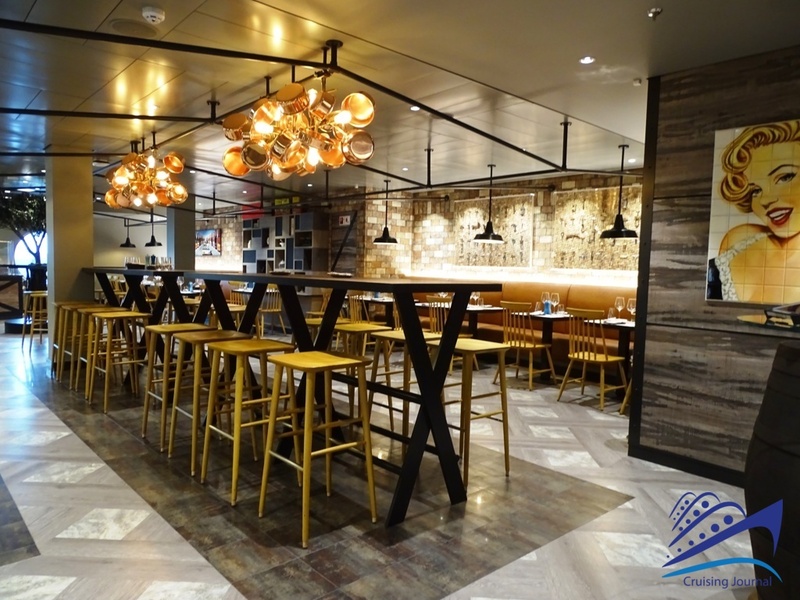 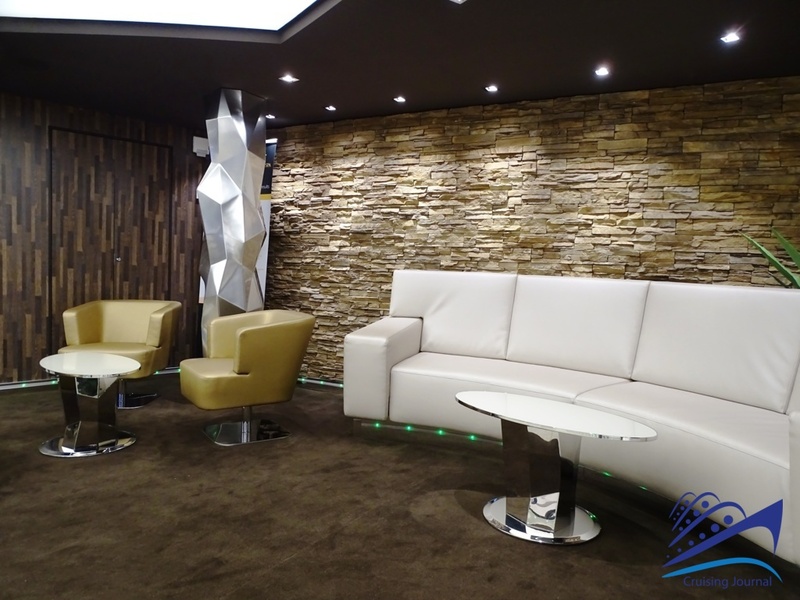 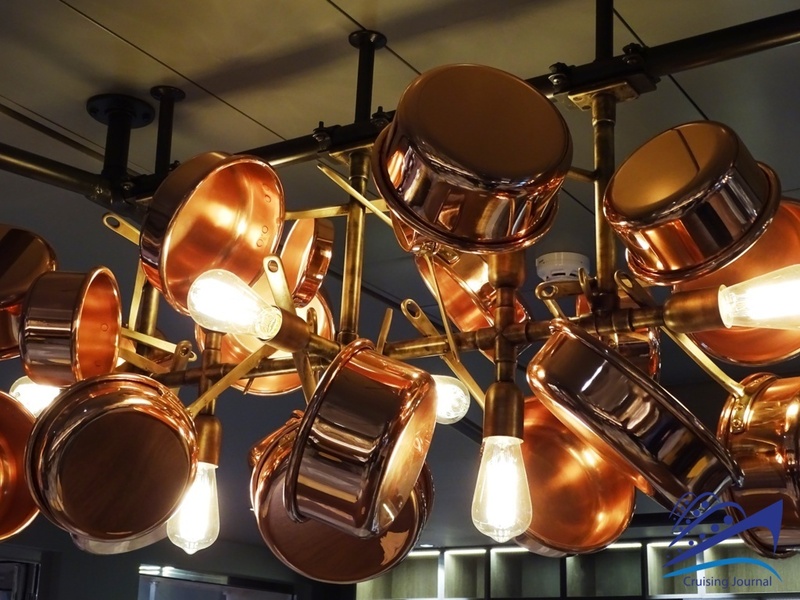 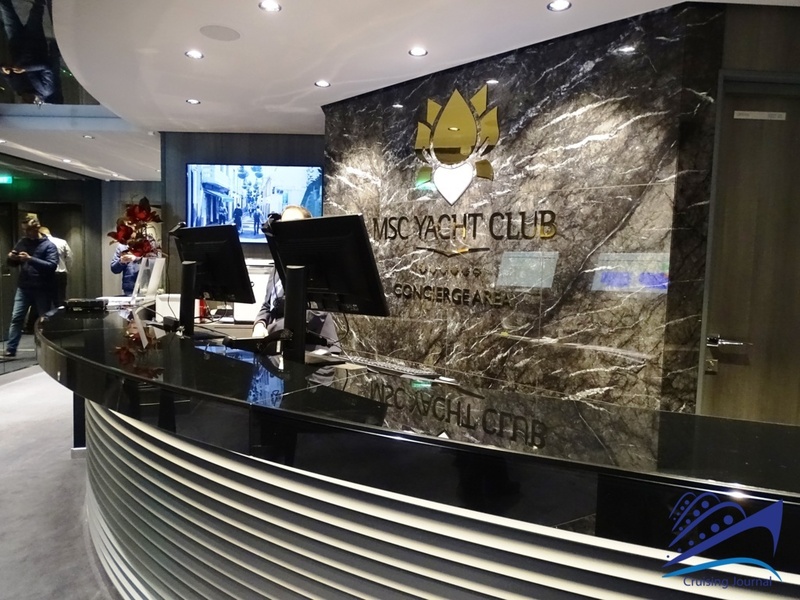 Many of the spaces have been designed, as is by now customary, by Marco De Jorio, who has partnered with Msc Cruises for years in the planning and design of new ships. 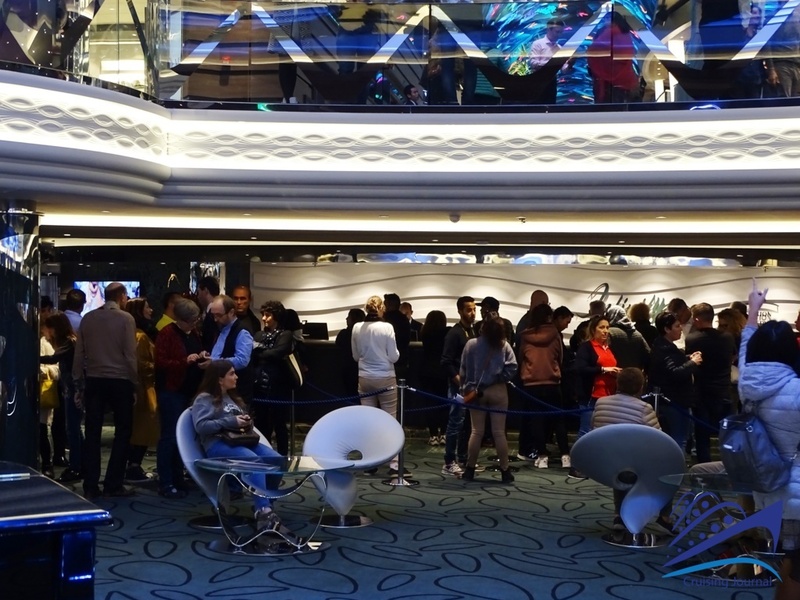 On the Msc Bellissima, 15 of the 19 decks are reserved for passengers, although the 4th only has the medical center and gangway. 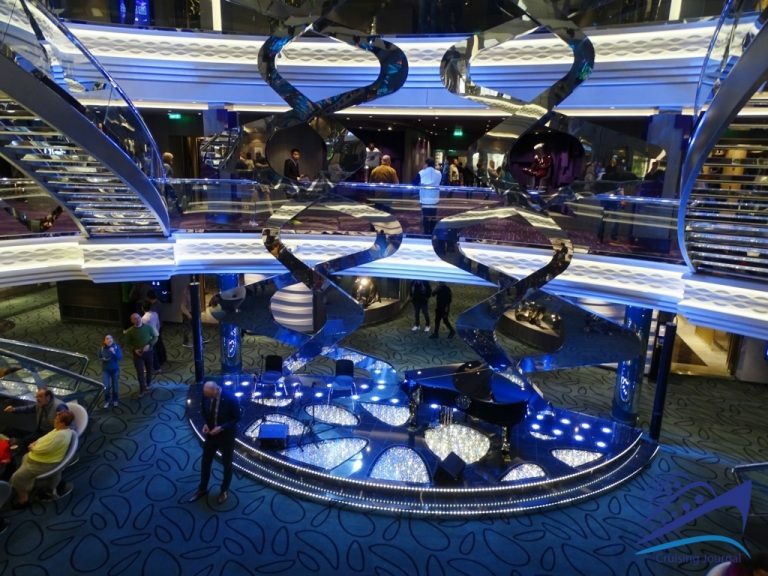 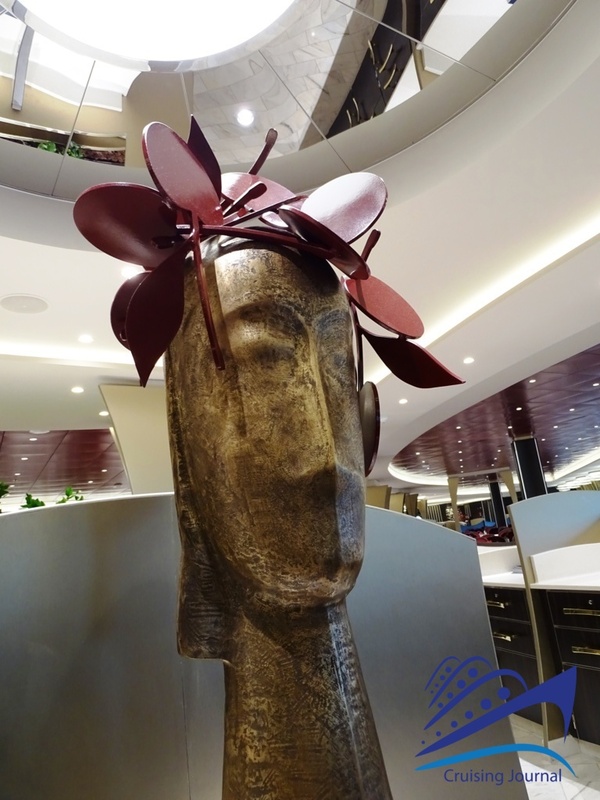 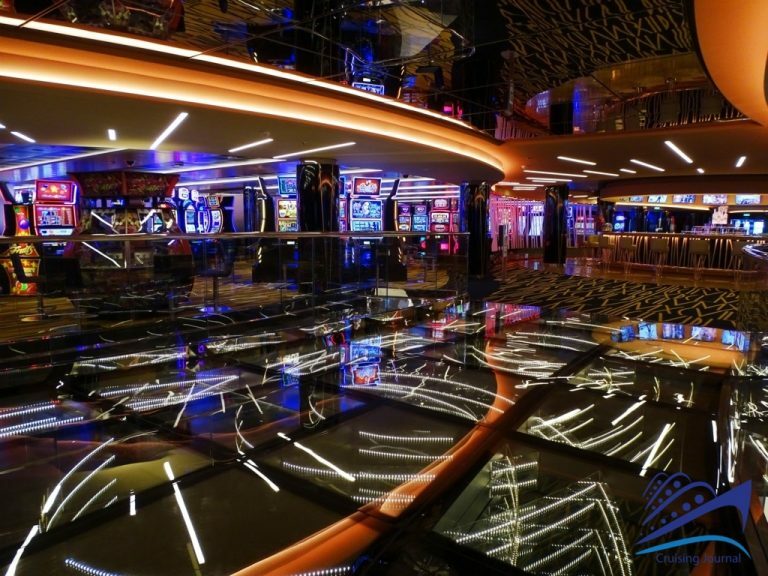 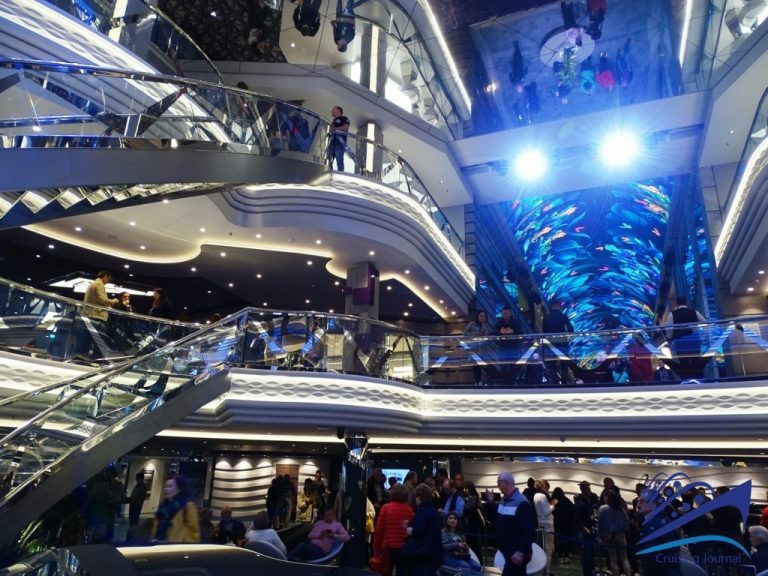 The beating heart of the ship is without a doubt the Infinity Atrium, located on deck 5, always lively and busy. 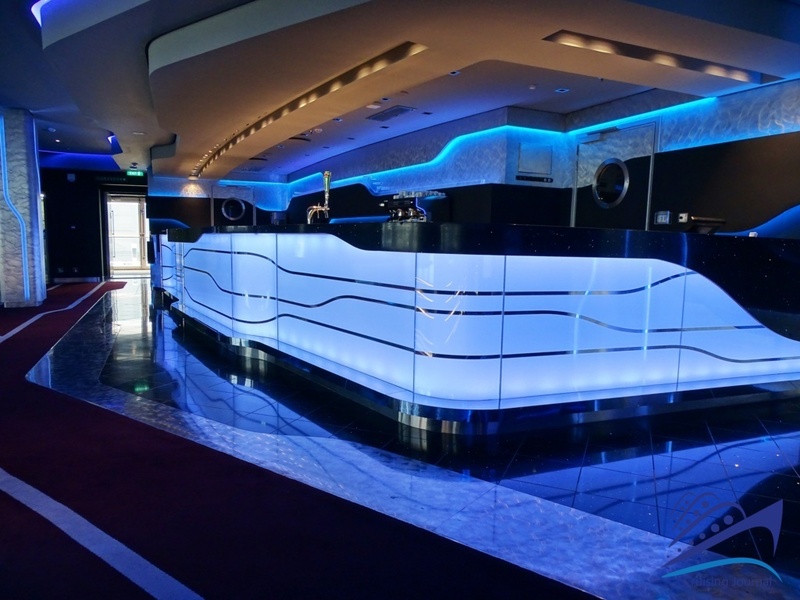 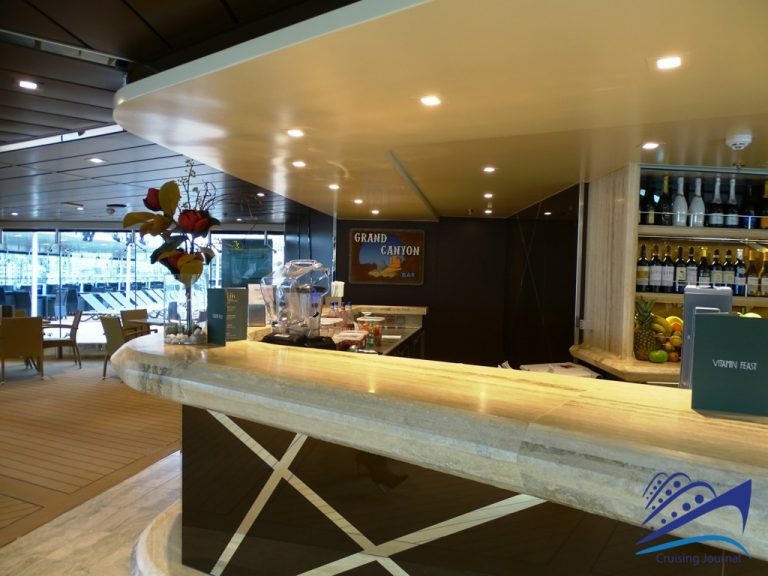 Here you will find the Reception and the Excursion Office, while the Infinity Bar serves the entire area offering everything from coffee to evening drinks. 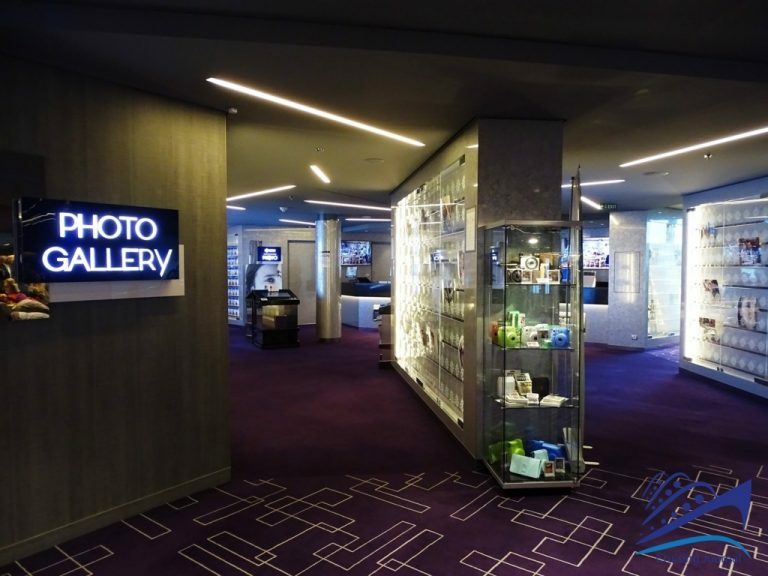 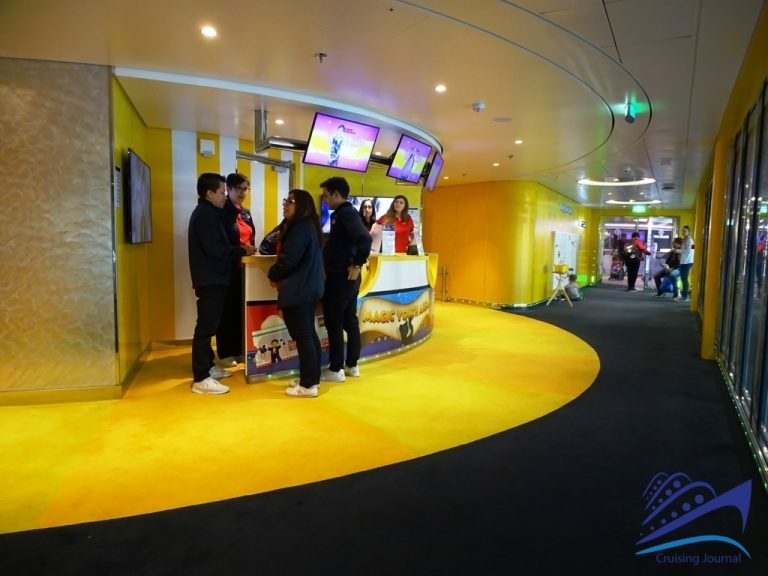 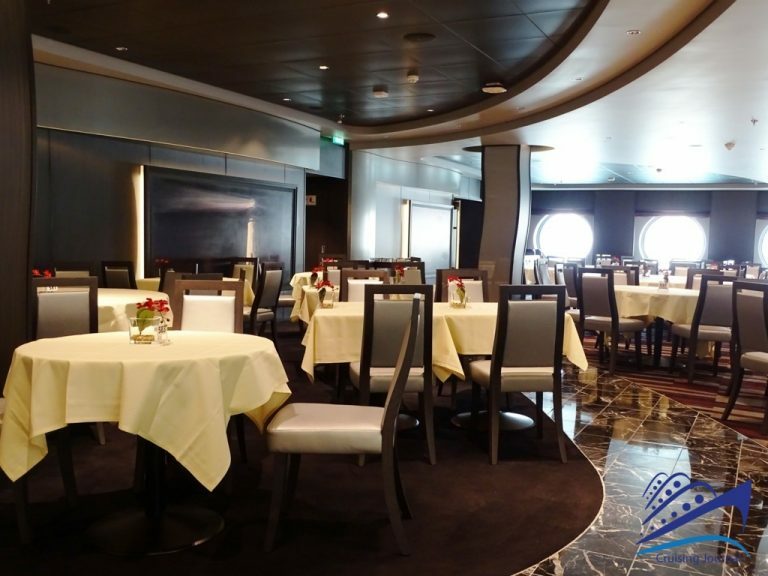 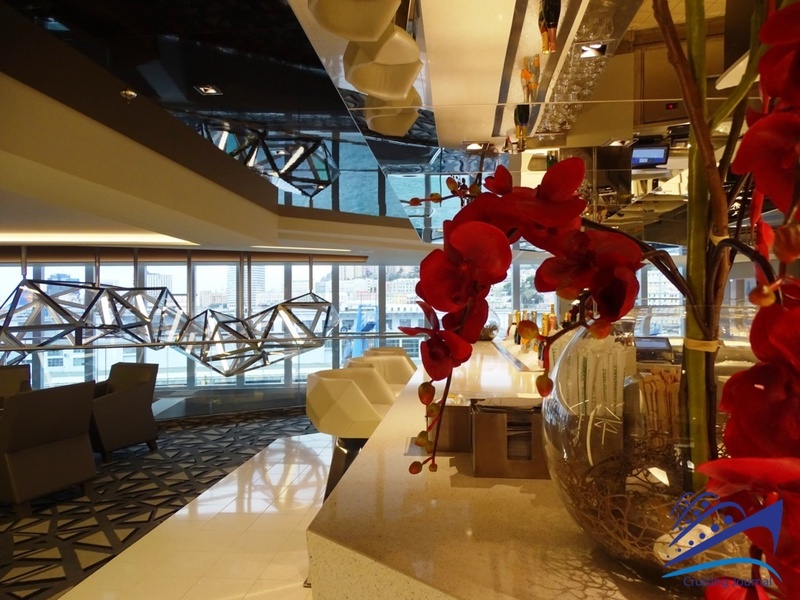 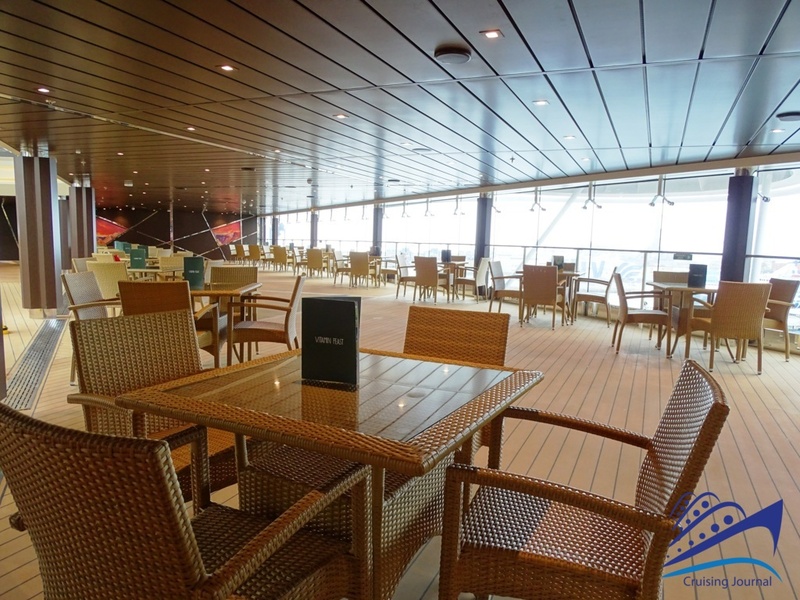 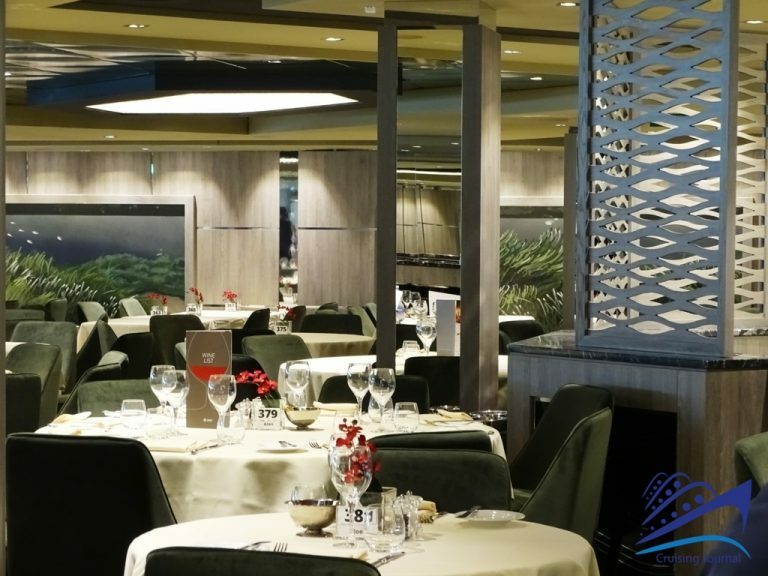 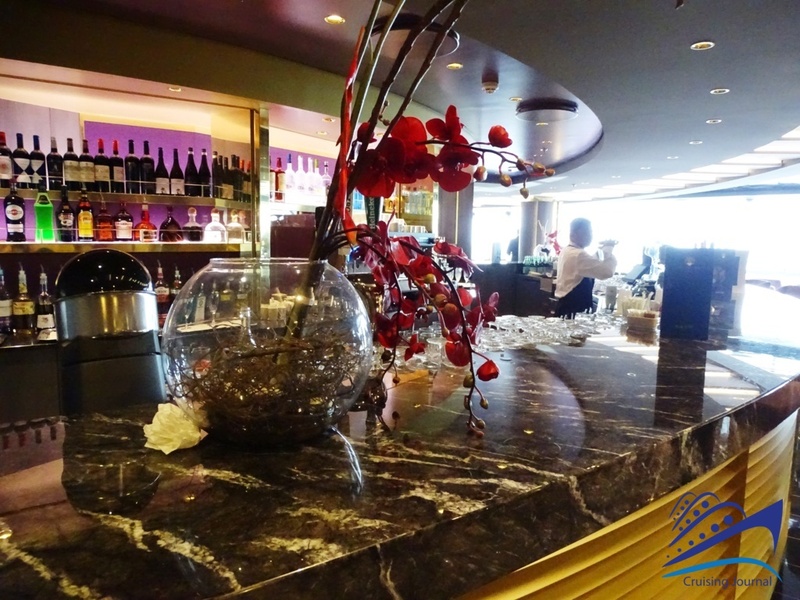 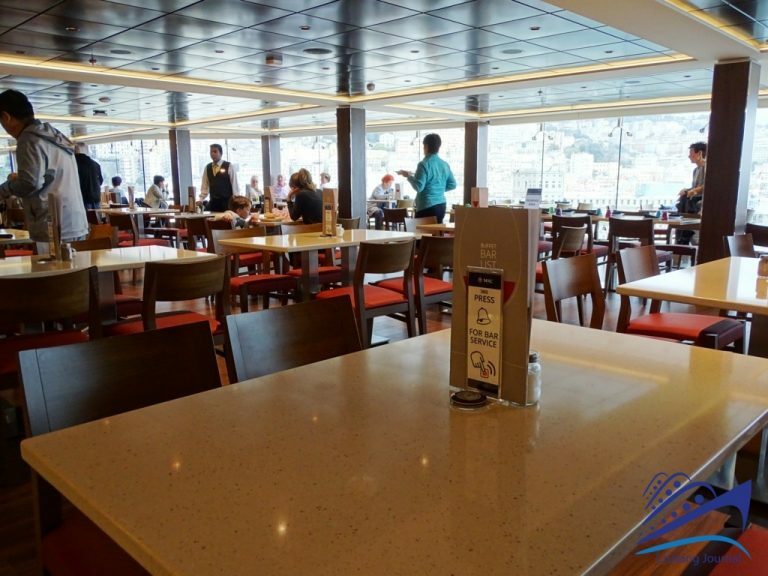 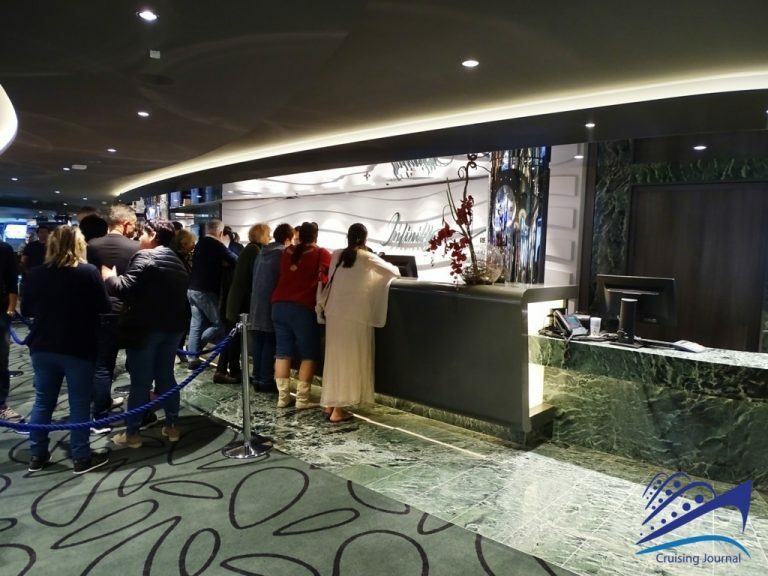 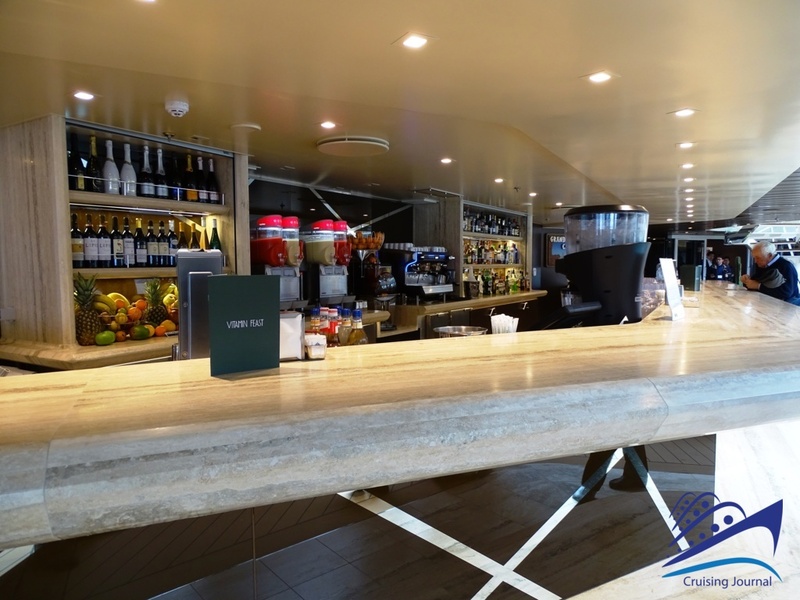 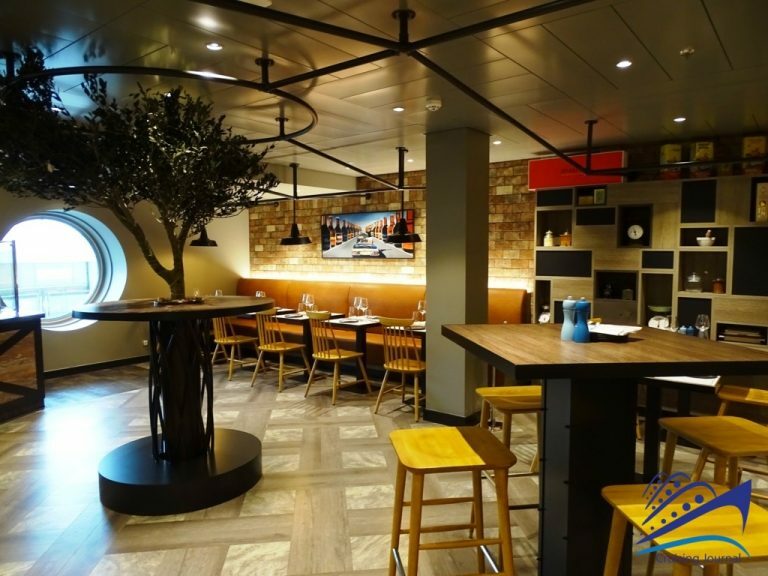 Moving toward the bow, from the atrium, you can access the Business Center, while at the stern is one of the main restaurants on board, the Posidonia Restaurant. 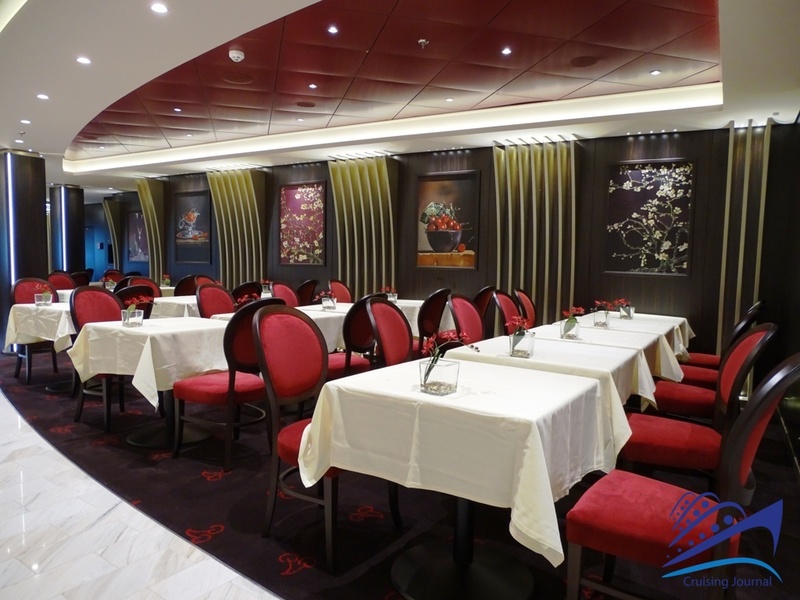 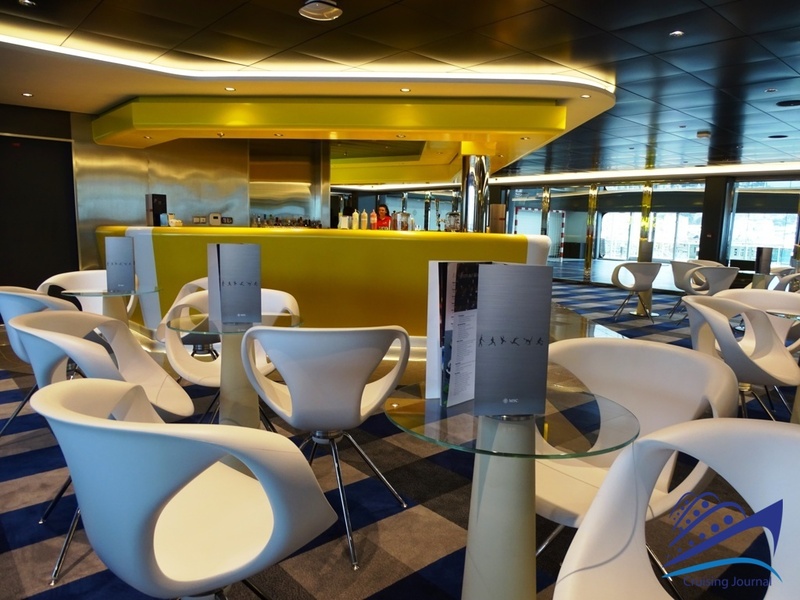 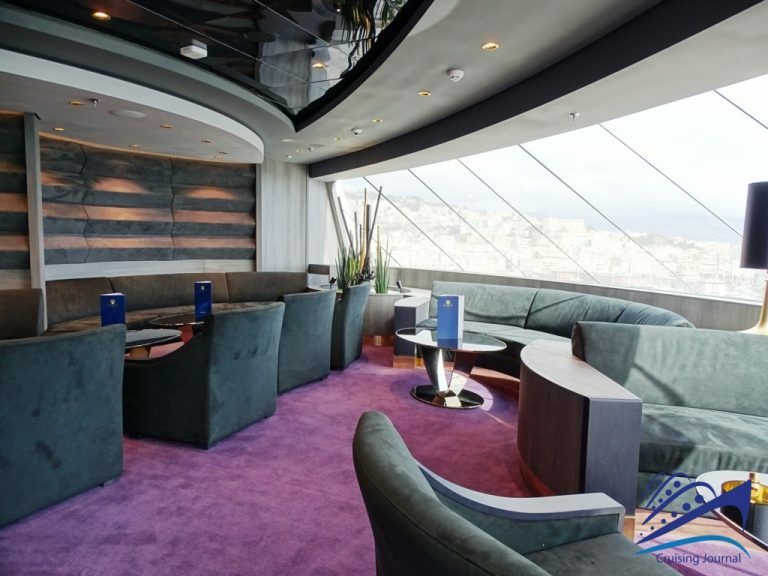 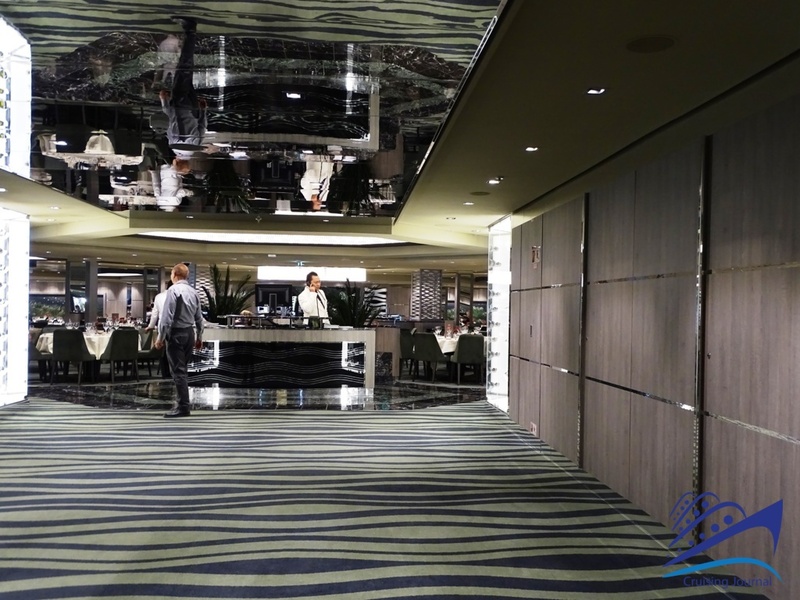 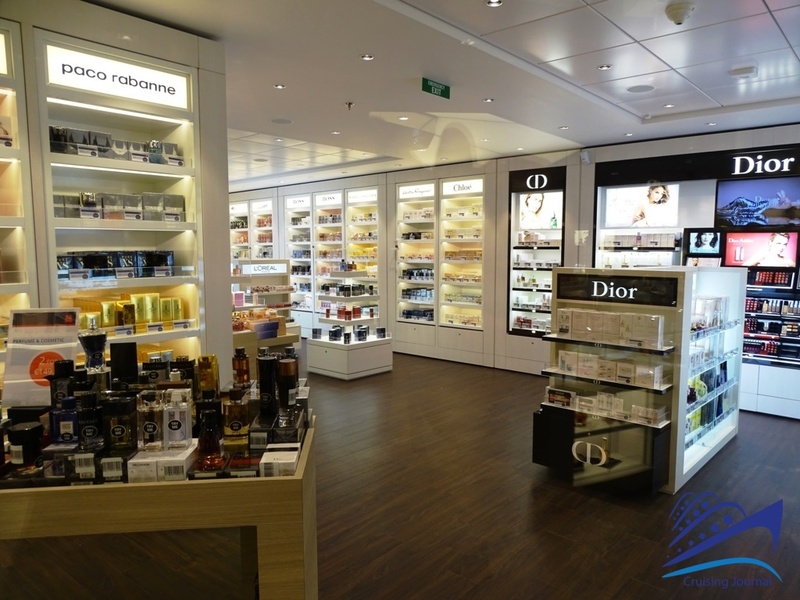 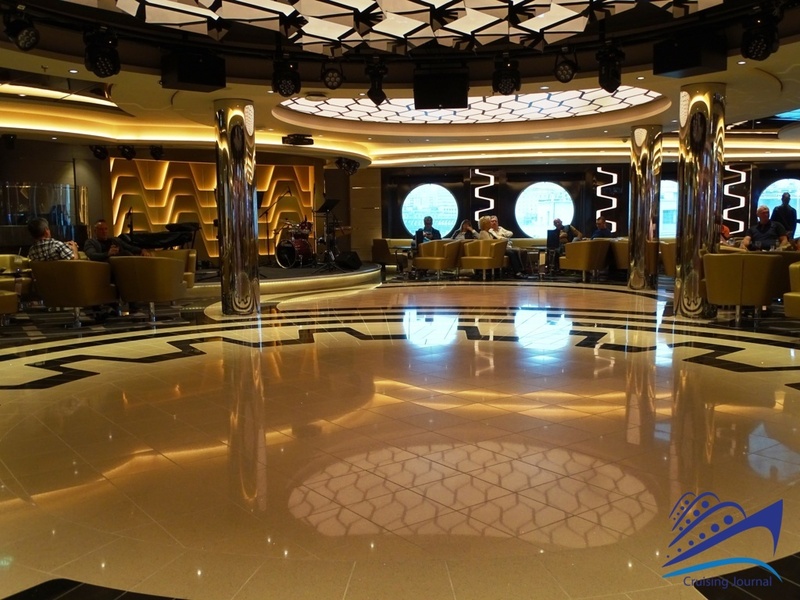 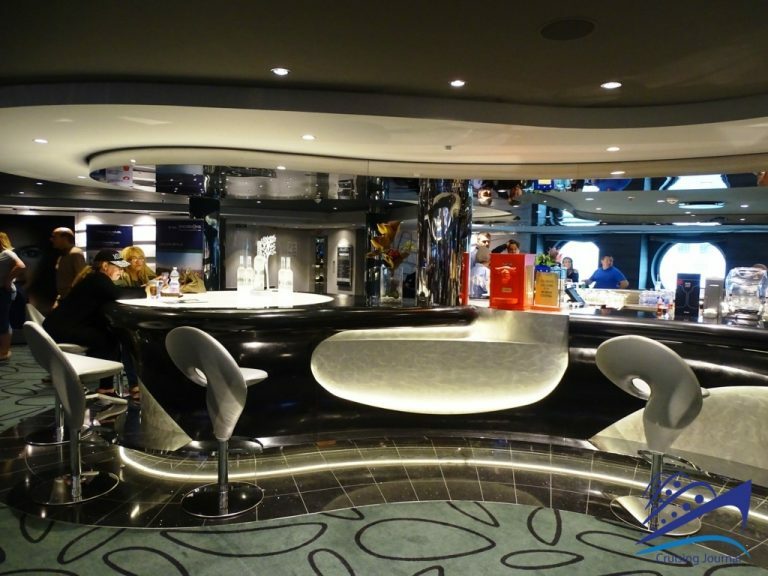 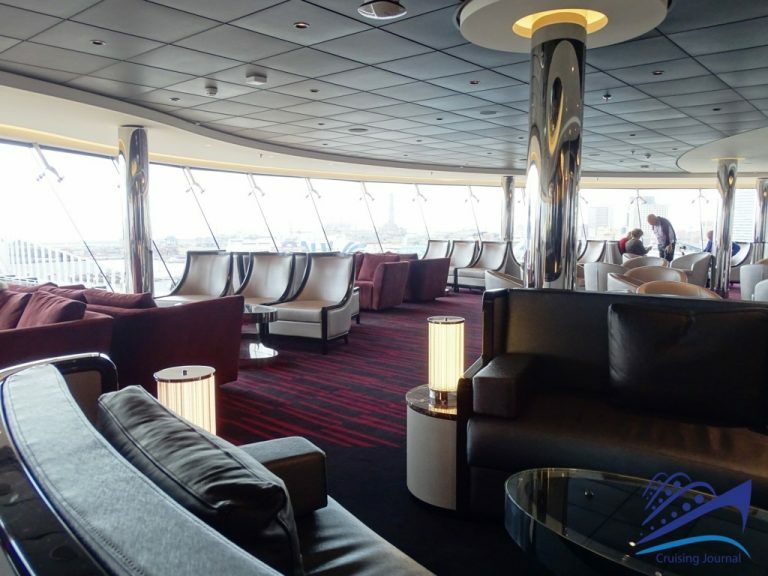 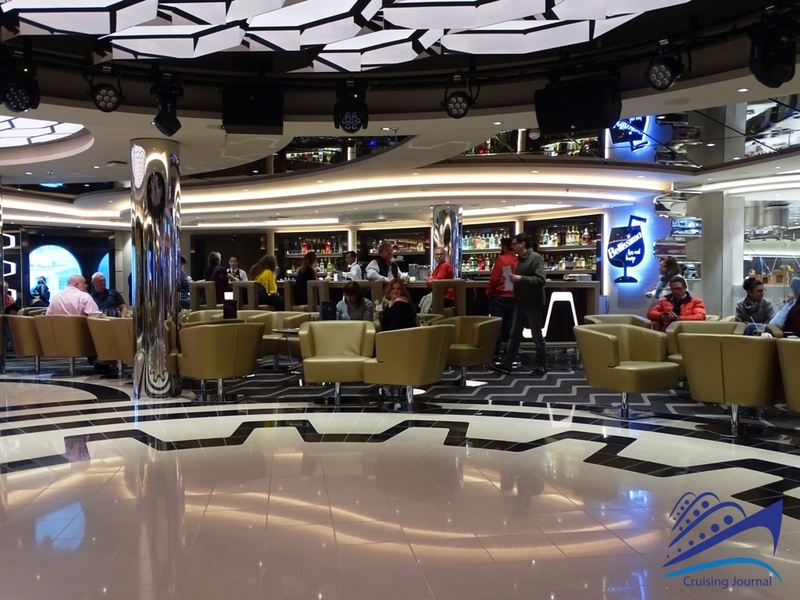 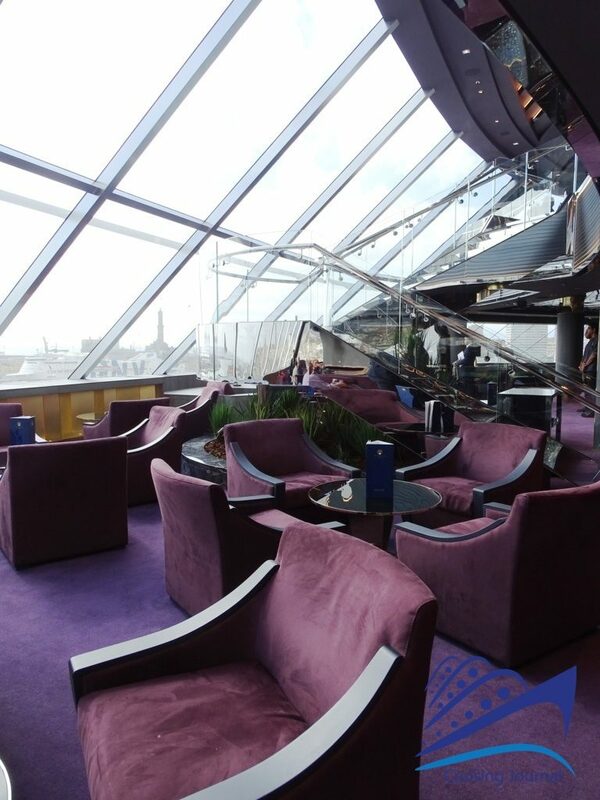 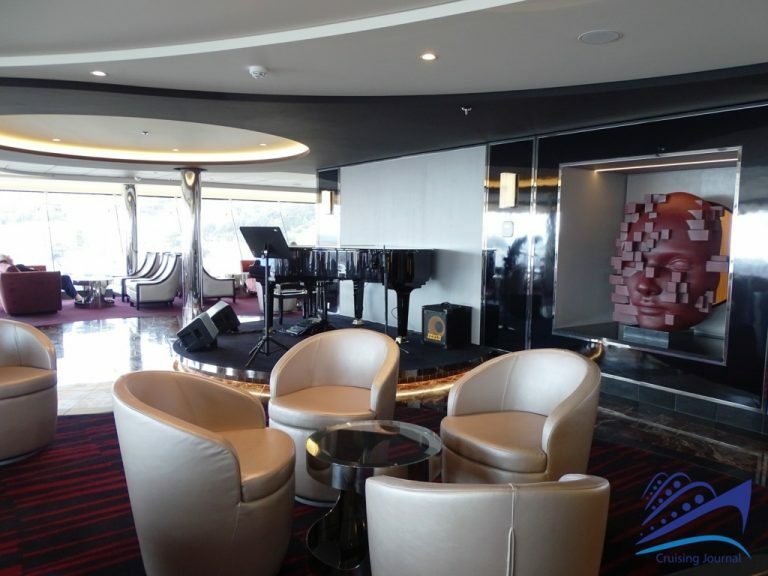 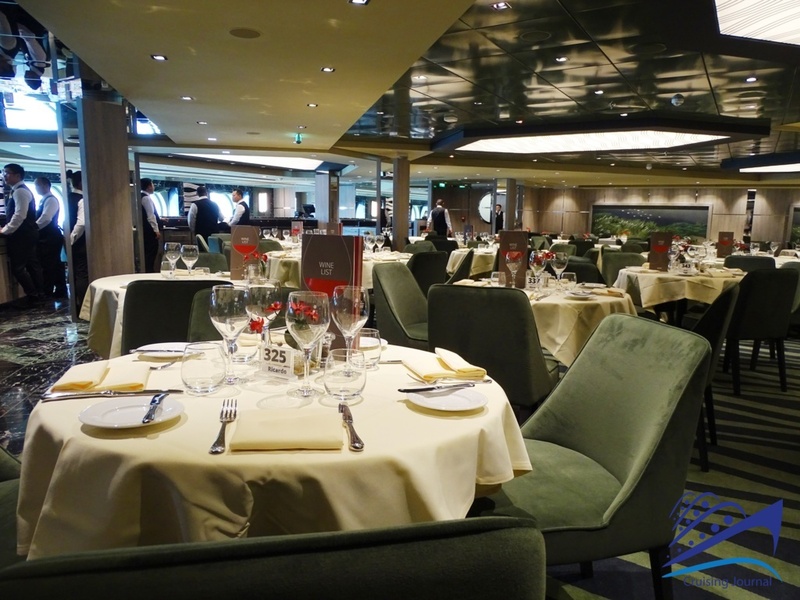 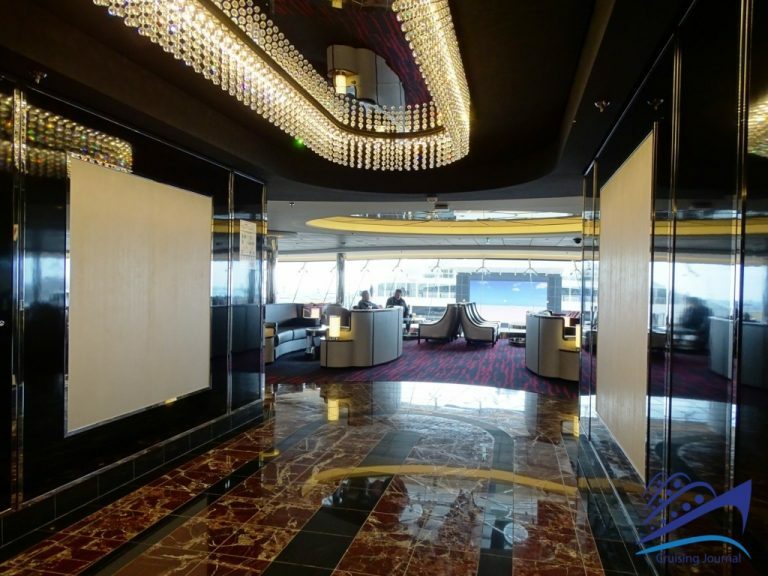 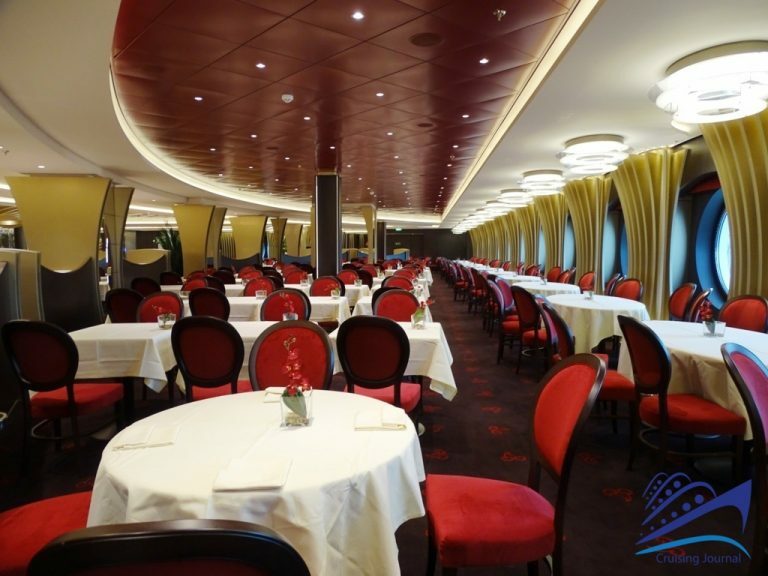 Deck 6 has the most lounges and other passenger services. 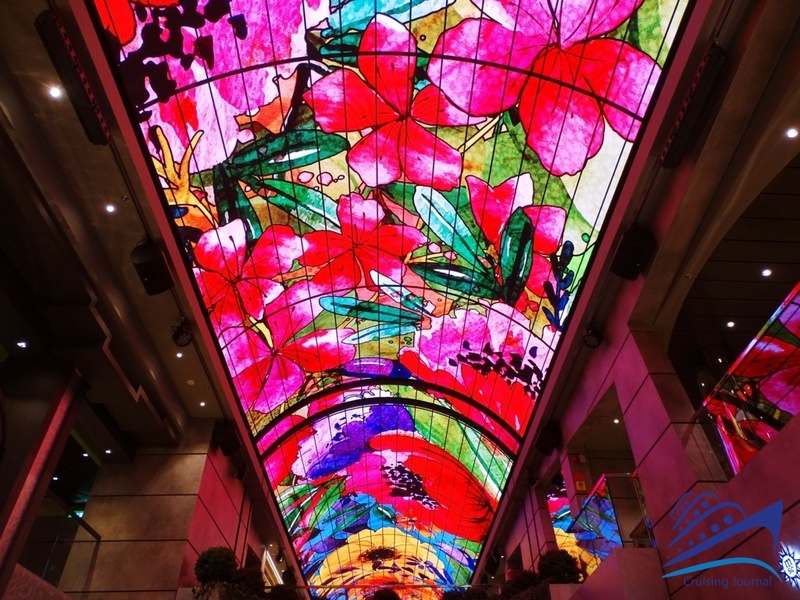 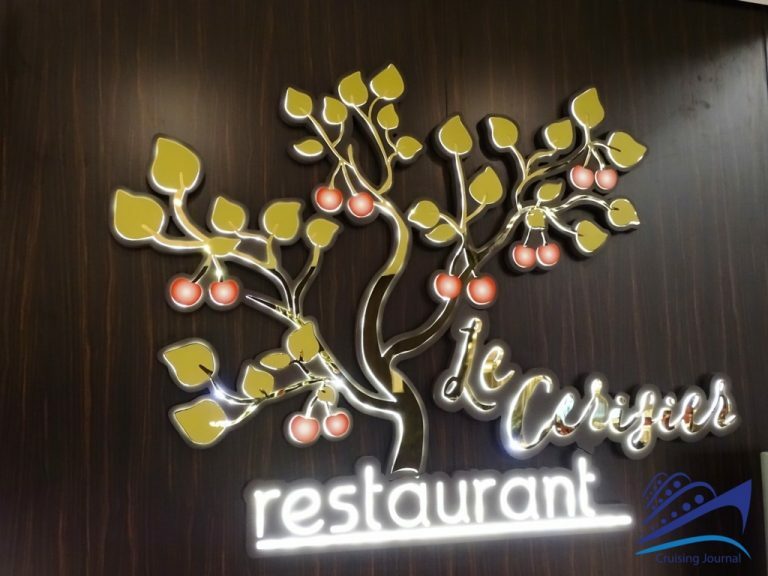 Starting again at the Infinity Atrium and heading towards the stern, you go through the Emotions – Immersive Gallery arriving at The Cherry Tree – Le Cerisier Restaurant, the other main restaurant. 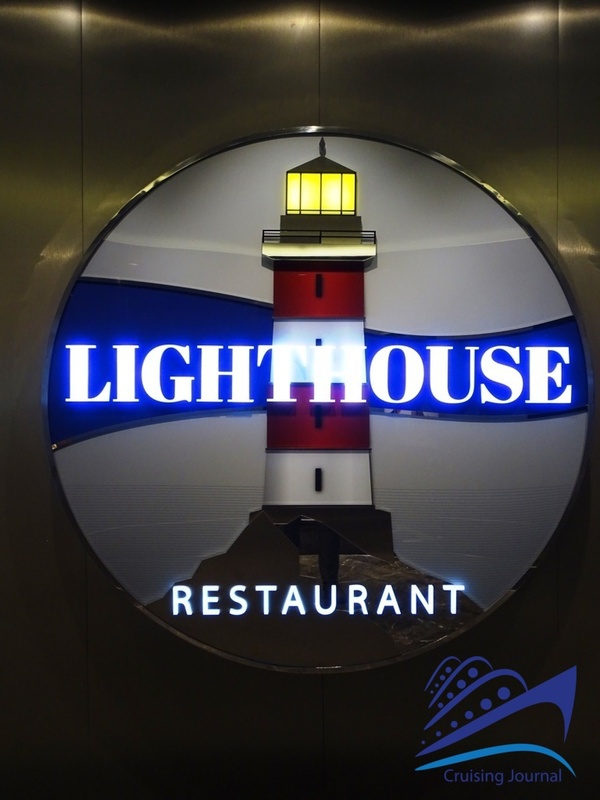 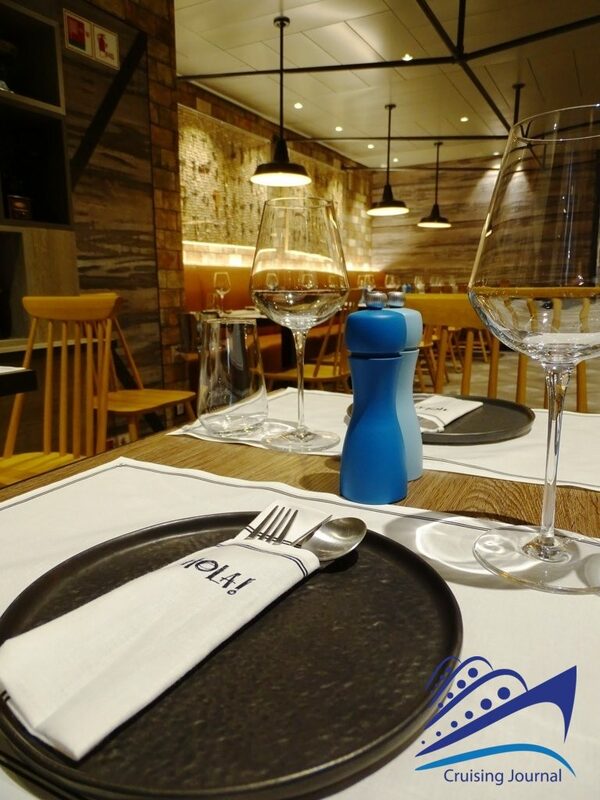 Finally, in the same area, there is a third restaurant called Lighthouse Restaurant, this one with flexible dining hours. 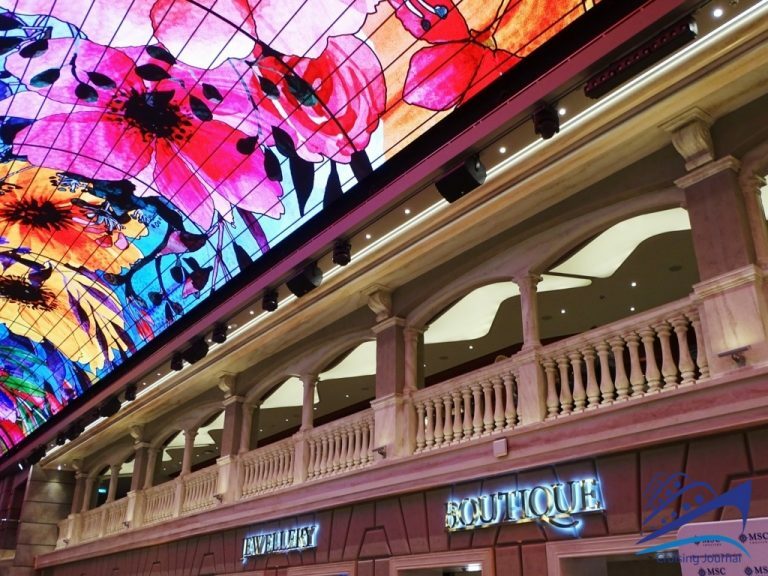 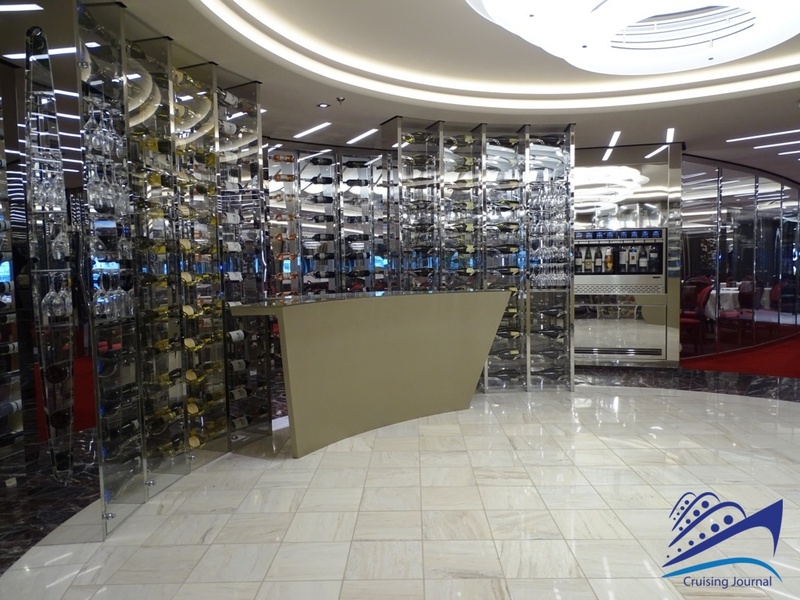 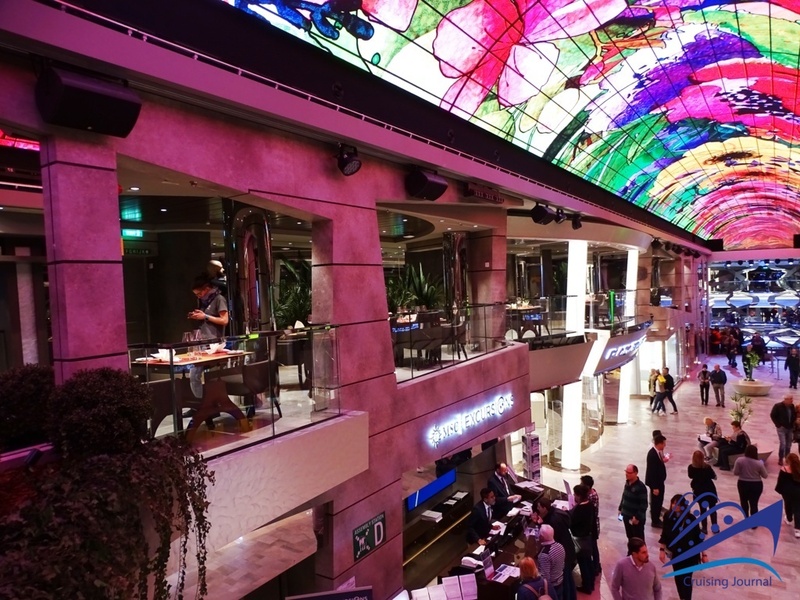 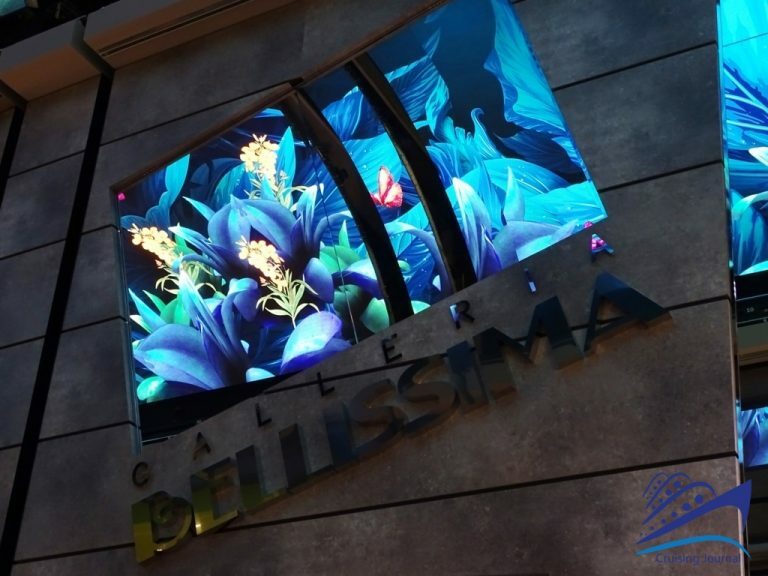 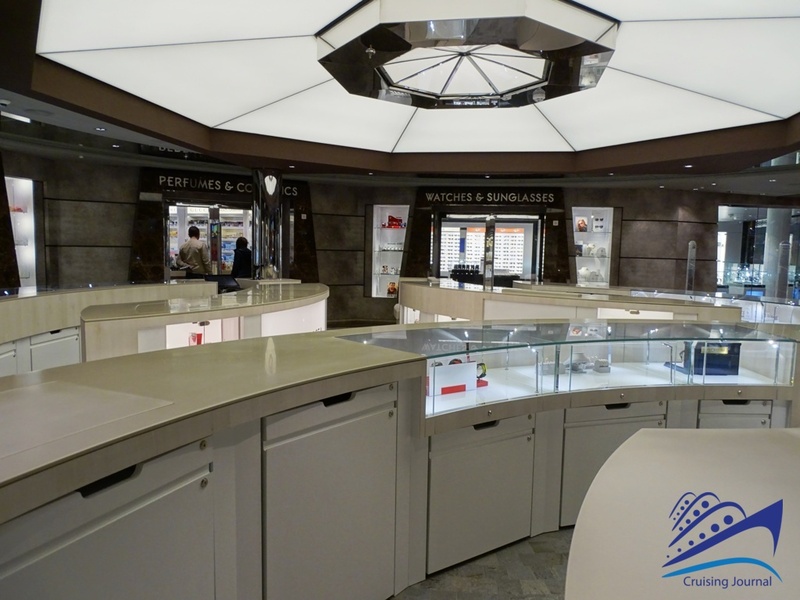 At the center of the ship is the Galleria Bellissima, a promenade full of shops, restaurants, and lounges. 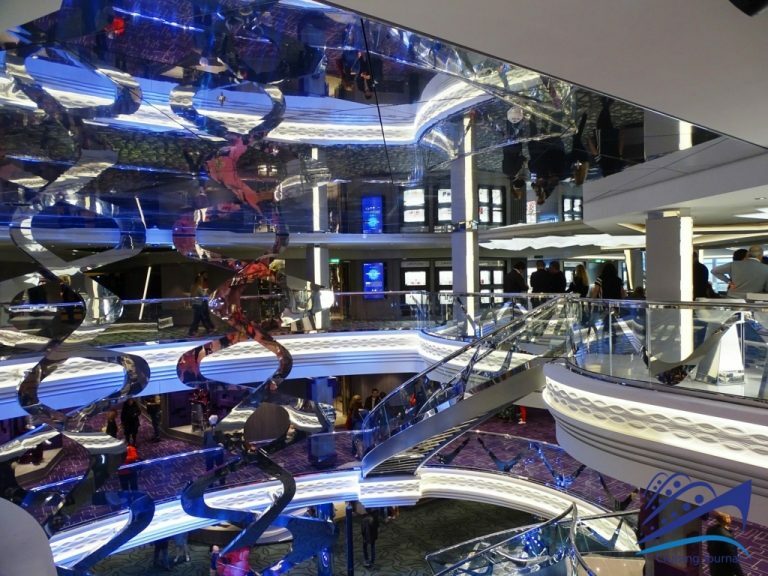 Going up the elegant staircase of the atrium you will first find the Photo Shop and the Photo Gallery, surrounded by the tables of The Edge Cocktail Bar. 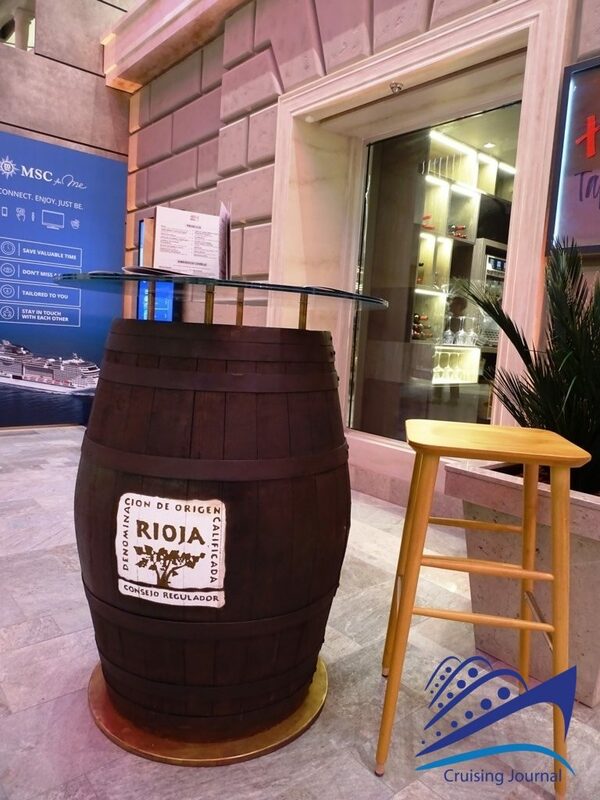 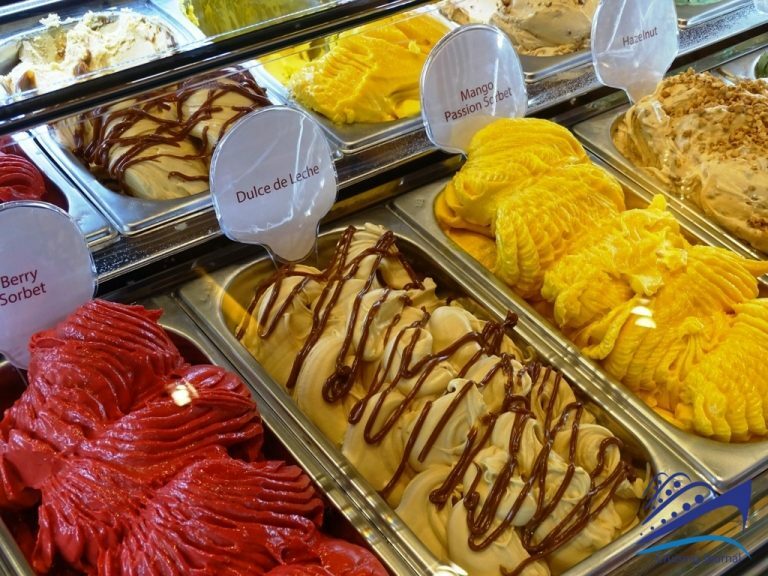 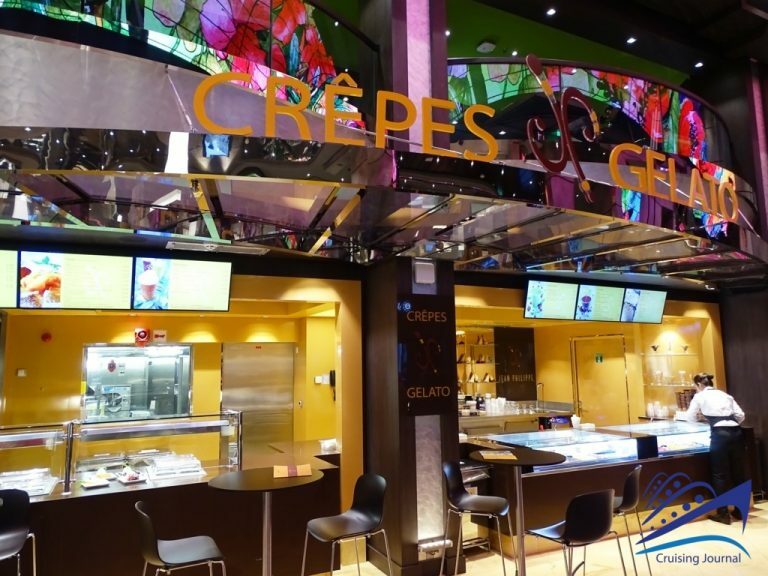 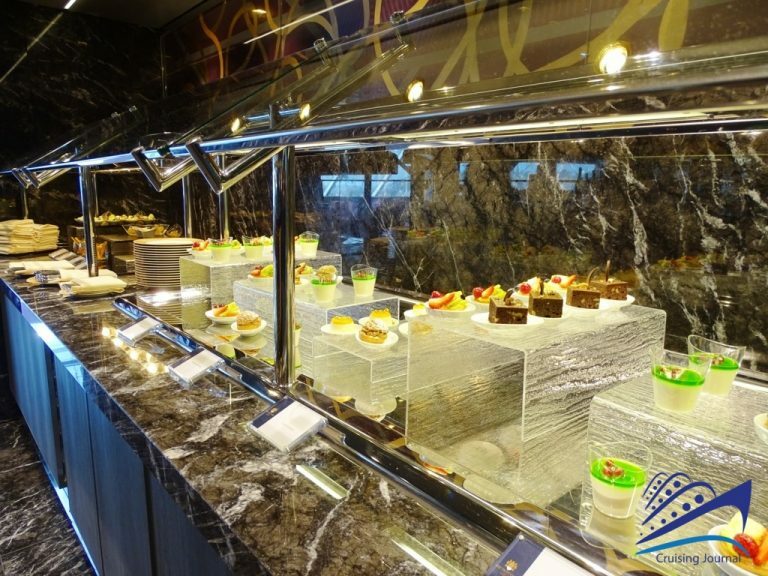 Walking up the ship’s “main street” you will then encounter the Jean-Philippe Crepes & Gelato for a sweet break, and the Hola Tapas Bar by Romon Freixa where you can stop for something that is more than just a snack: a true tapas paradise, with friendly and informal décor and a good wine selection. 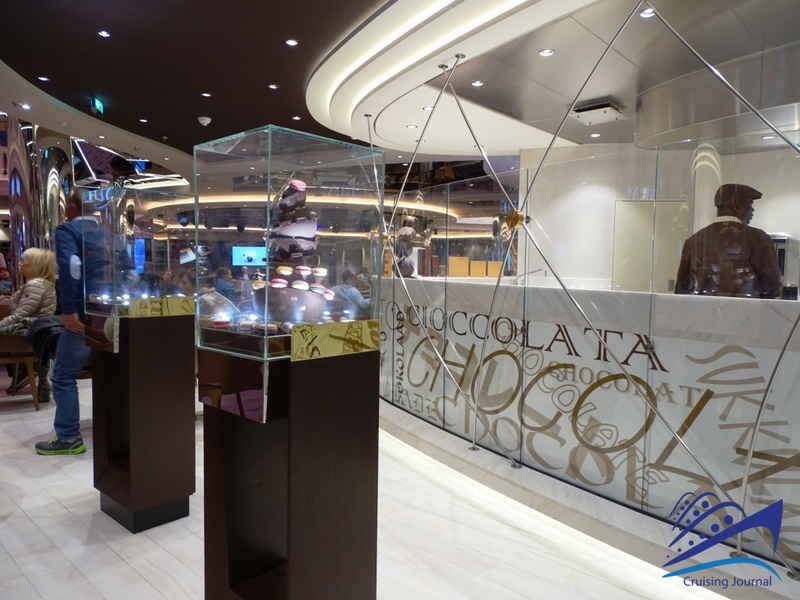 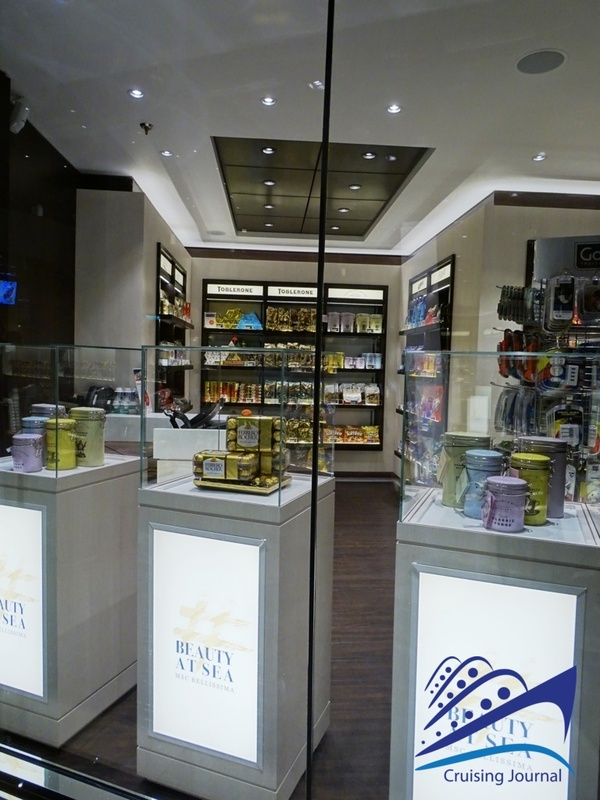 Before a desk at the Excursions Office you will find the Plaza Bellissima, a series of shops with windows facing onto the promenade, where you can find everything from candy to jewelry. 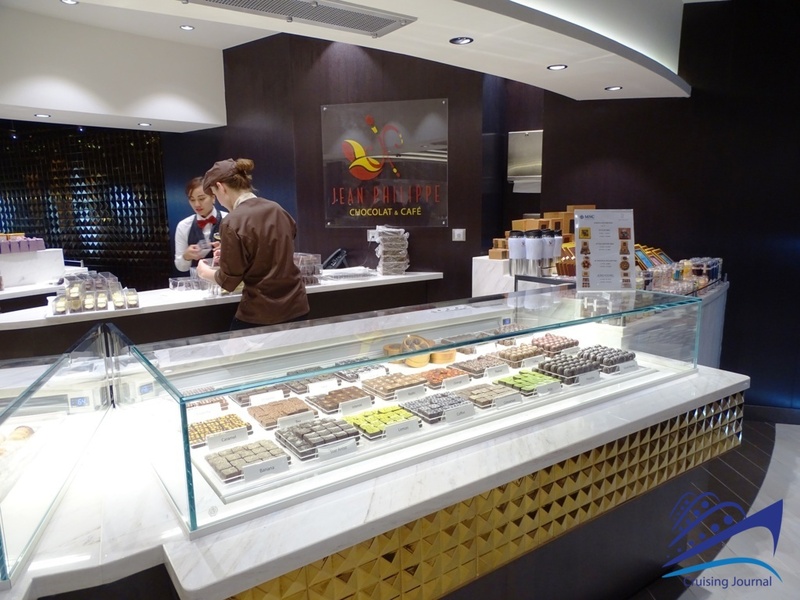 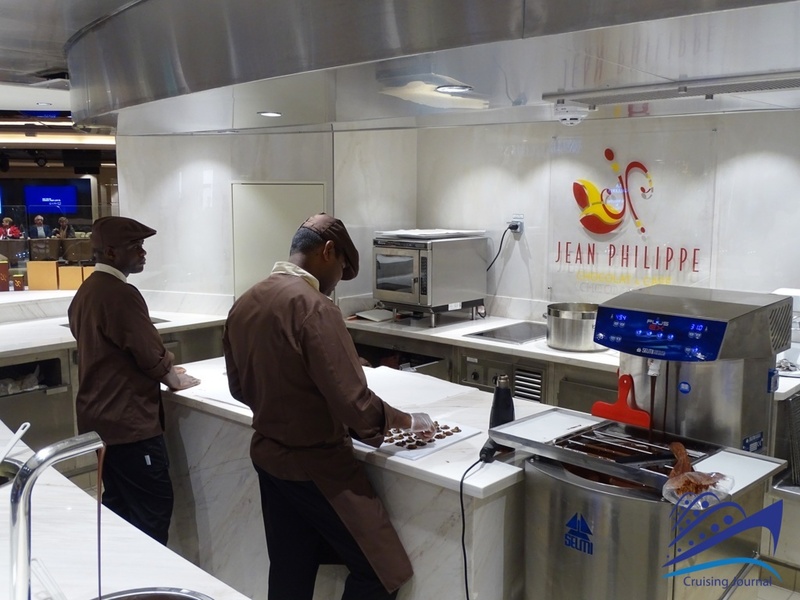 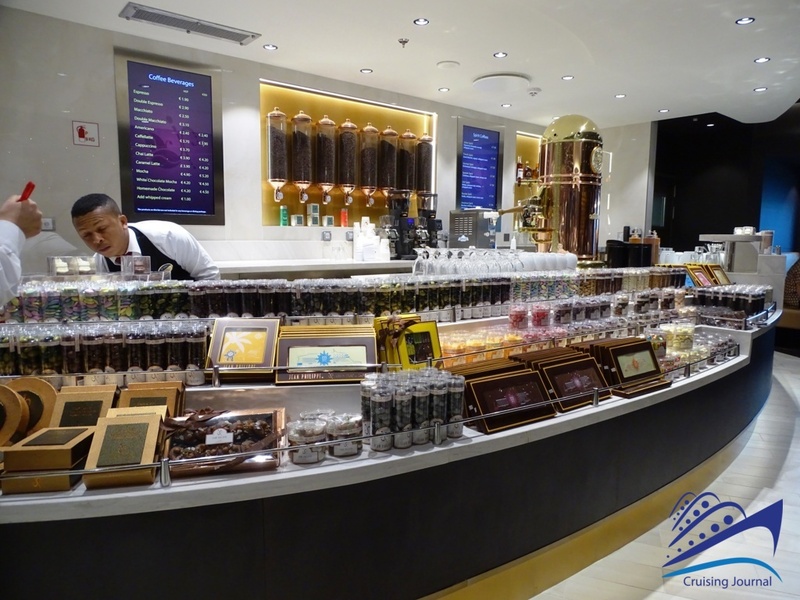 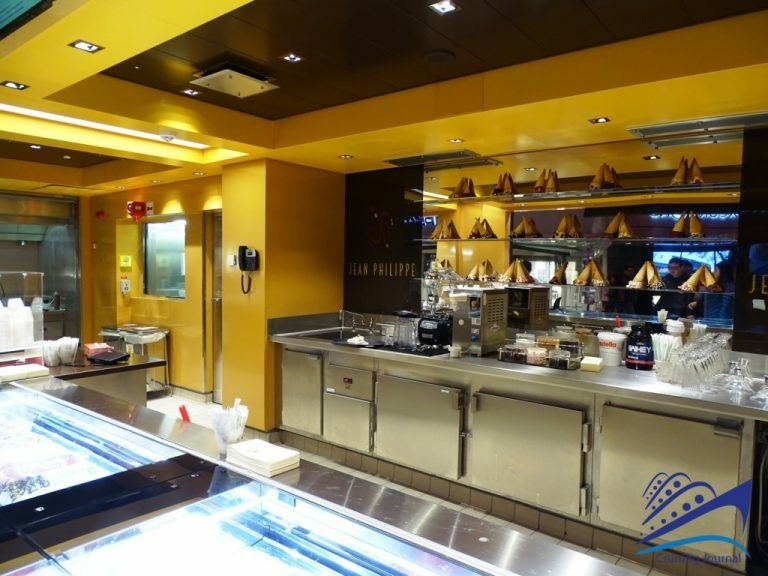 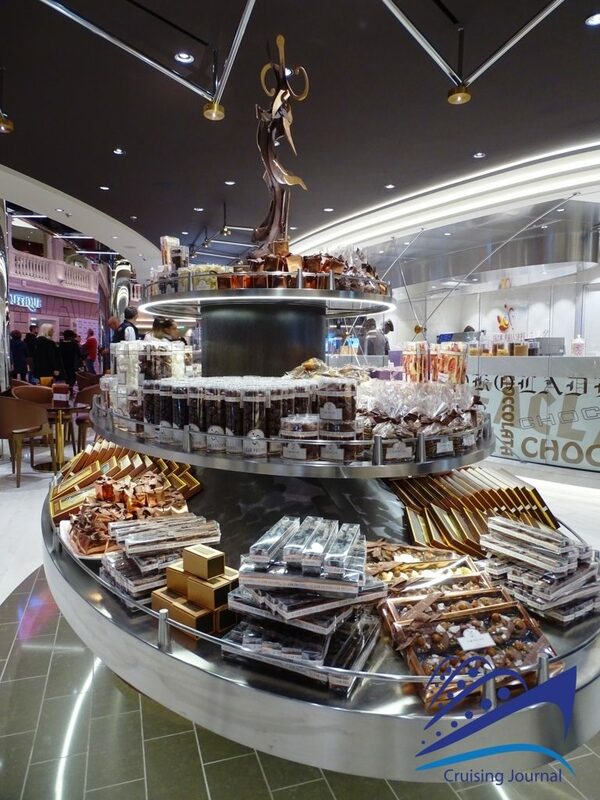 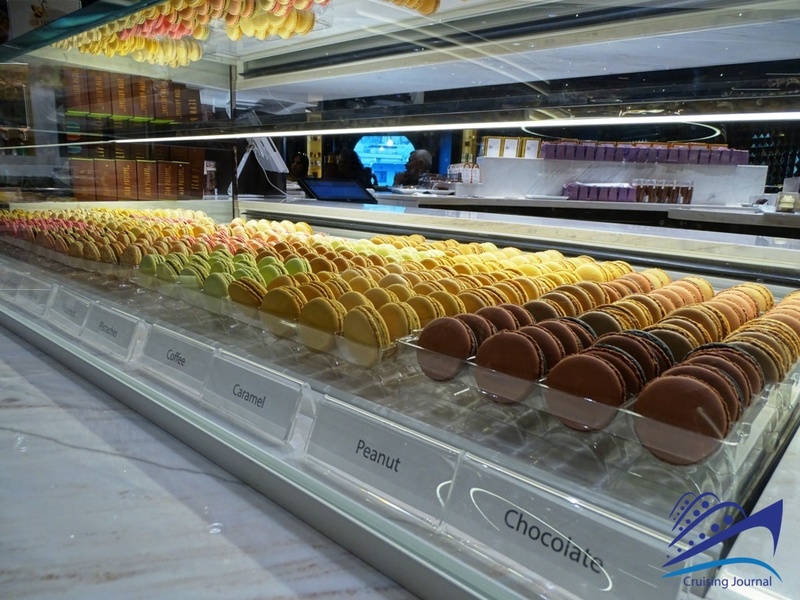 Chocolate lovers won’t be able to easily resist the temptations of Jean-Philippe Chocolate & Cafè, with an open-view artisanal workshop and chocolates as far as the eye can see. 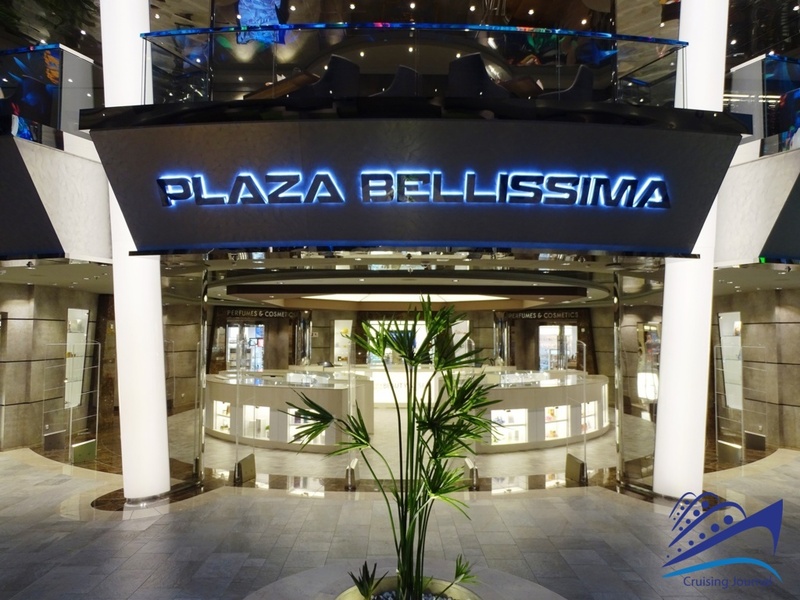 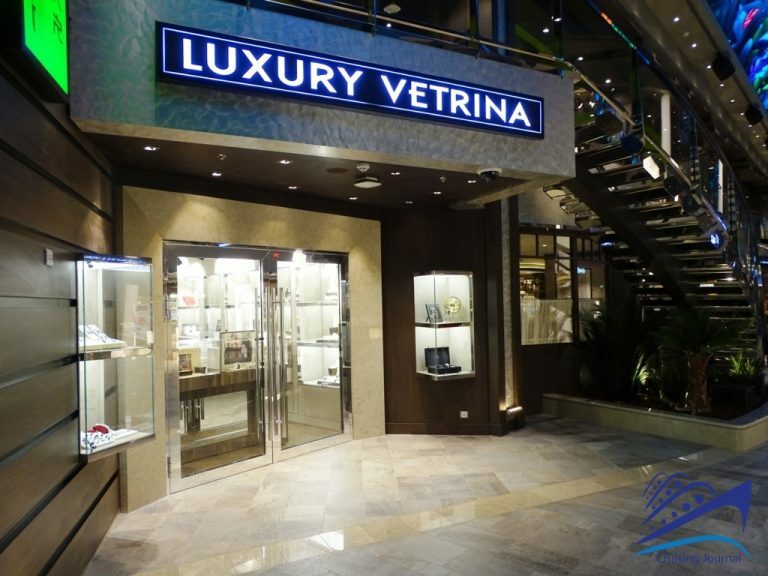 Toward the bow, there are other stores on the left, such as the elegant Boutiques and a watch shop, while on the right there is the large Bellissima Bar & Lounge, which features a dance floor and a bar that is always open. 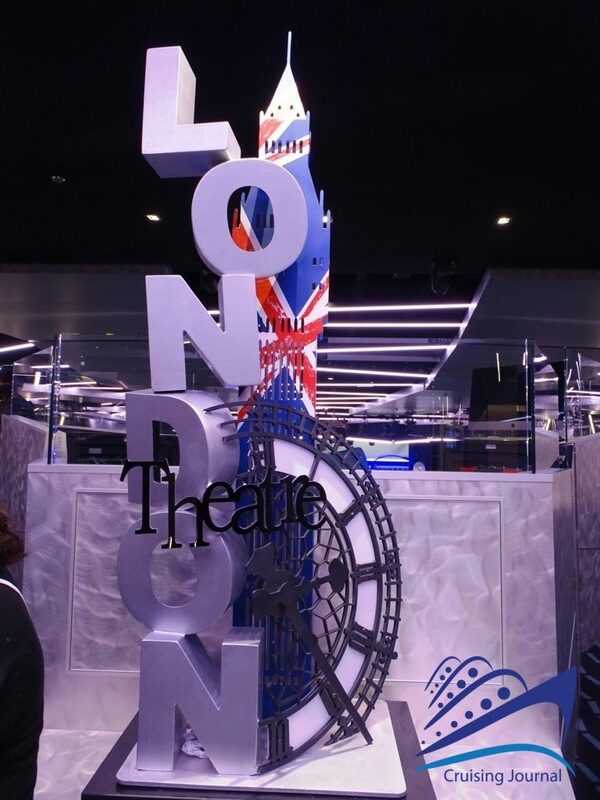 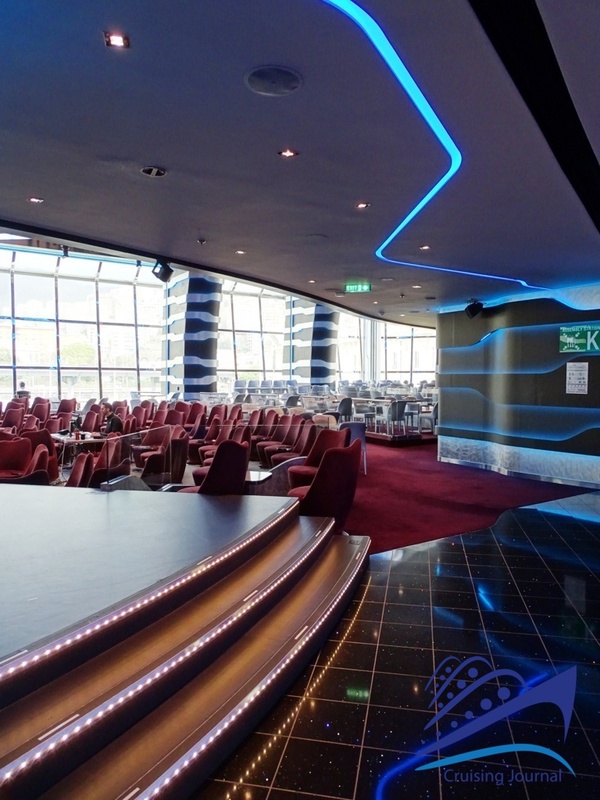 A little further on you will come to the London Theatre, located on both decks 5 and 6. 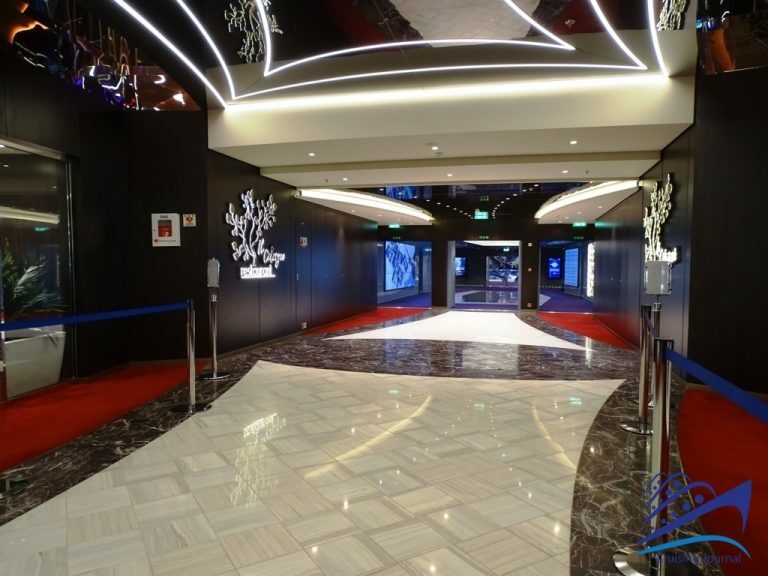 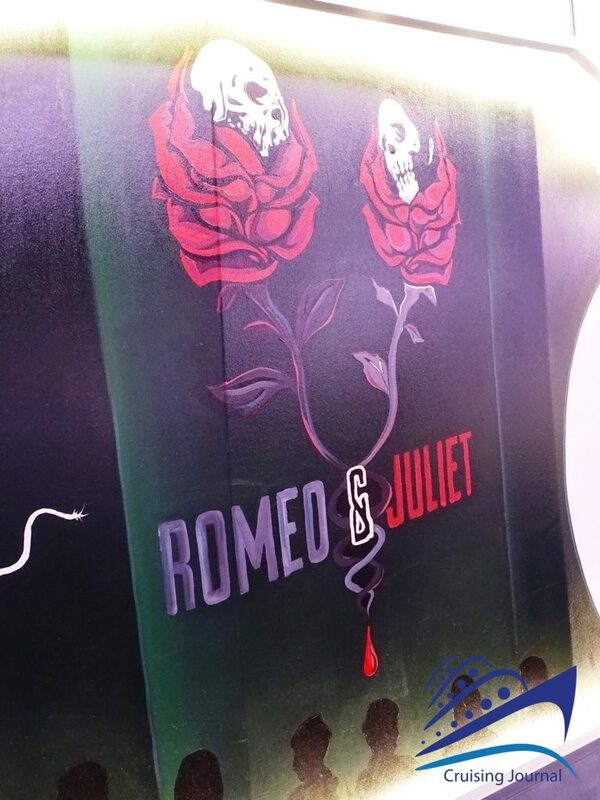 Elegant and spacious, it is decorated with playbills from English theaters. 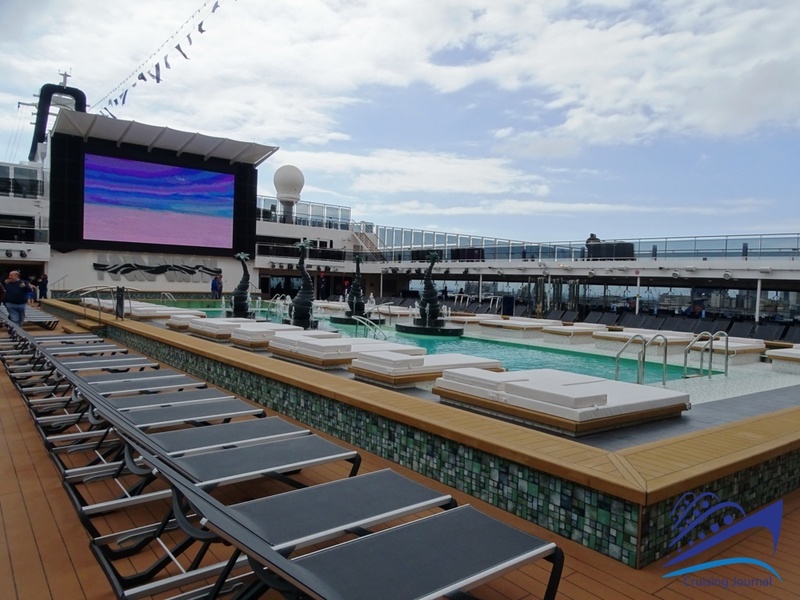 Deck 7 offers even more areas dedicated to leisure and relaxation. 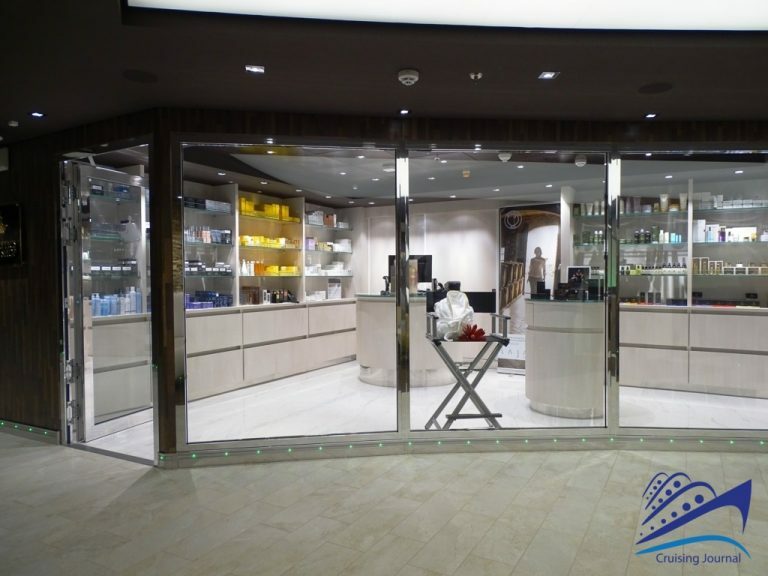 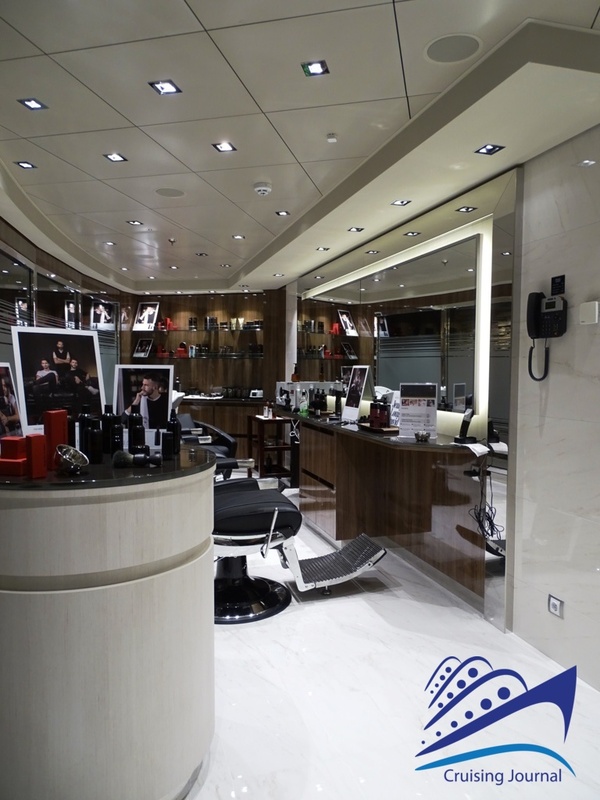 At the front of the ship above the theater is the spacious Msc Aurea Spa, with a large hydro massage pool, treatment services and a hair salon. 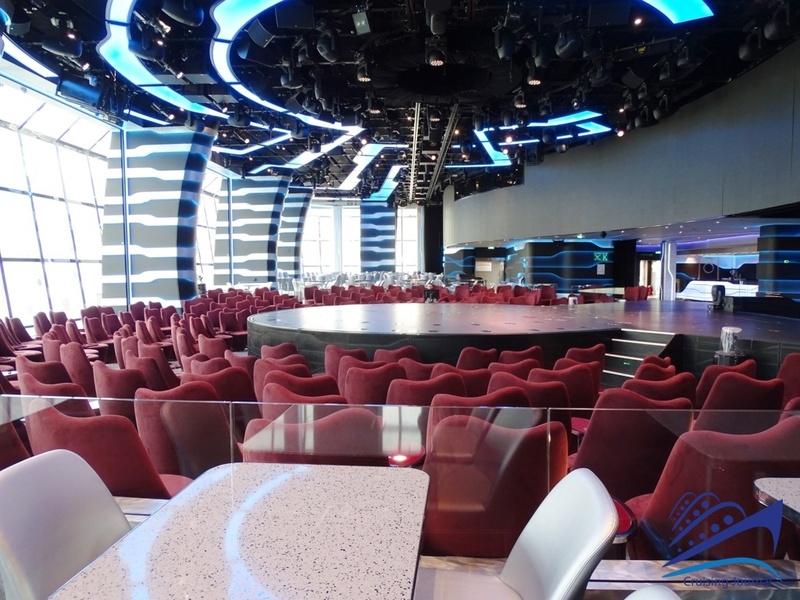 From here you can go along the balcony on the promenade. 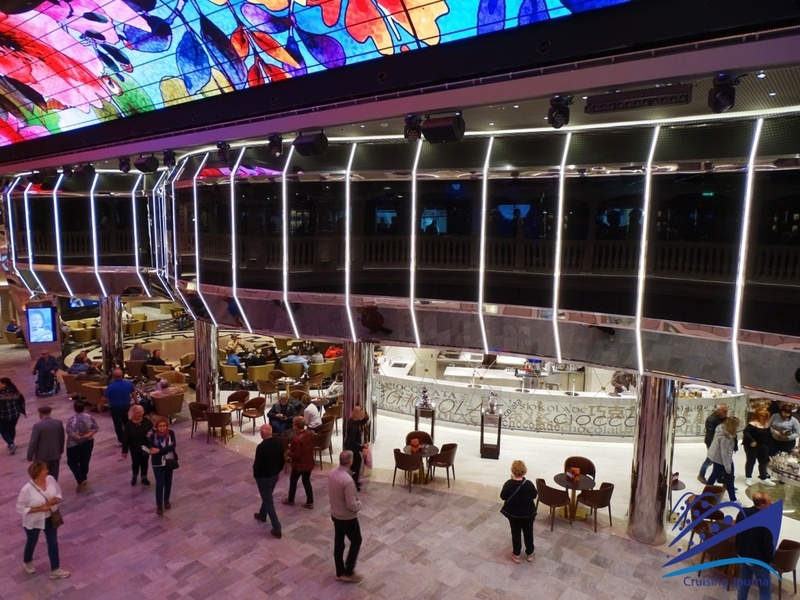 Walking toward the stern, on your left is the TV Studio & Bar, which offers karaoke and other entertainment possibilities. 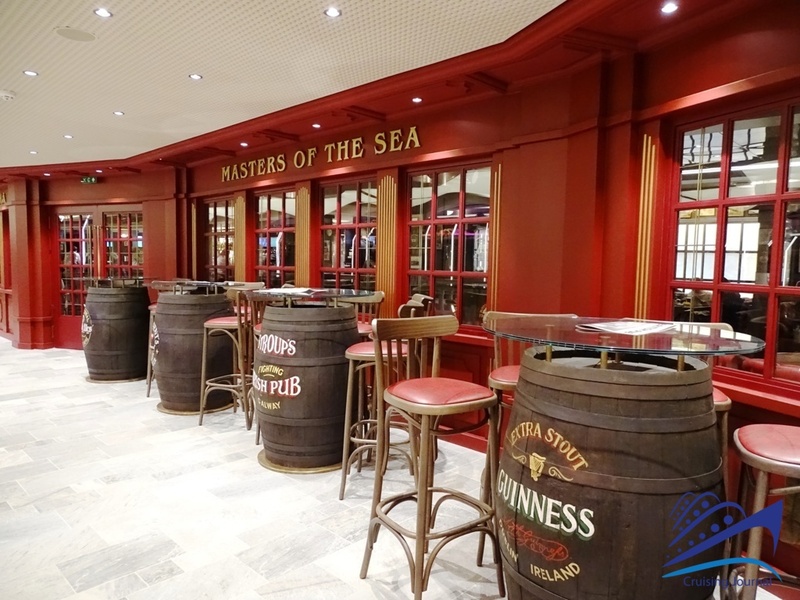 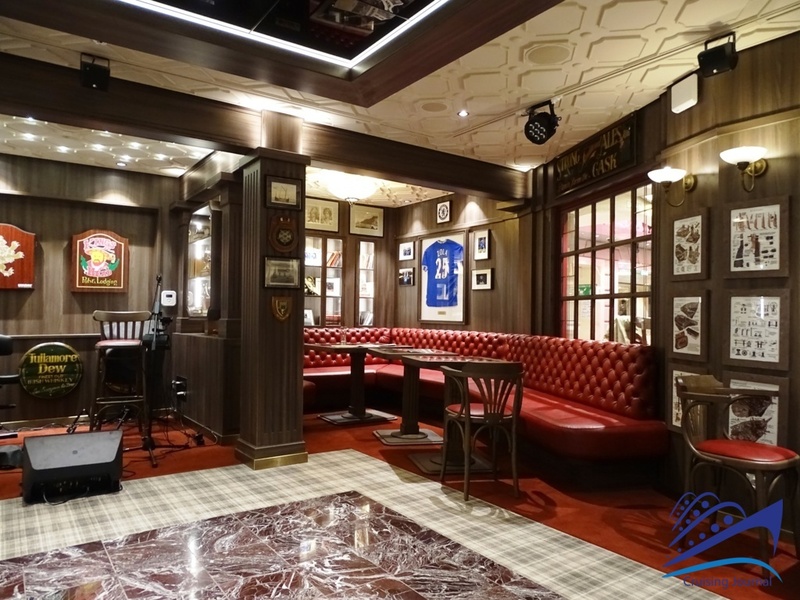 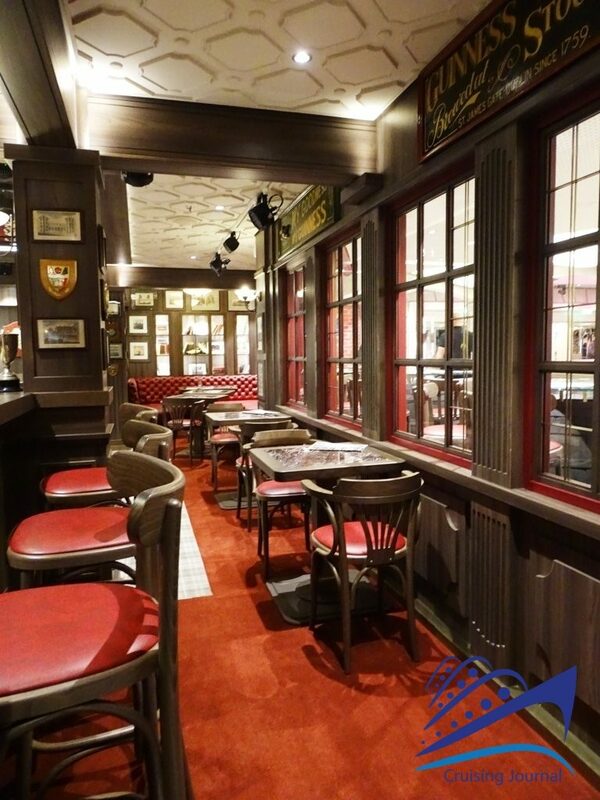 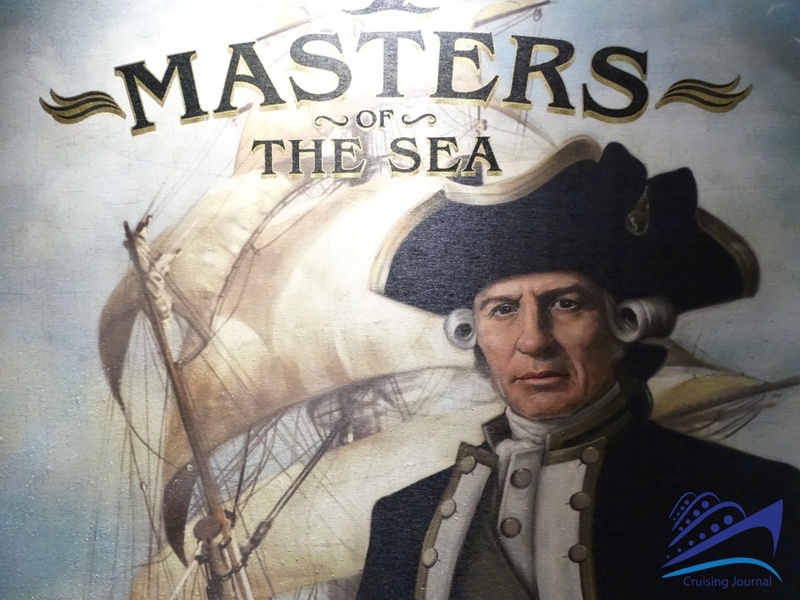 There is also the adorable Masters of the Sea Pub, in full English mariner style, which also features outside tables. 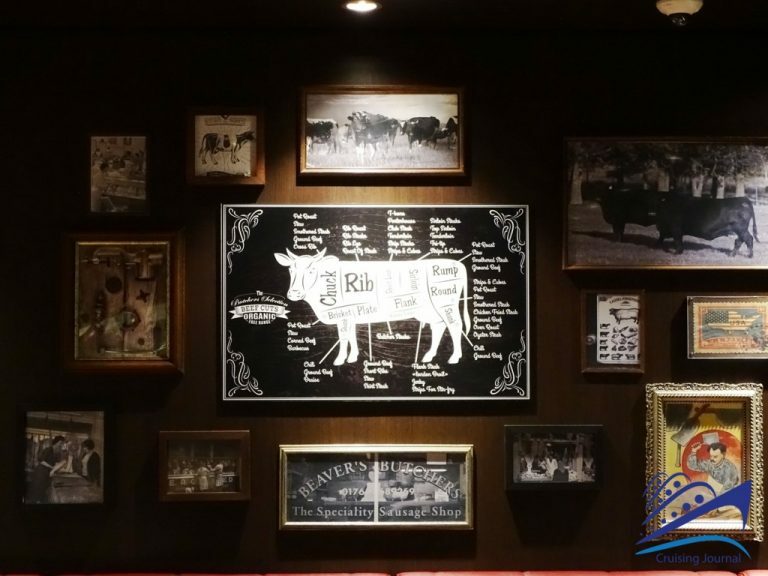 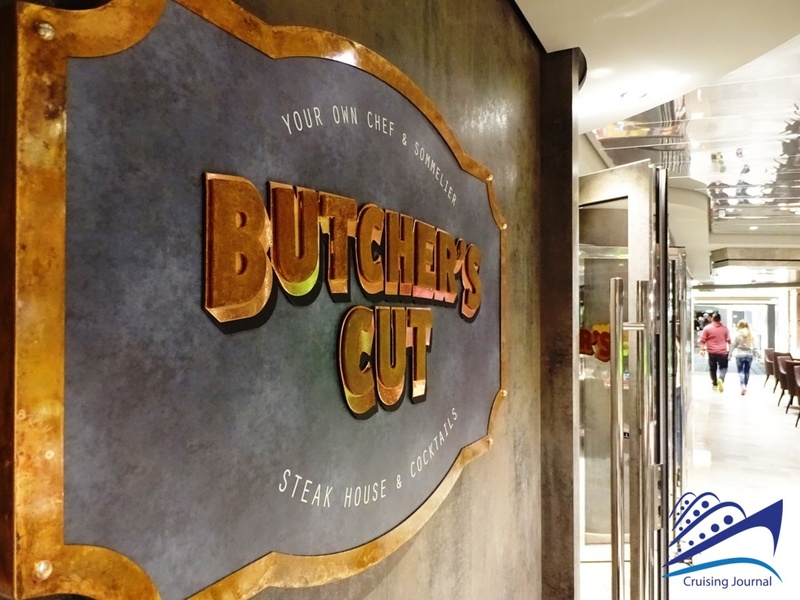 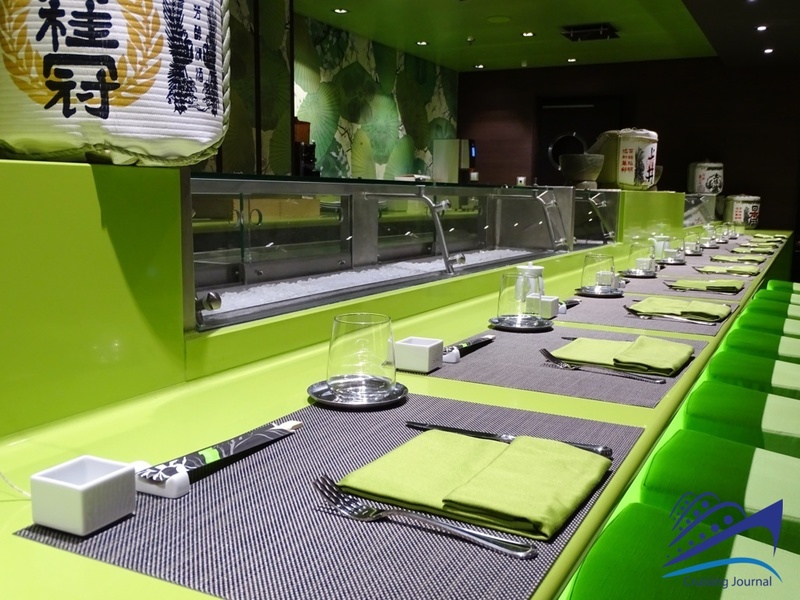 Following the walkway you will encounter two specialty restaurants: the Kaito Sushi Bar and Kaito Teppanyaki on one side, and the Butcher’s Cut on the other. 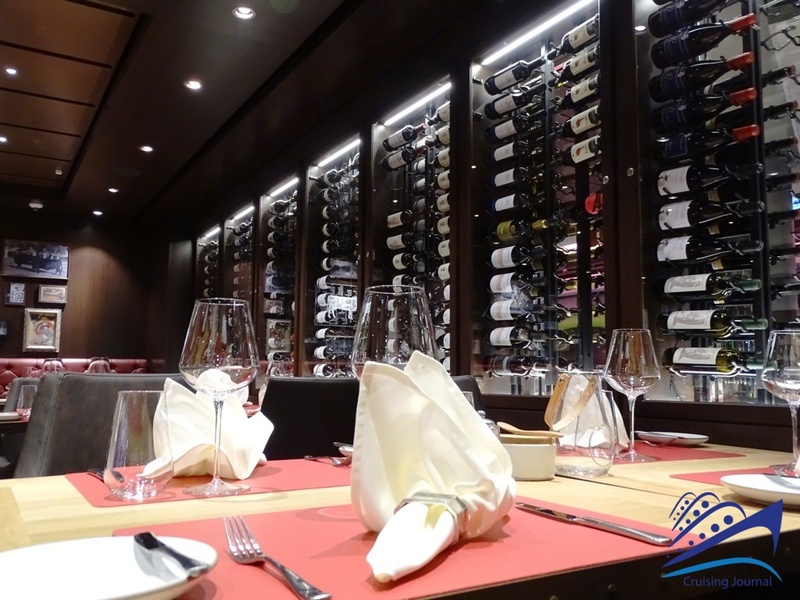 They are, respectively, the ideal places for lovers of Asian cuisine and meat lovers, perhaps the latter accompanied by a nice wine selected from those on display. 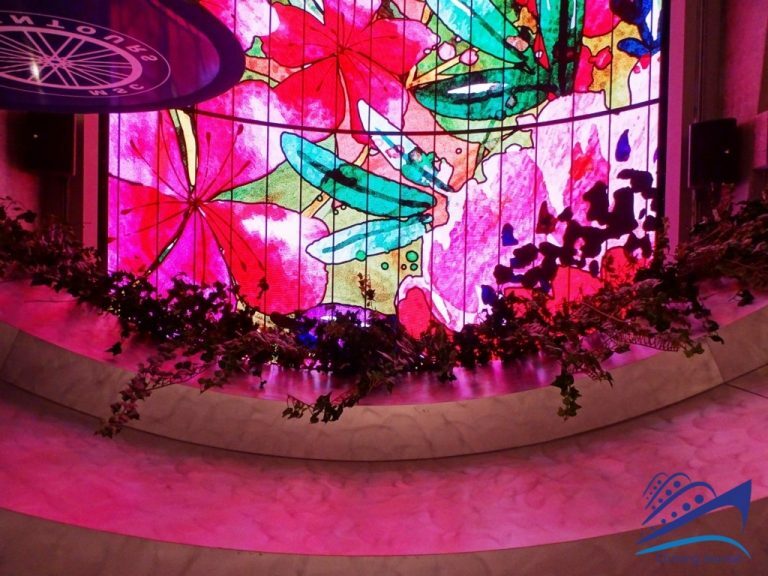 This brings us back to the main atrium once again. 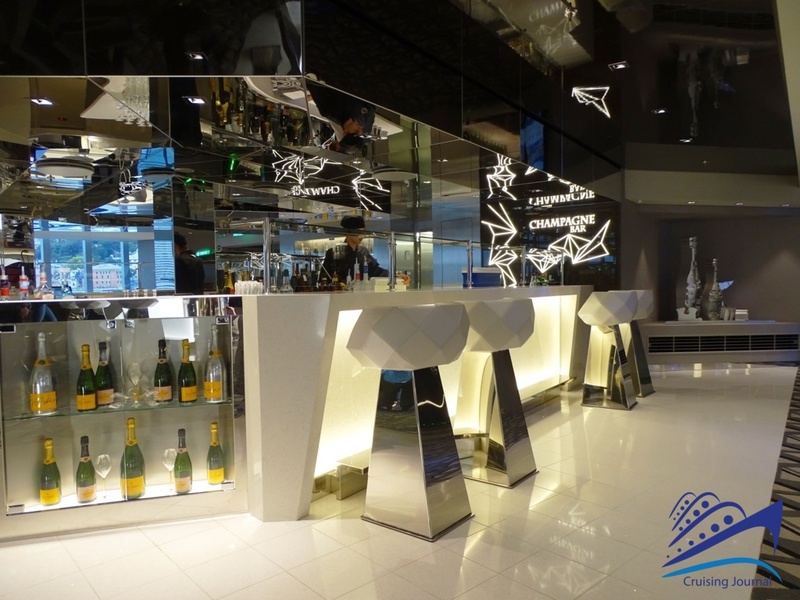 Here we find the modern Champagne Bar, with a décor of white and light gray tones, and the Luxury Gallery where you can shop…really luxurious. 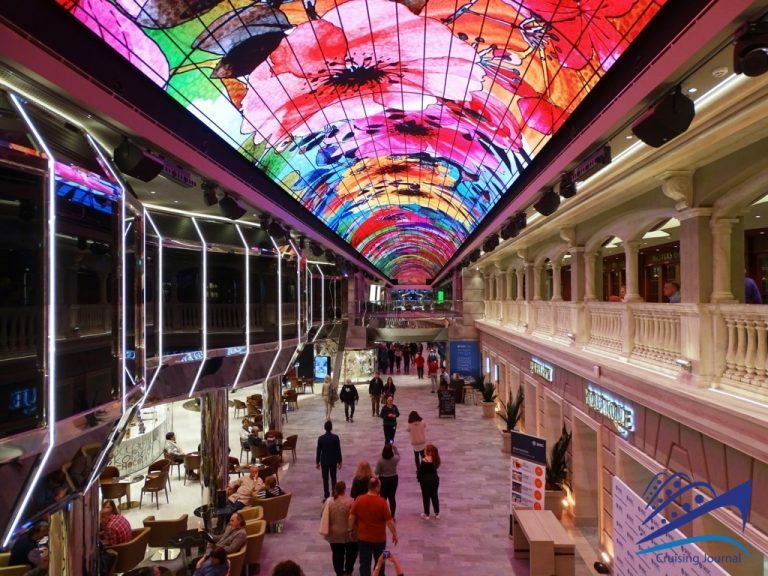 Going past the atrium, on which it is always a pleasure to look out, you arrive to the Imperial Casino. Here yellow tones have substituted those of red on the Msc Meraviglia, making it brighter and more welcoming. The round bar at the center invites even to those who don’t play to stop for a drink. At the end of the stern is the sophisticated Carousel Lounge designed to host the Cirque du Soleil shows, with magnificent windows overlooking the sea and an auditorium where it is also possible to dine during the shows. 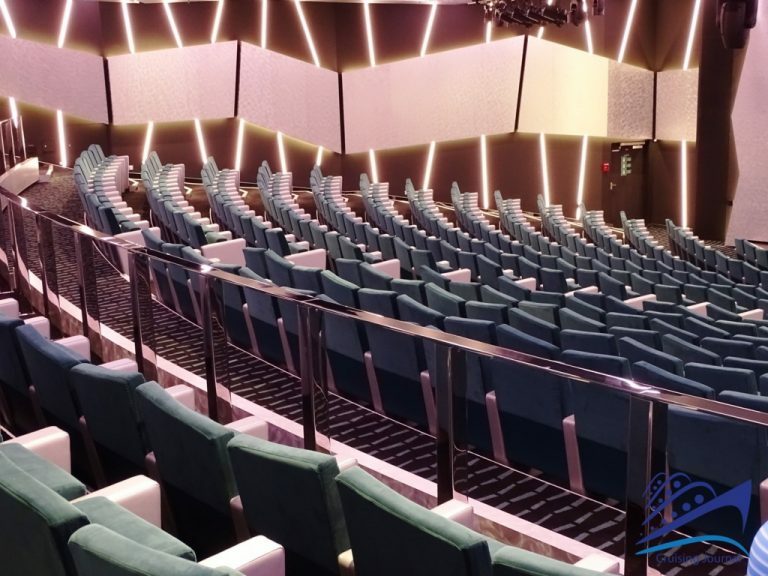 This is truly a show that is not to be missed, offering an unforgettable evening on board the Msc Bellissima. Multiple spaces and further activities are located on the higher decks. 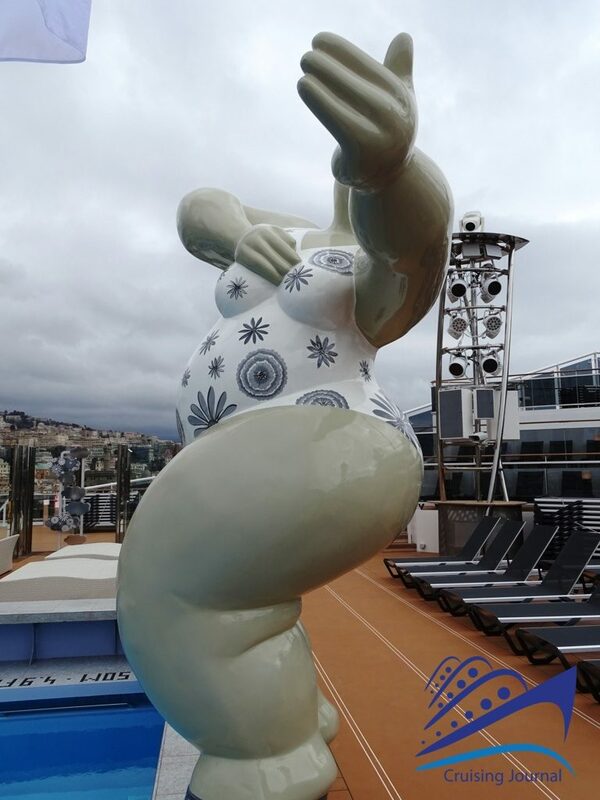 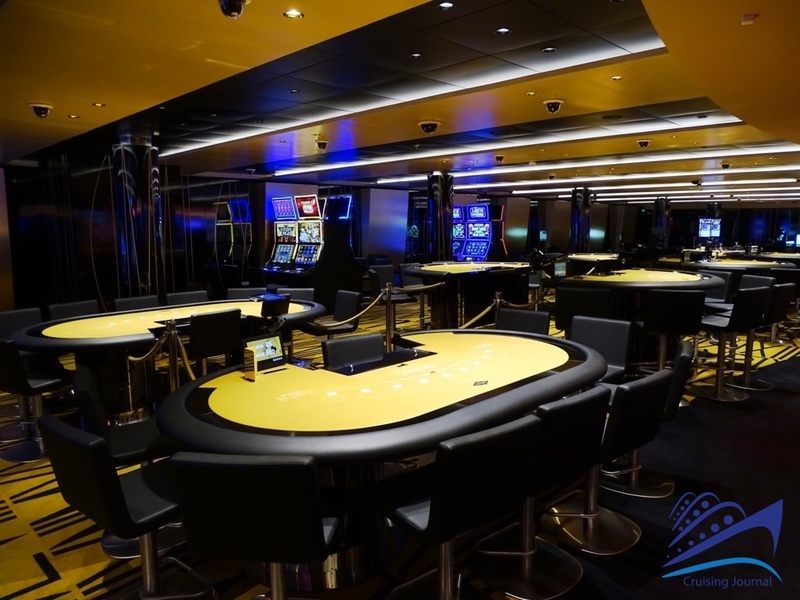 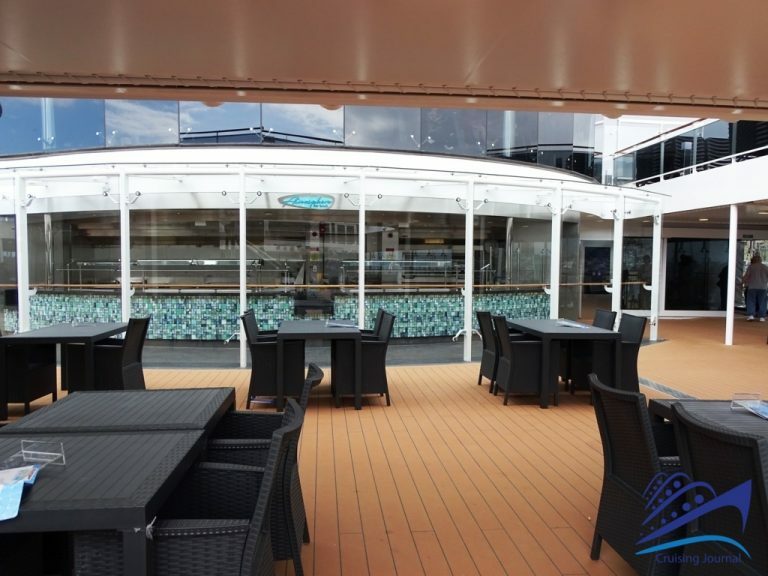 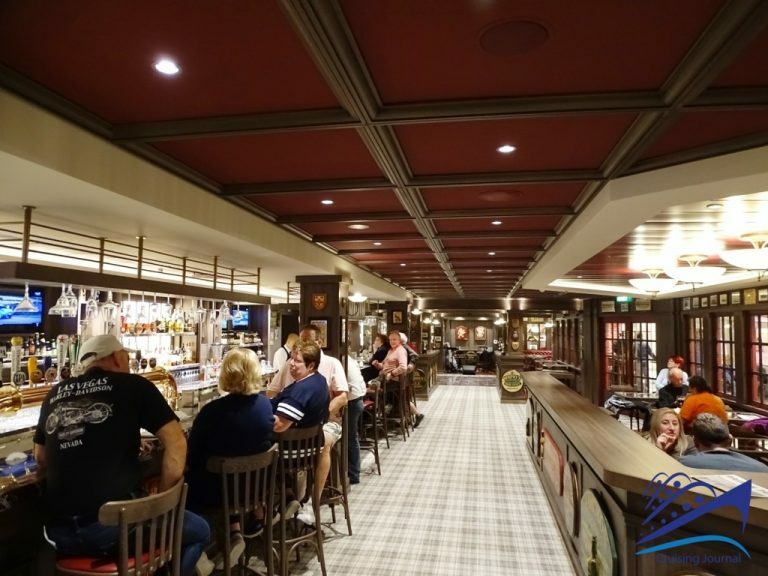 The Atmosphere Pool on deck 15 is the central, main swimming pool, surrounded by sunbeds and various points of service for a drink or snack such as the Atmosphere Ice Cream Bar that will satisfy gelato lovers, and the Atmosphere Bar South where you can find pizza and hamburgers. 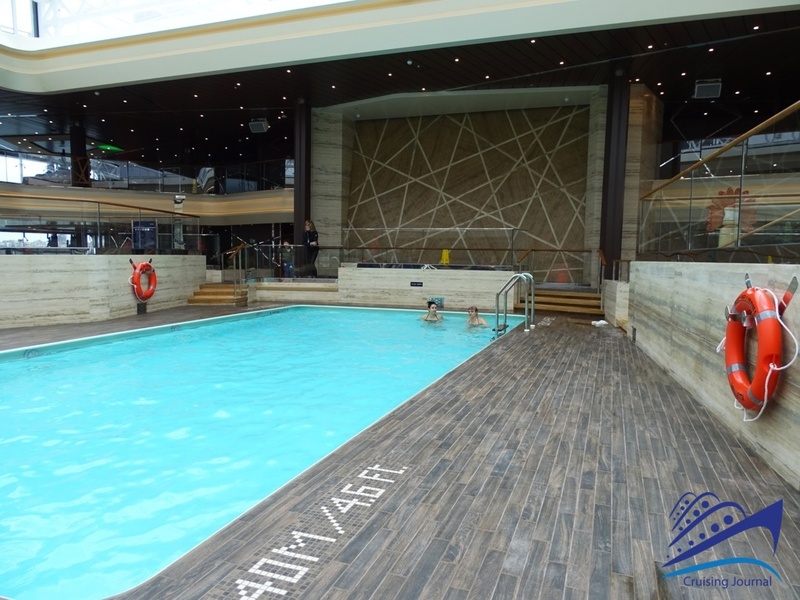 From the central swimming pool, going toward the bow and passing the Atmosphere Bar North you will reach a lido with a retractable roof which houses the Grand Canyon Pool and the Grand Canyon Bar, as well as two Jacuzzis. 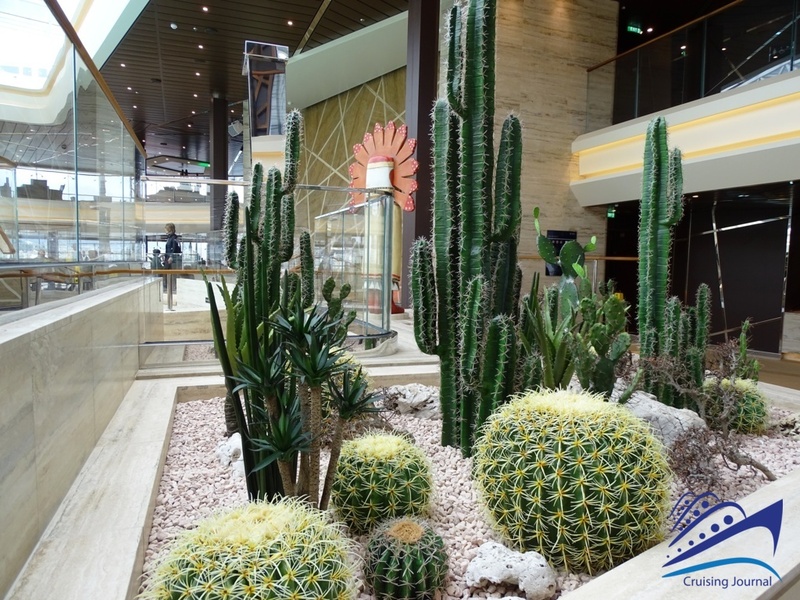 Against the backdrop of cactus plants…you can enjoy a dip in the pool even if the weather is not cooperating. 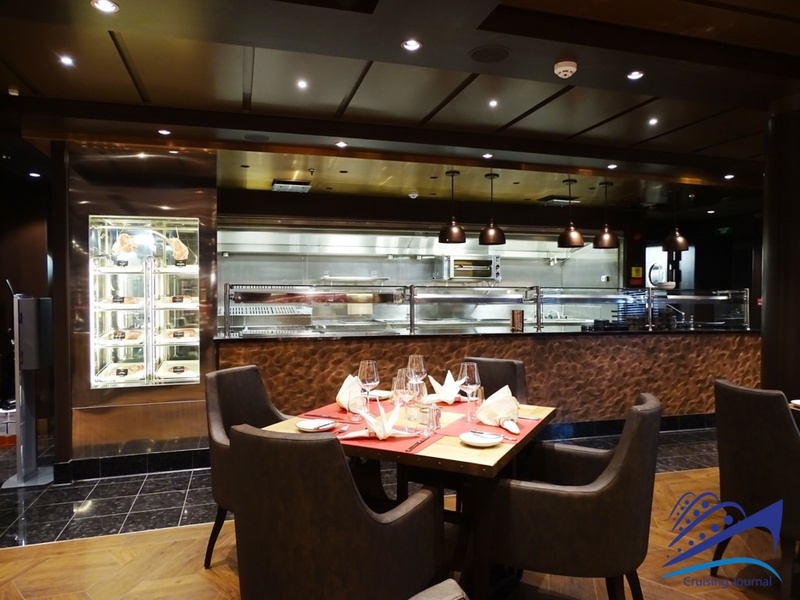 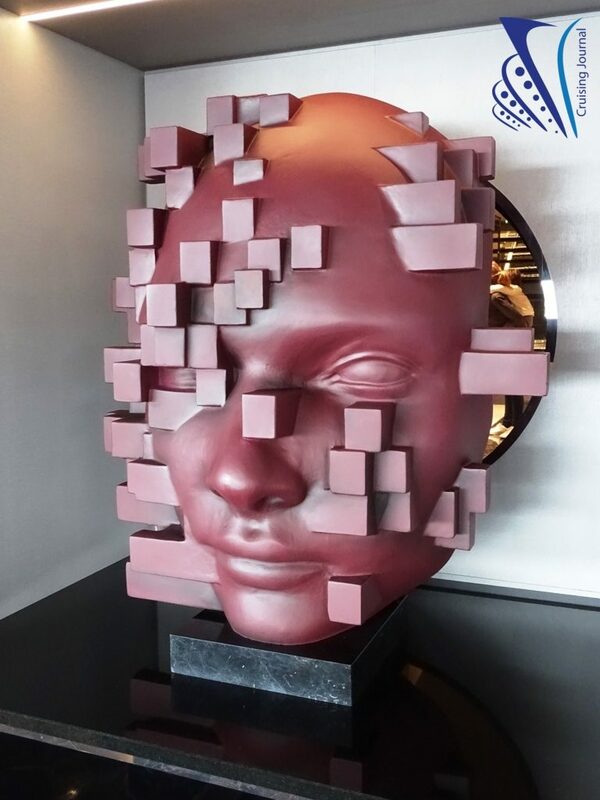 From the central swimming pool, if you move instead toward the stern, you will find the buffet restaurant, Marketplace, divided into various zones each with its own specialty: from mozzarella made on board, to delicious pizza, to Asian cuisine. At the very back is an area dedicated to families: Marketplace Family & Kids. 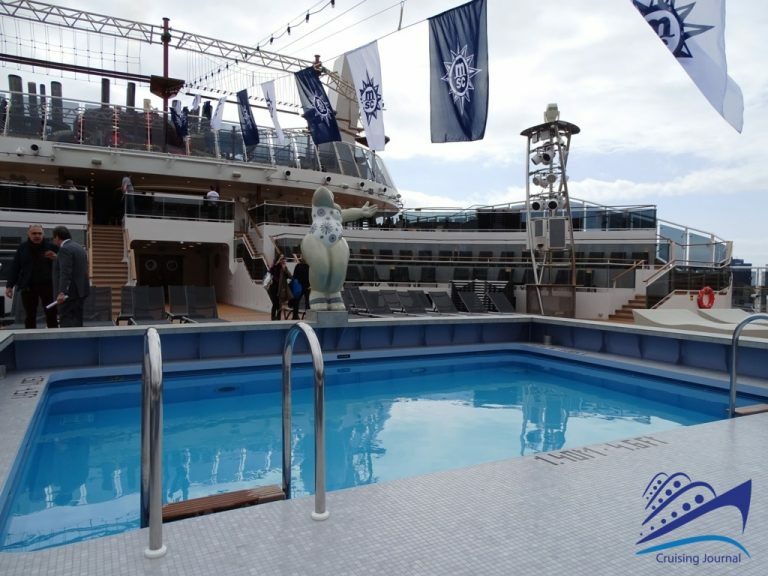 In the stern of deck 16 is the Horizon Pool, inserted into the pleasant setting of the Horizon Amphitheater. 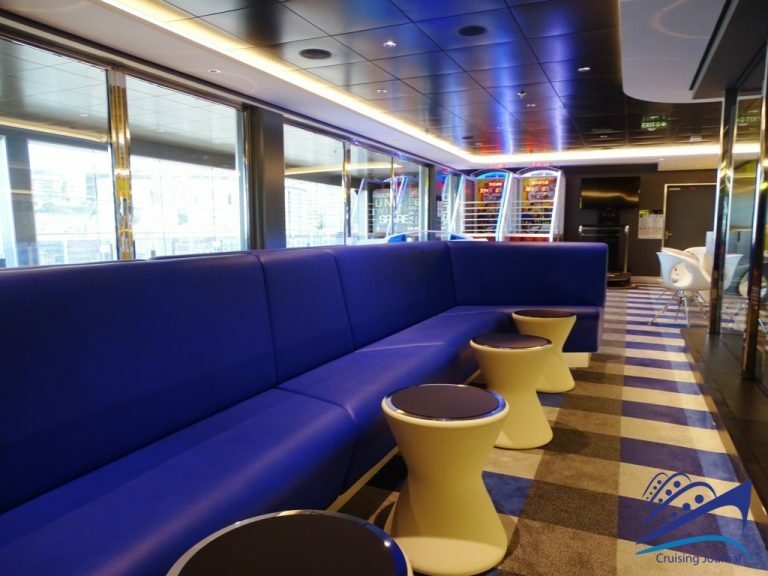 This is an elegant space with a splendid view out the back of the ship, and is full of sunbeds where you can enjoy the sun and the sea. 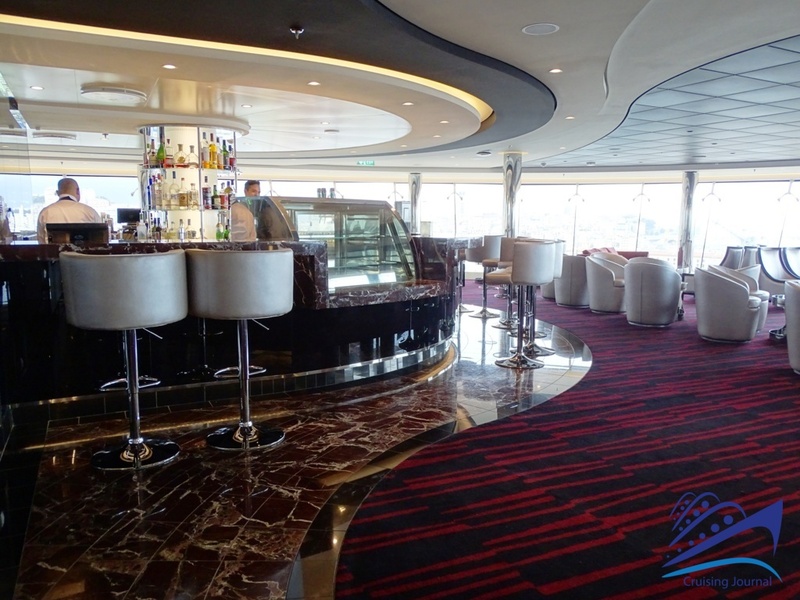 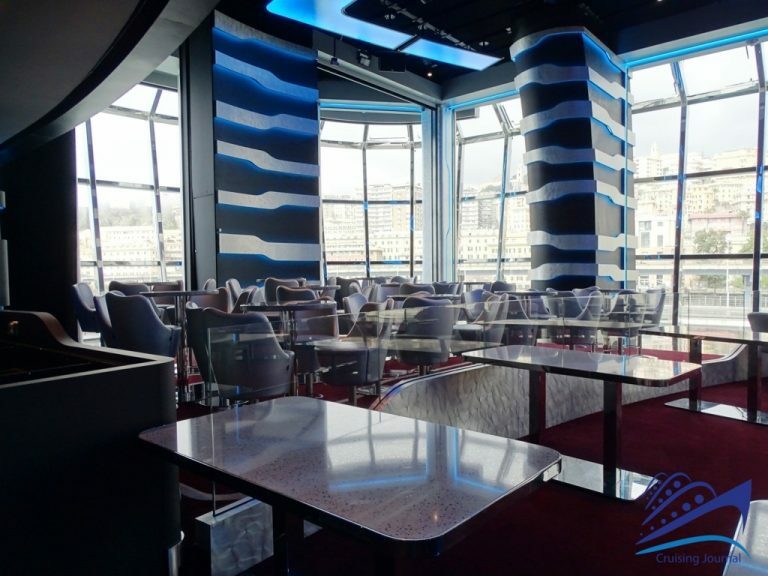 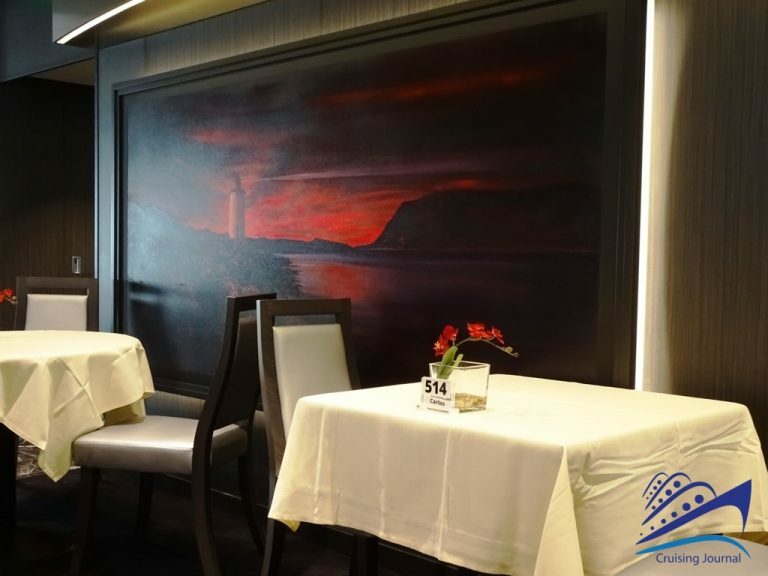 The area is served by the Horizon Bar, which is slightly elevated and protected but also enjoys a beautiful view of the ship’s wake. 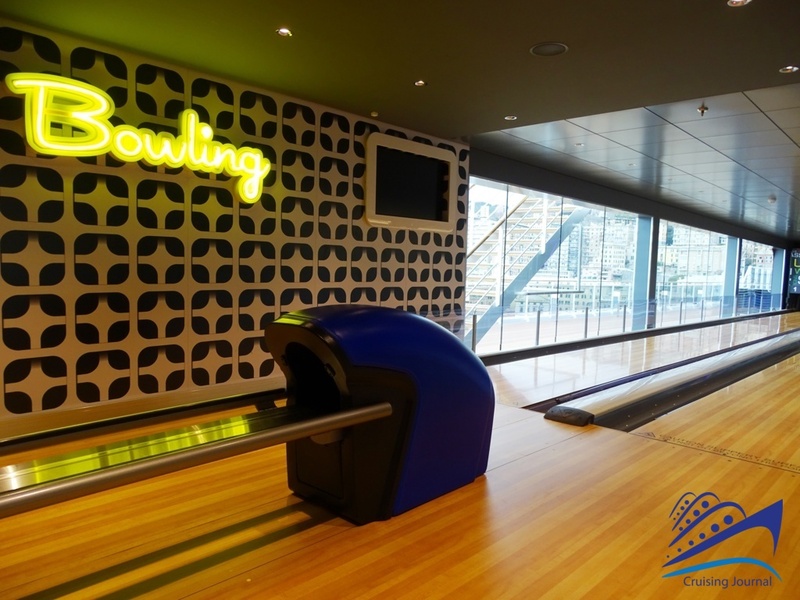 Located in the stern of decks 16, 18 and 19 are the areas dedicated to sports and to the youngest guests on board. 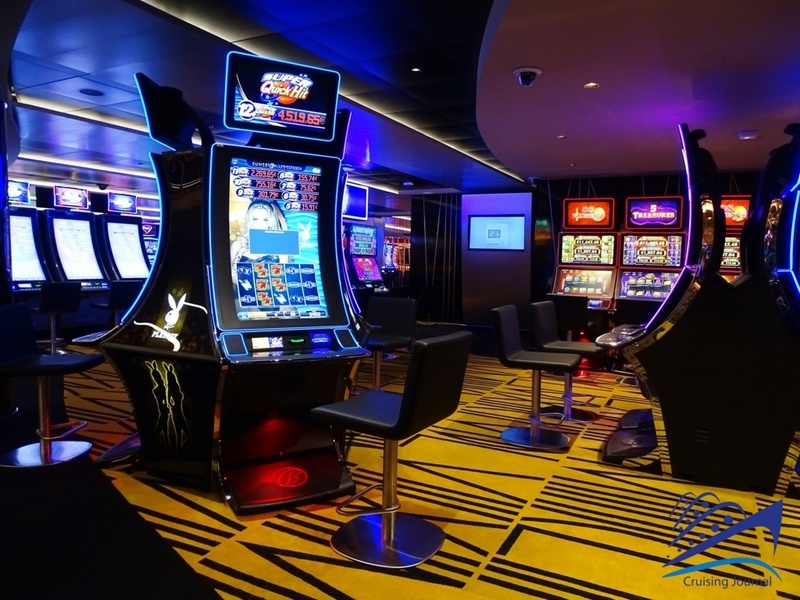 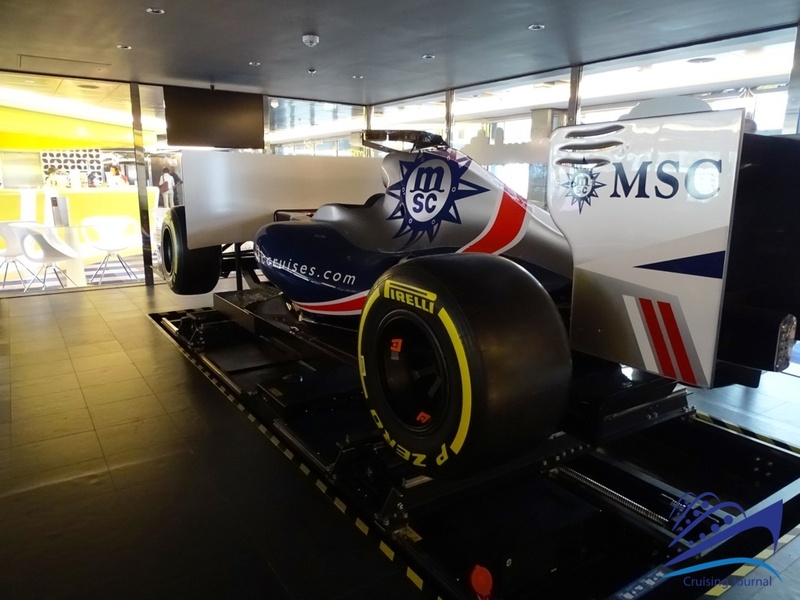 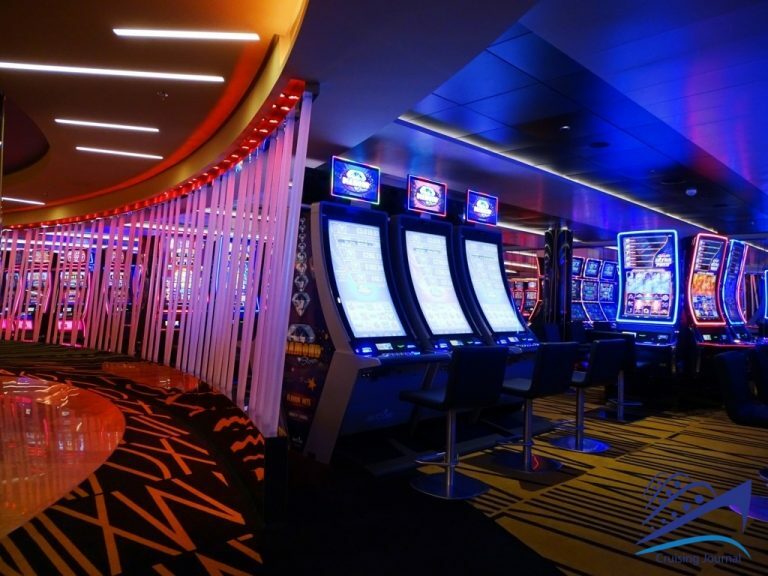 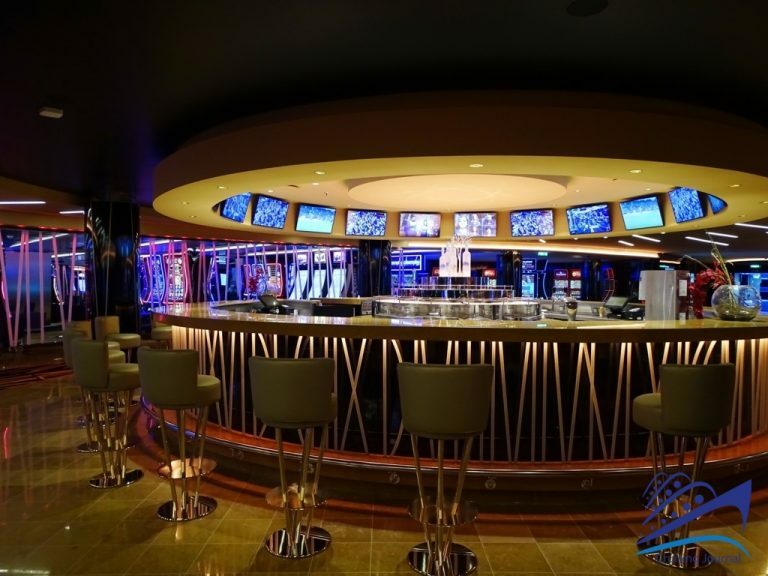 The Sports Bar serves the area with the F1 simulators, bowling and the Sportplex, and the nearby XD Interactive Cinema and the Virtual Games Arcade. 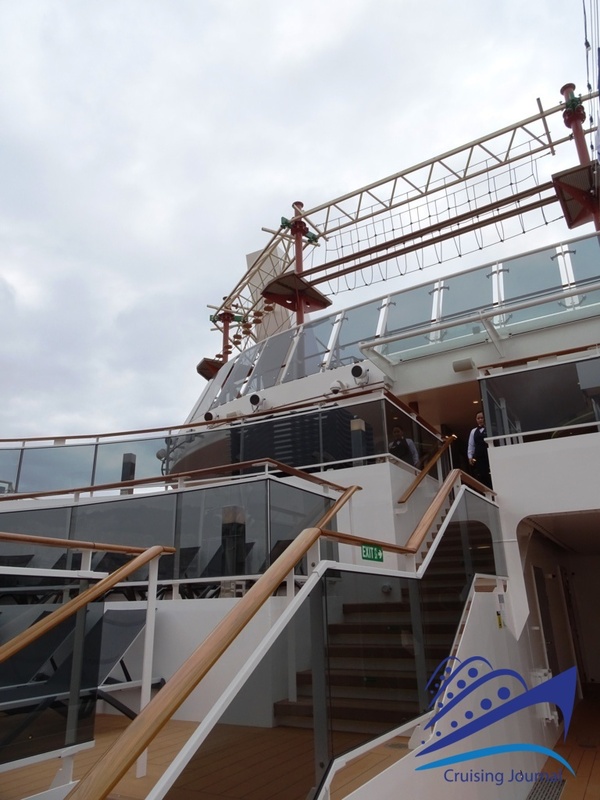 On the deck above you will find, in this order: the Young/Teen Club, the Doremi Studio, the Junior/Mini Lego Club, the Chicco Baby Club and the Doremi Lab. This is a real paradise for children and teens, who can further enjoy themselves in the outside area of deck 19 where they will find the Arizona Aquapark with slides, water games, and suspension bridges. 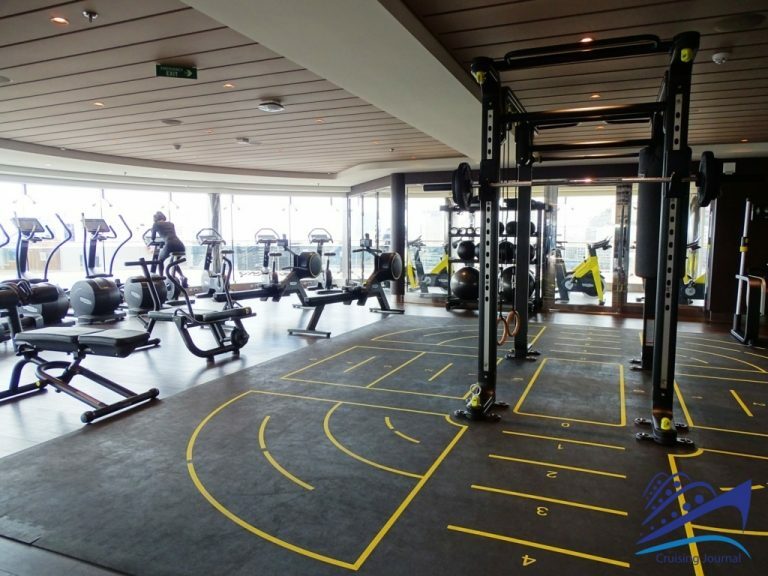 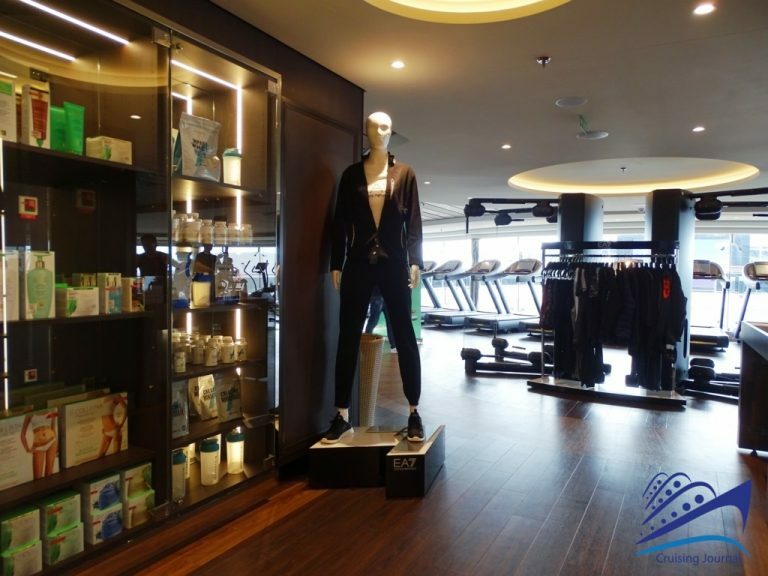 At the center of the ship on decks 16 and 18 is the Msc Gym by Tecnogym, designed in collaboration with the famous brand of Italian gym equipment. Also located here is the relaxing Attic Club, reserved for adults only, where it is possible to listen to nice music and enjoy a 270° panorama over the lido and the sea. 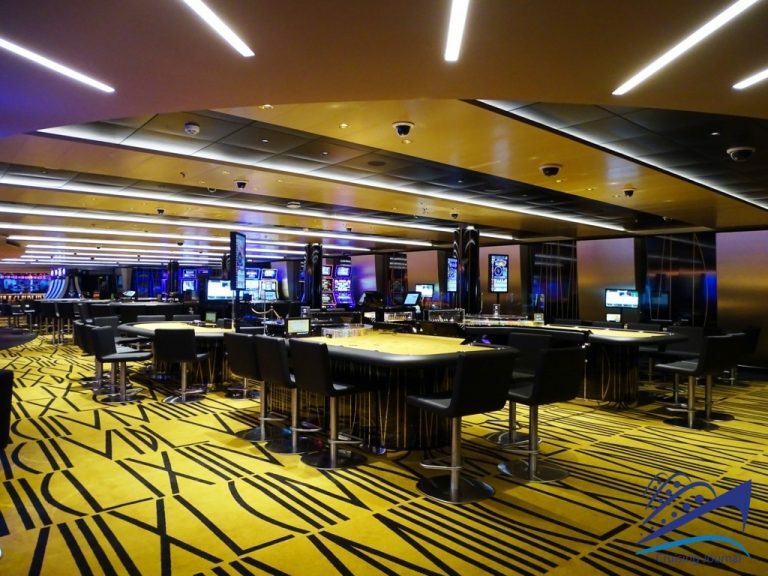 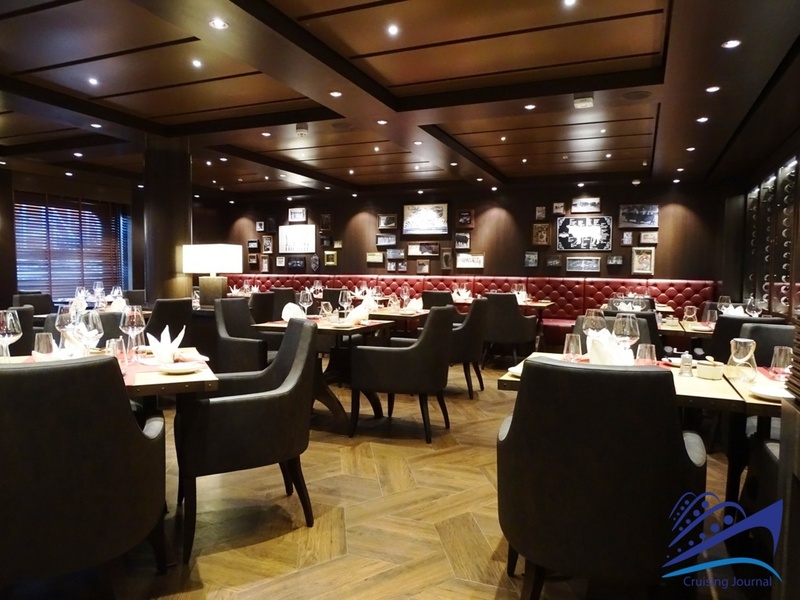 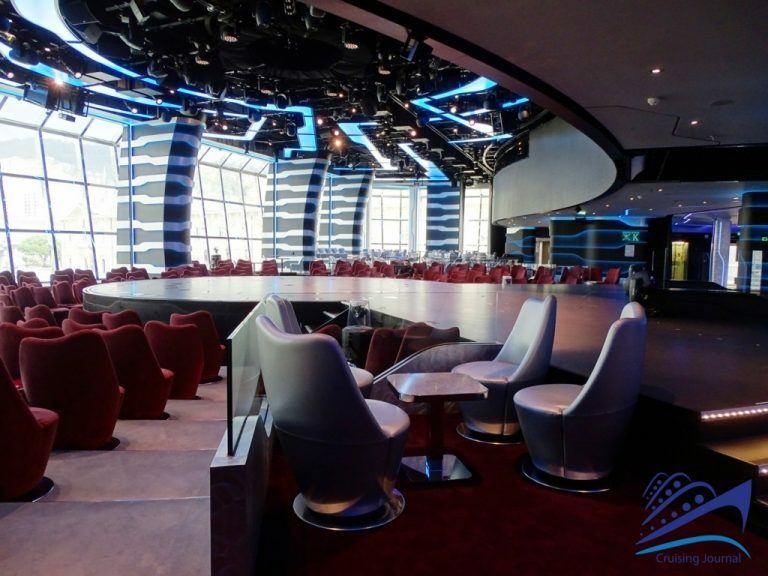 The success of the Yacht Club is already renowned, and the one on the Msc Bellissima occupies a very large area at the bow. 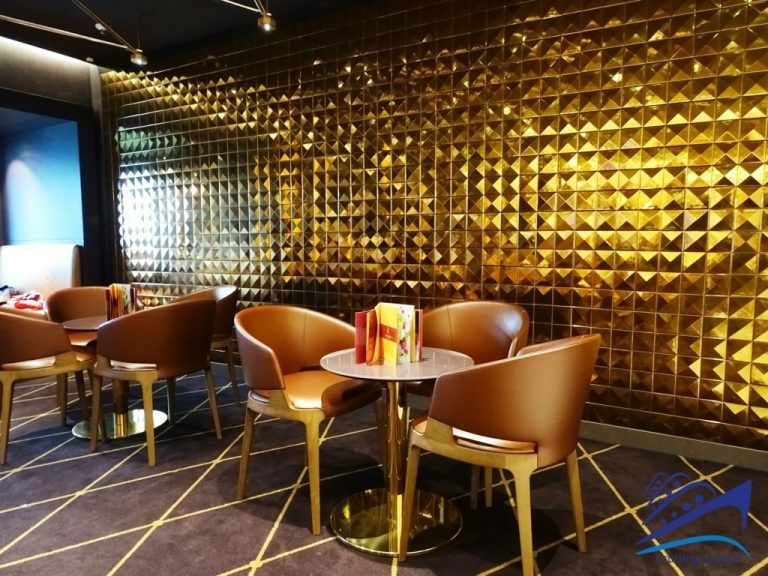 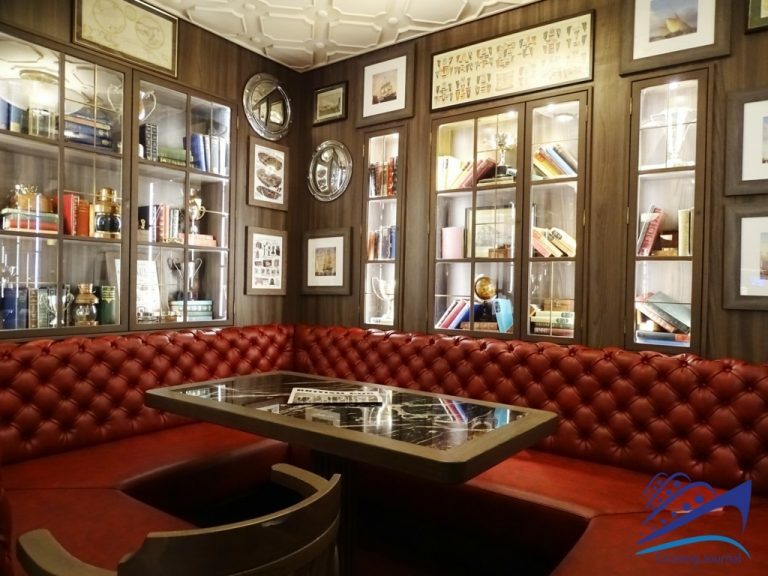 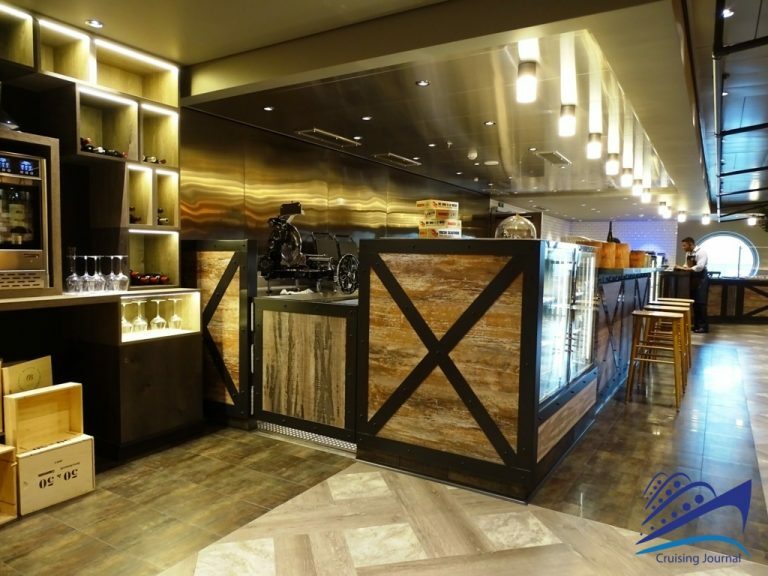 It is an enclave of luxurious and pampering services, refined cuisine, and reserved spaces where you can enjoy the maximum comfort and relaxation. 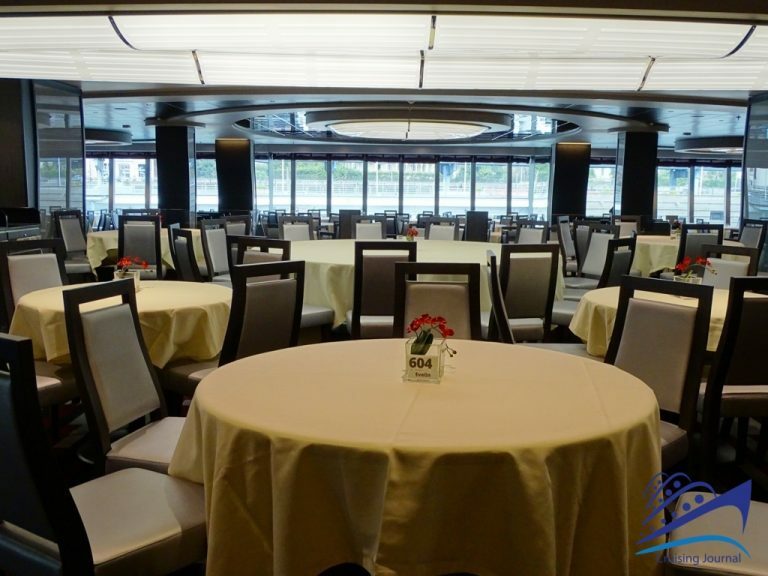 Located on decks 16 and 18 are the cabins, the Concierge Area, the Top Sail Lounge, and the Msc Yacht Club Restaurant. 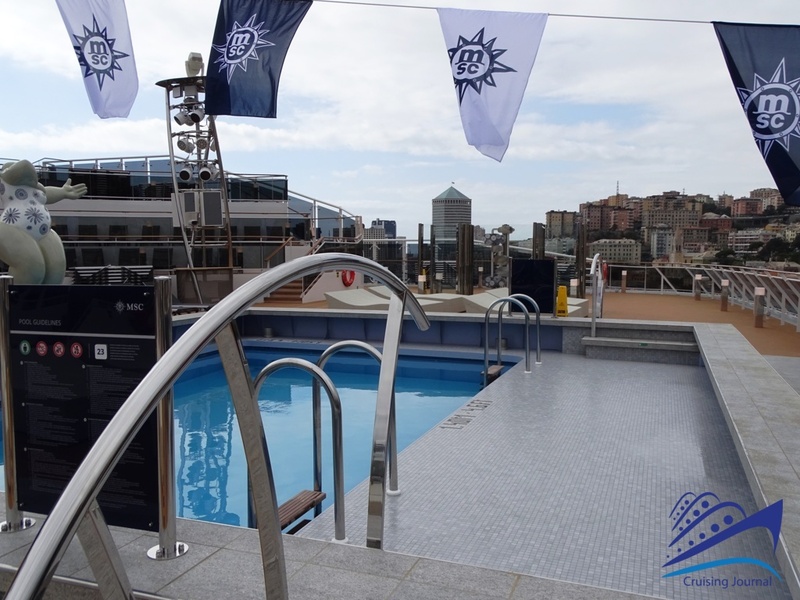 On deck 19, at the very tip of the bow, is the outside area with Solarium, the swimming pool area with Jacuzzi, the Grill and the Sundeck Bar. 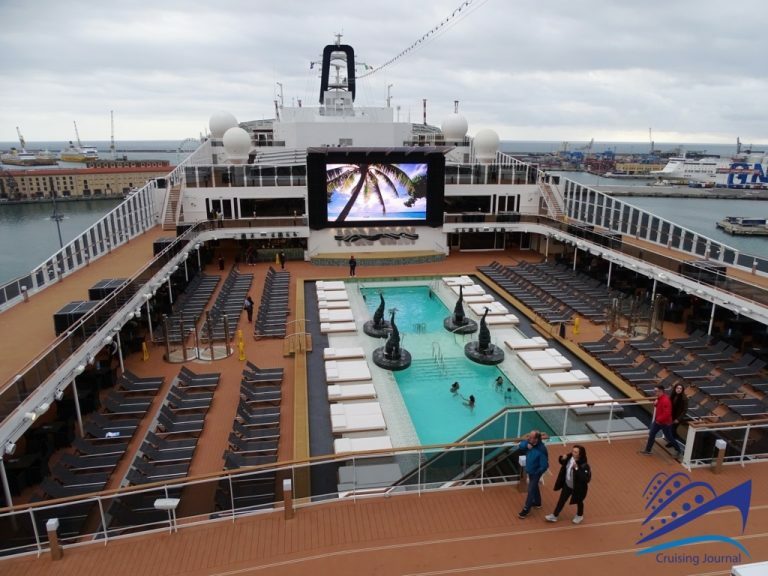 Don’t miss the complete Photo Gallery and all the cruisers’ Reviews, Comments, Opinions.